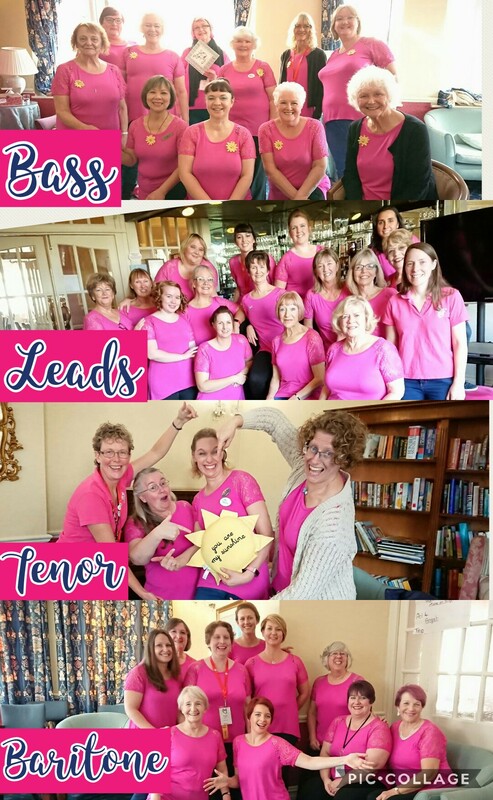 The images below are thumbnails – click on any picture to enlarge it. 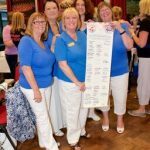 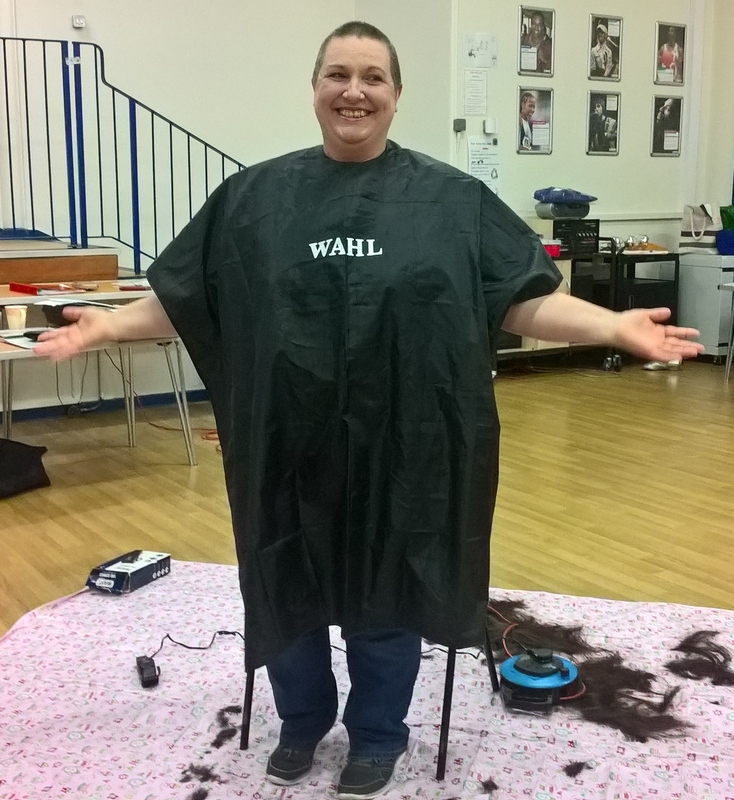 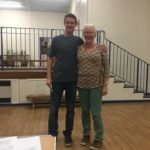 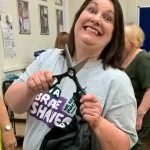 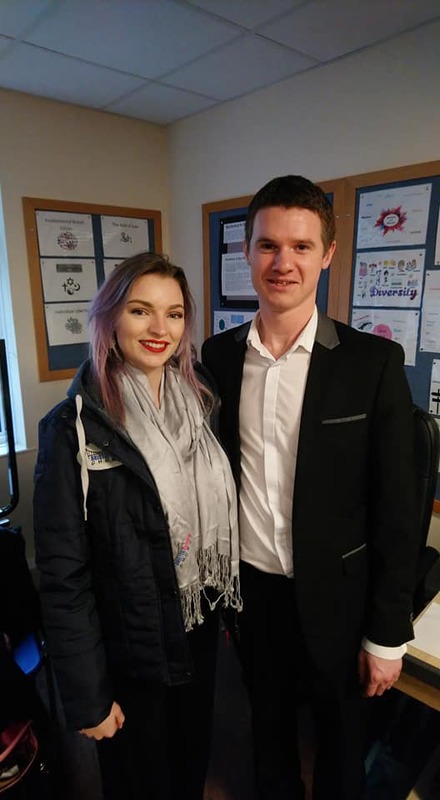 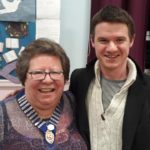 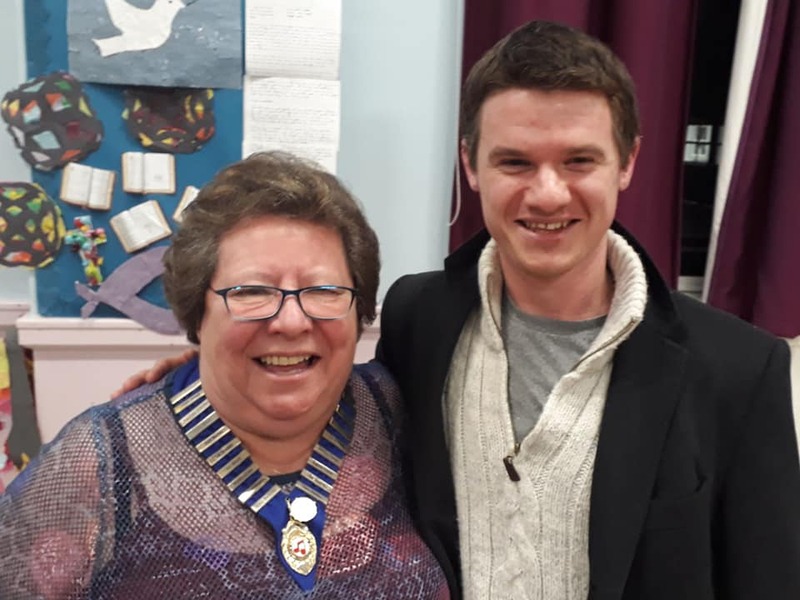 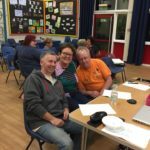 We held our AGM and a new Committee was elected. 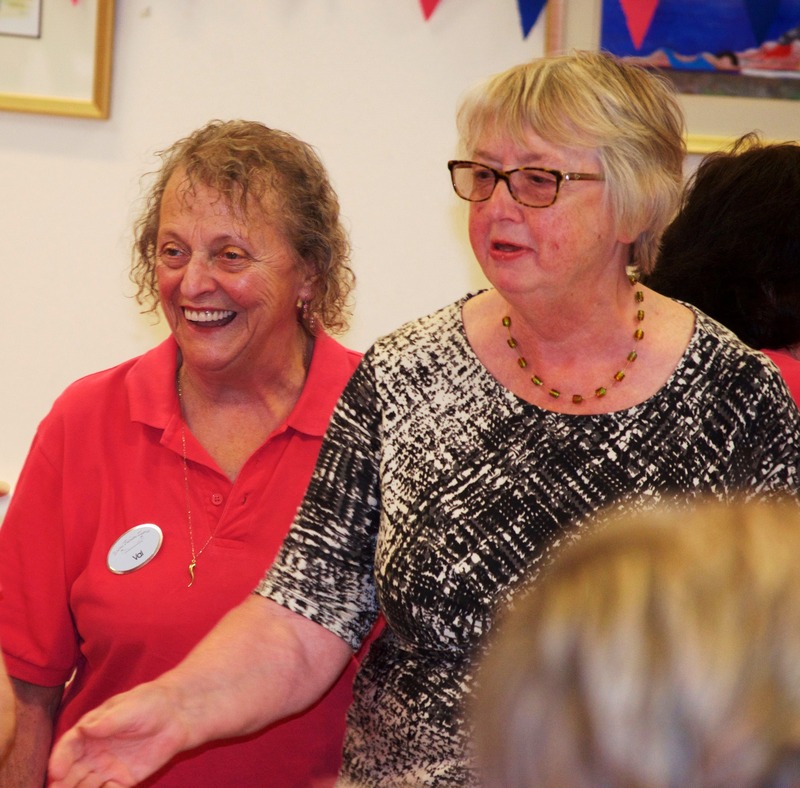 We presented long service certificates to our members who had been in the Chorus from 10 – 40 years. The total number of years was 185! 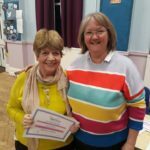 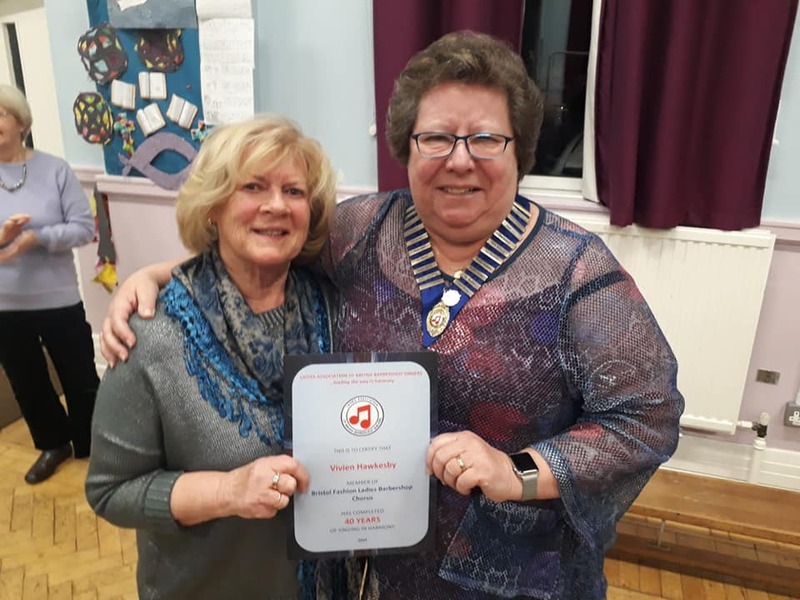 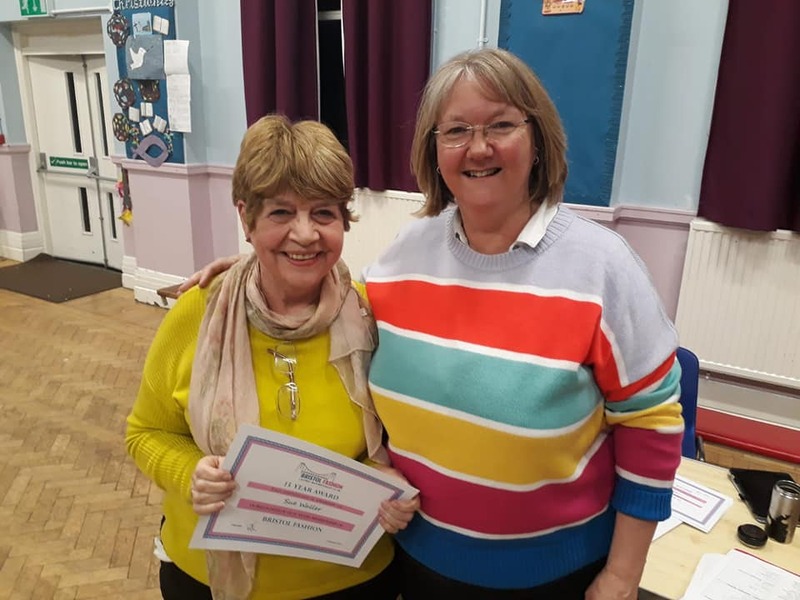 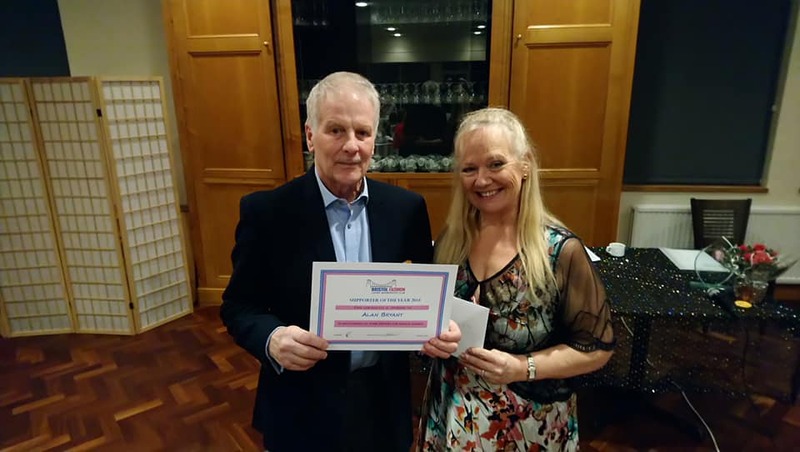 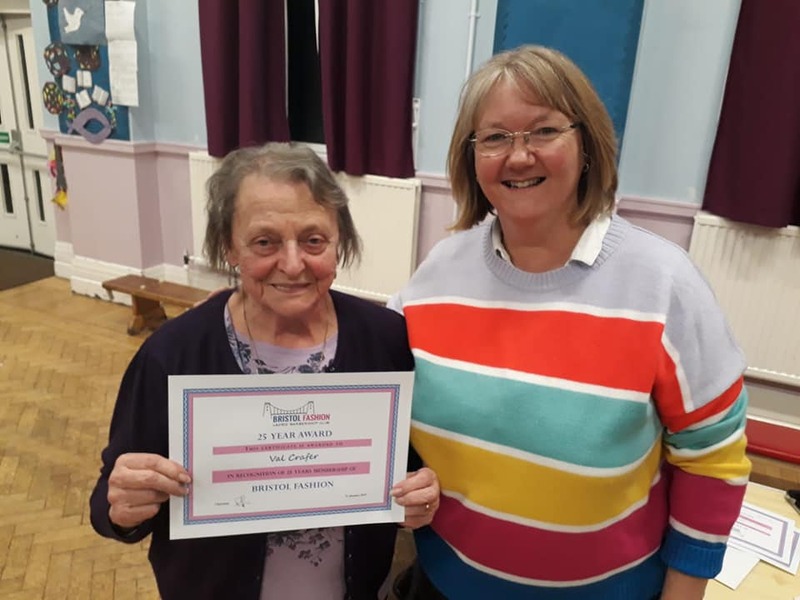 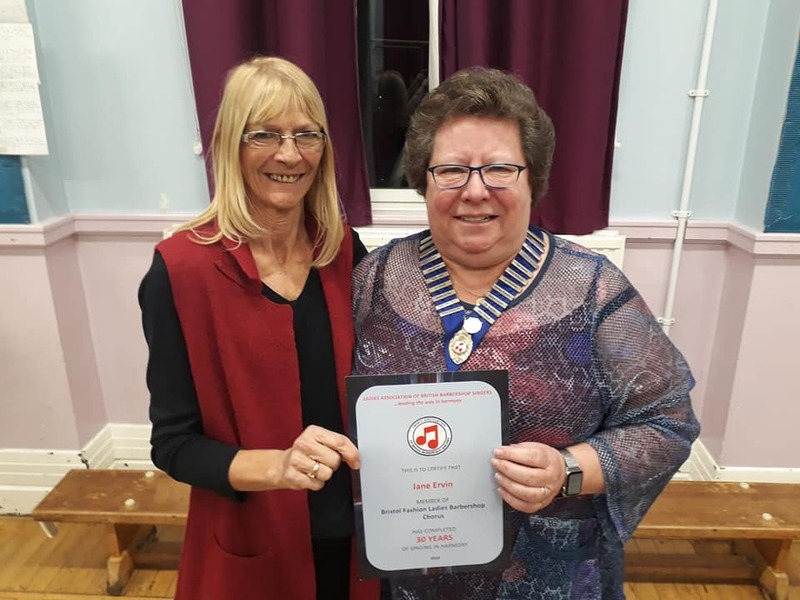 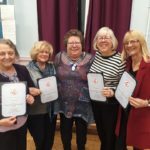 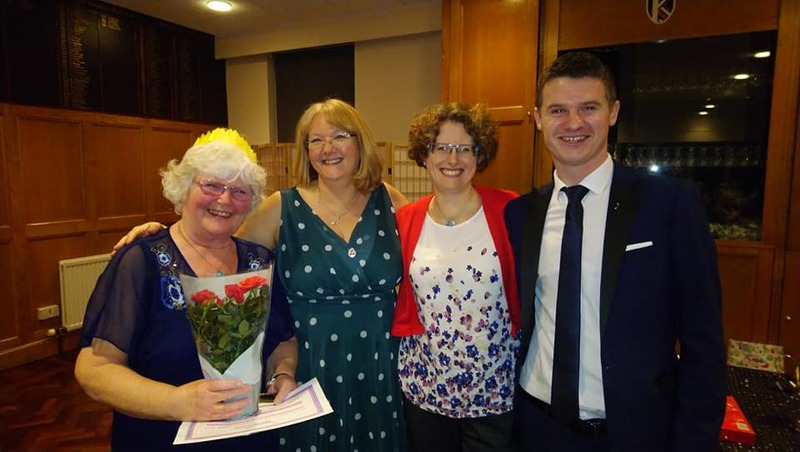 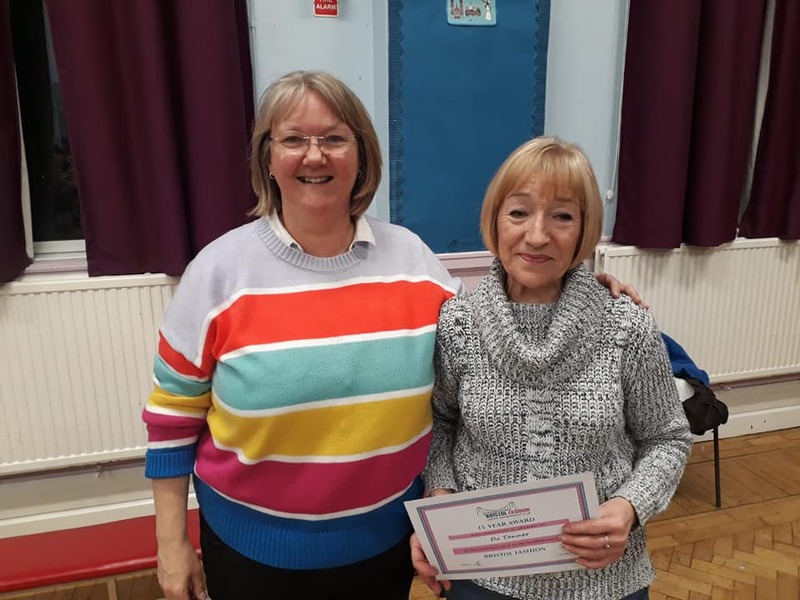 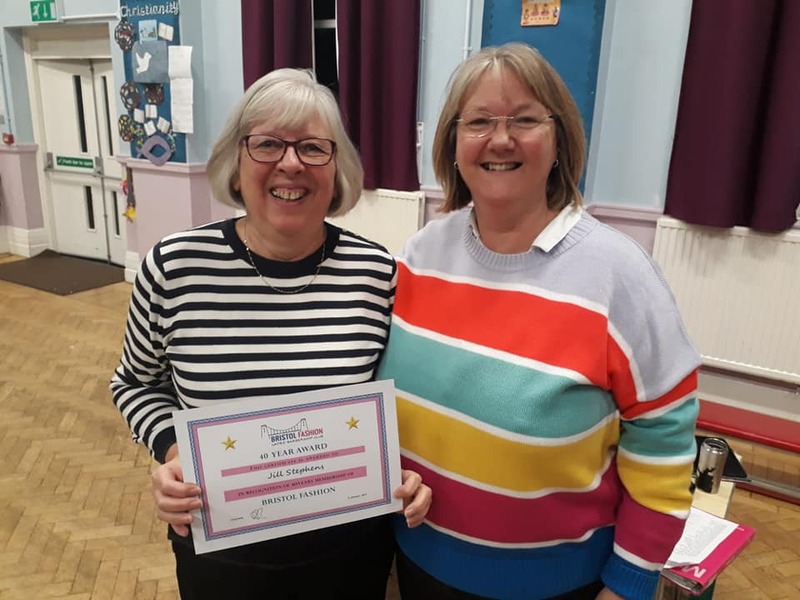 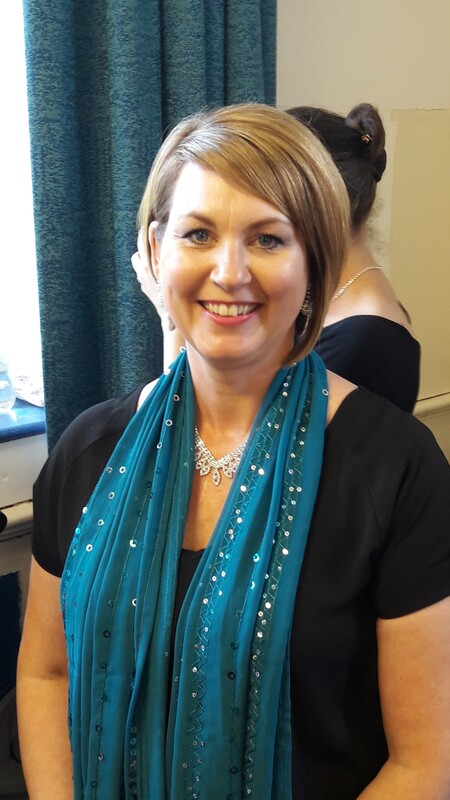 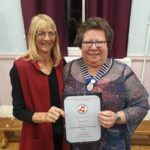 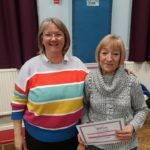 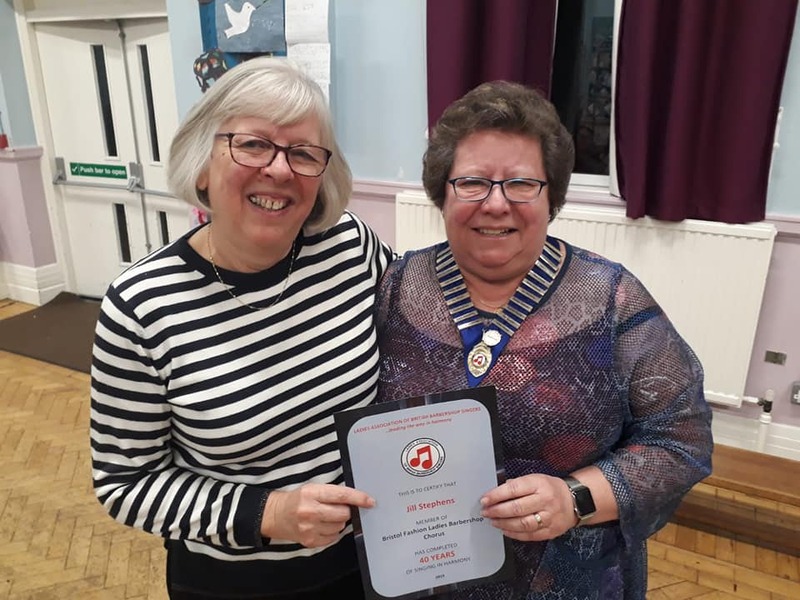 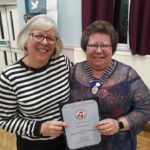 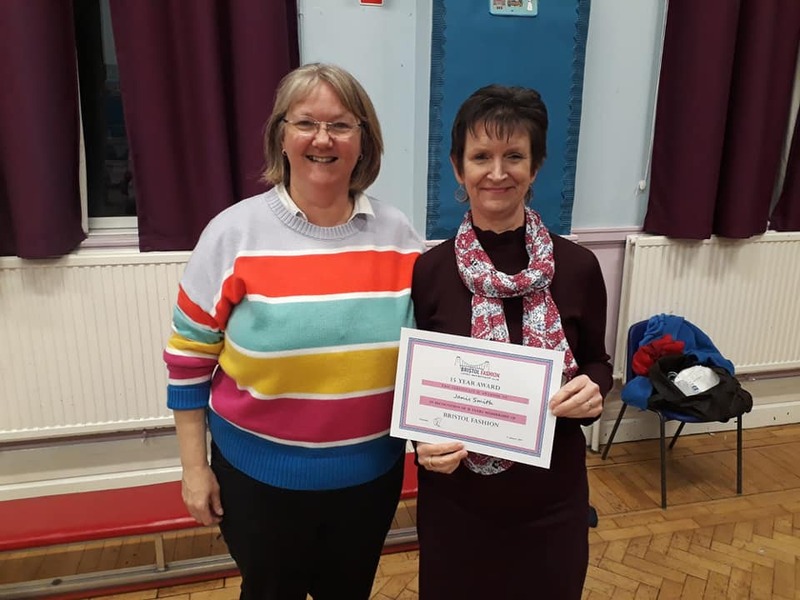 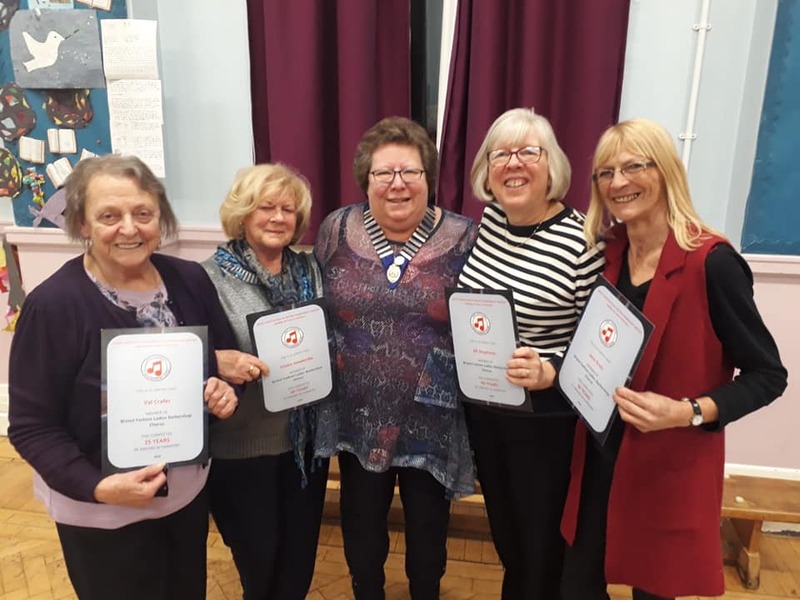 We were also delighted to welcome Deborah Lamble, Chairman of LABBS, who presented LABBS Long Service certificates and badges to four of our members. 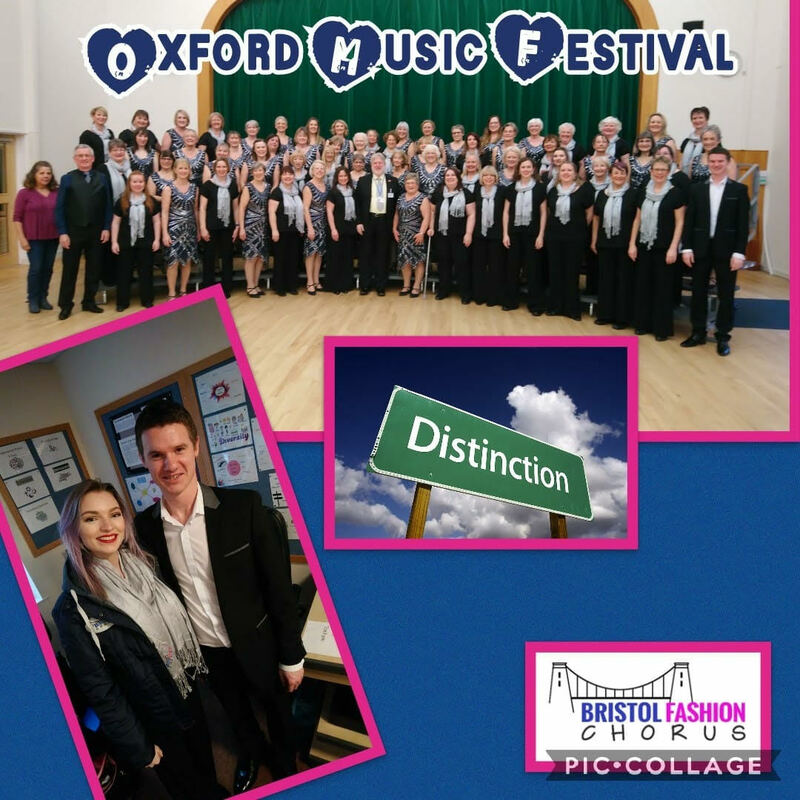 January Oxford Music Festival We were thrilled to gain distinction (and be placed first) in both the classes we entered. 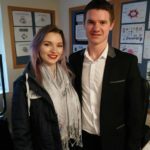 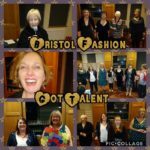 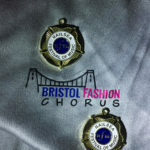 Congratulations to Tash on her first competition with Bristol Fashion. 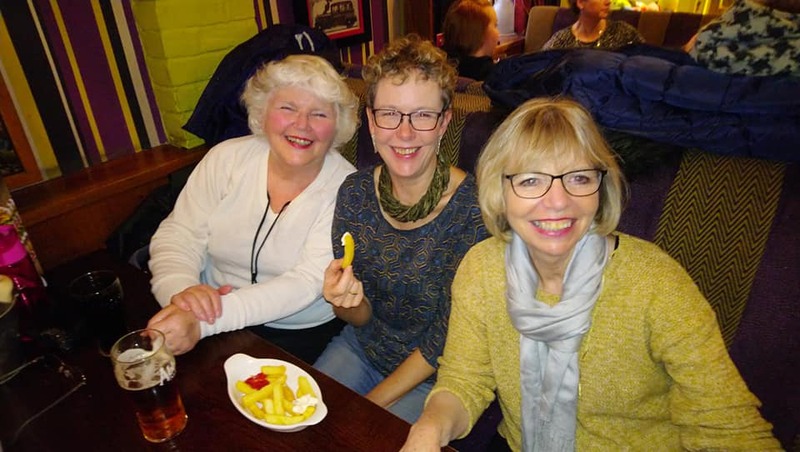 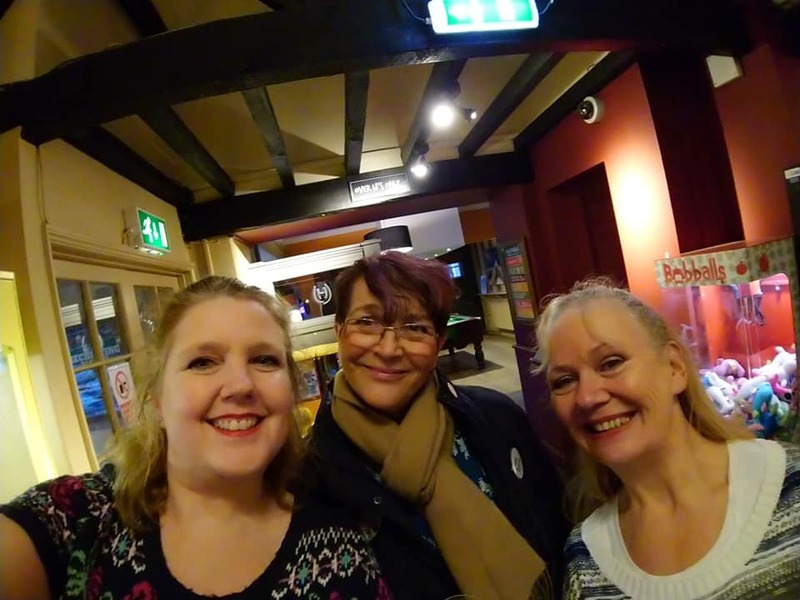 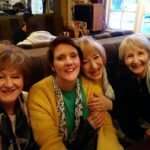 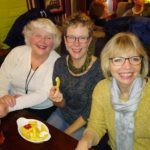 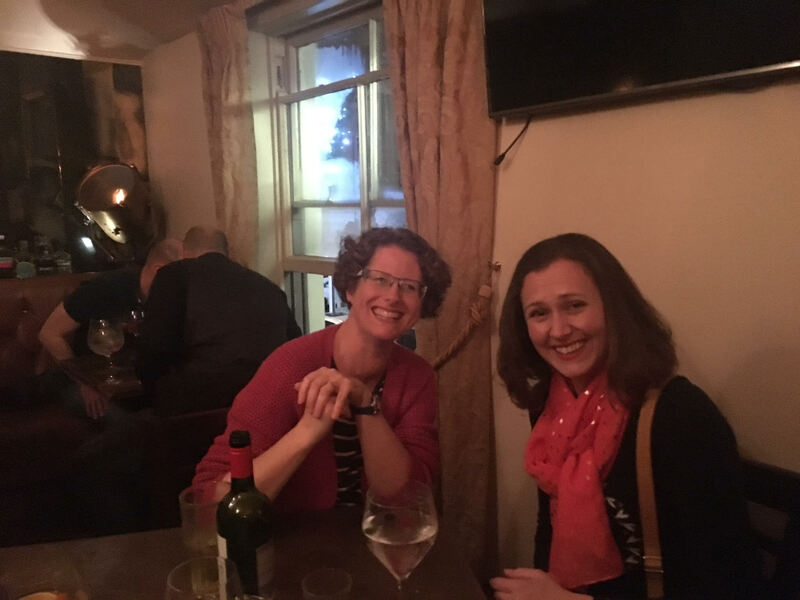 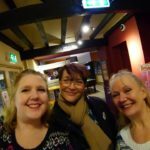 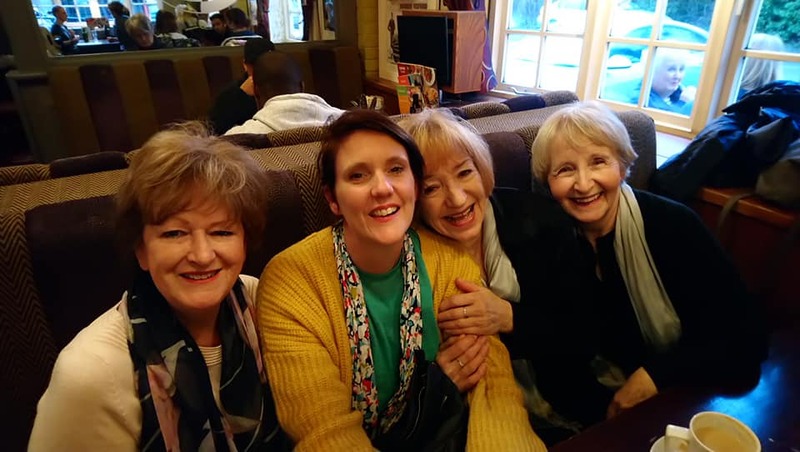 As usual, we had fun in the pub afterwards and enjoyed spending time with our friends from Harmony Inspires. 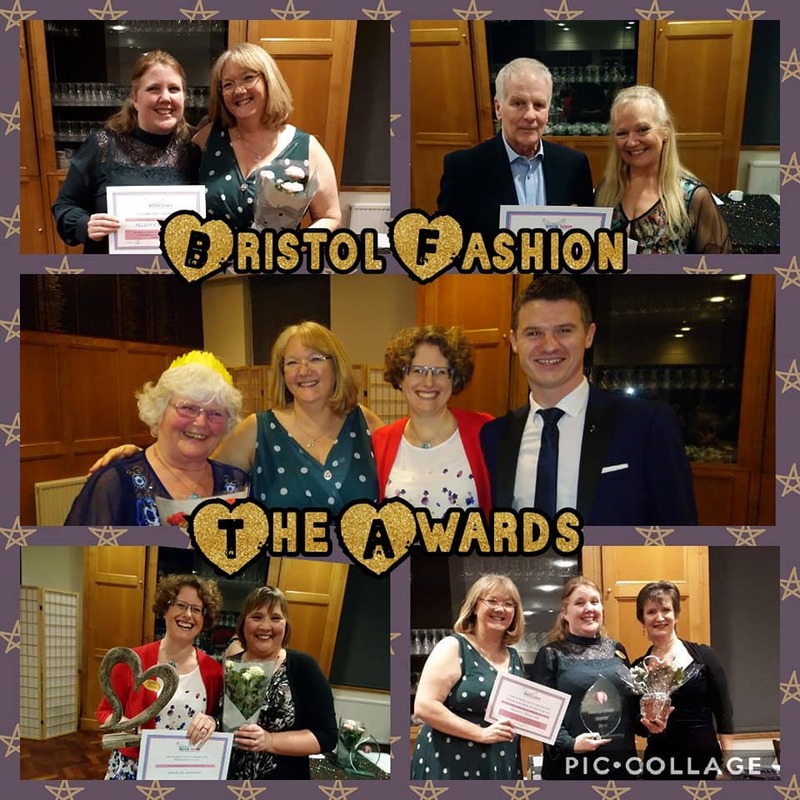 January Awards Night Party A wonderful start to the year with a fun evening celebrating our Award Winners and enjoying entertainment from some great acts. 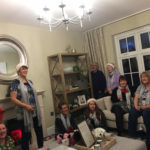 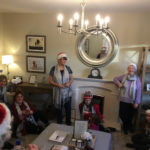 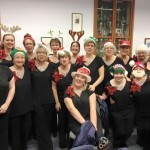 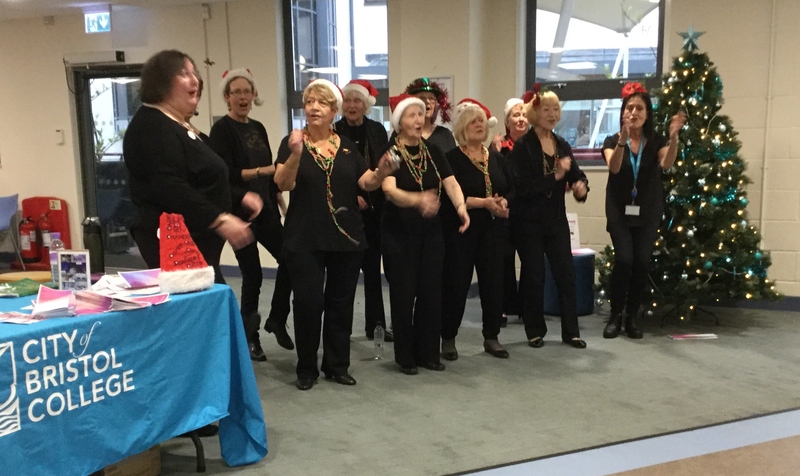 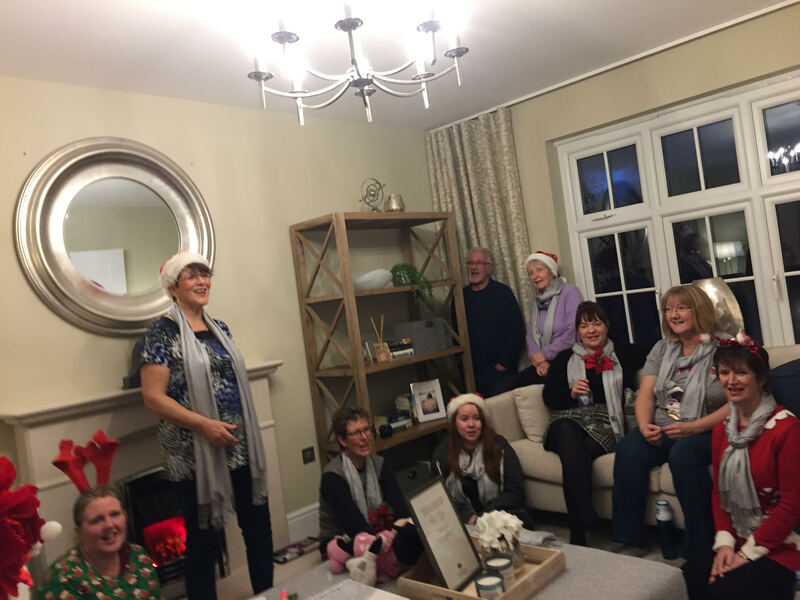 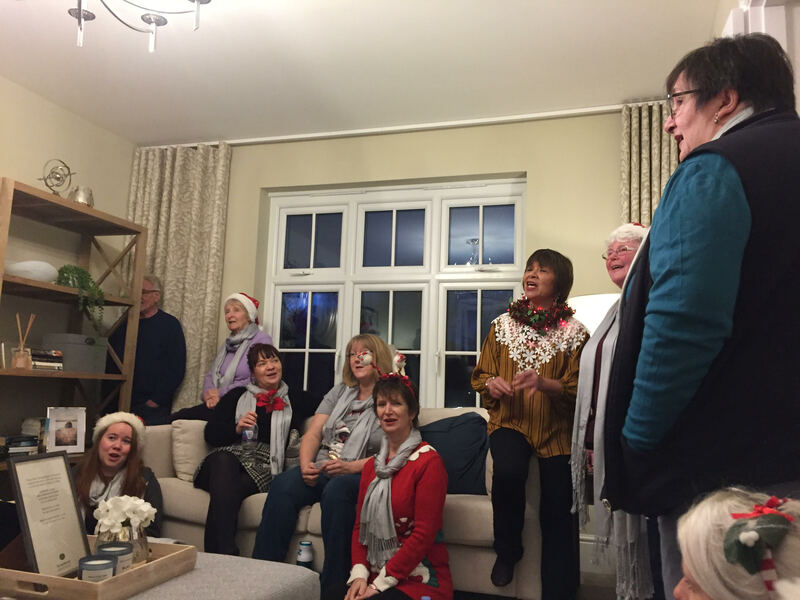 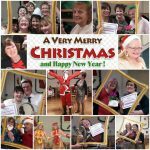 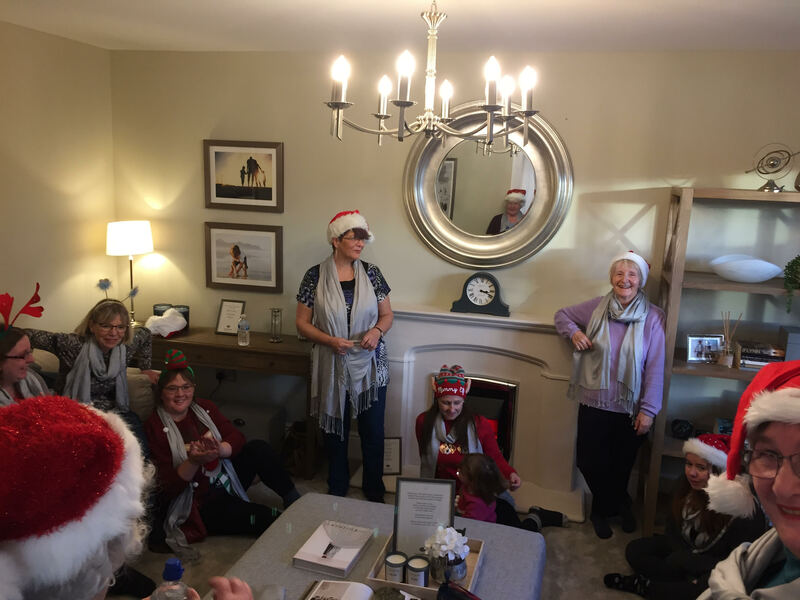 December – Sing out for Redrow Homes A very relaxed afternoon for our last gig of the year, singing in the lounge of the Show House at a new housing development in Great Oldbury. 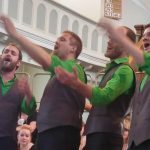 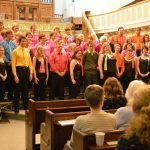 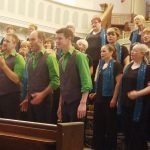 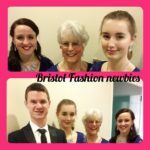 December – Joint Show with Bristol A Capella A fantastic evening performing to a packed audience in the beautiful Methodist Church, Whiteladies Road, Bristol. 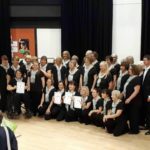 It was great to be able to showcase all the new songs we have learnt this year, and we also enjoyed sharing the stage with our friends in BAC singing ‘Let It Snow’ for the Finale. 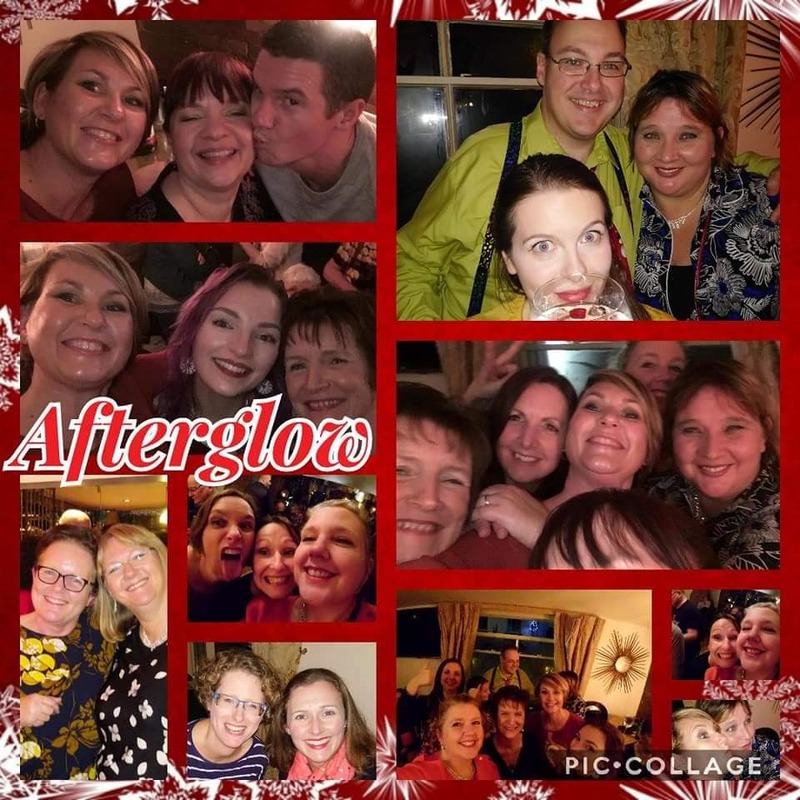 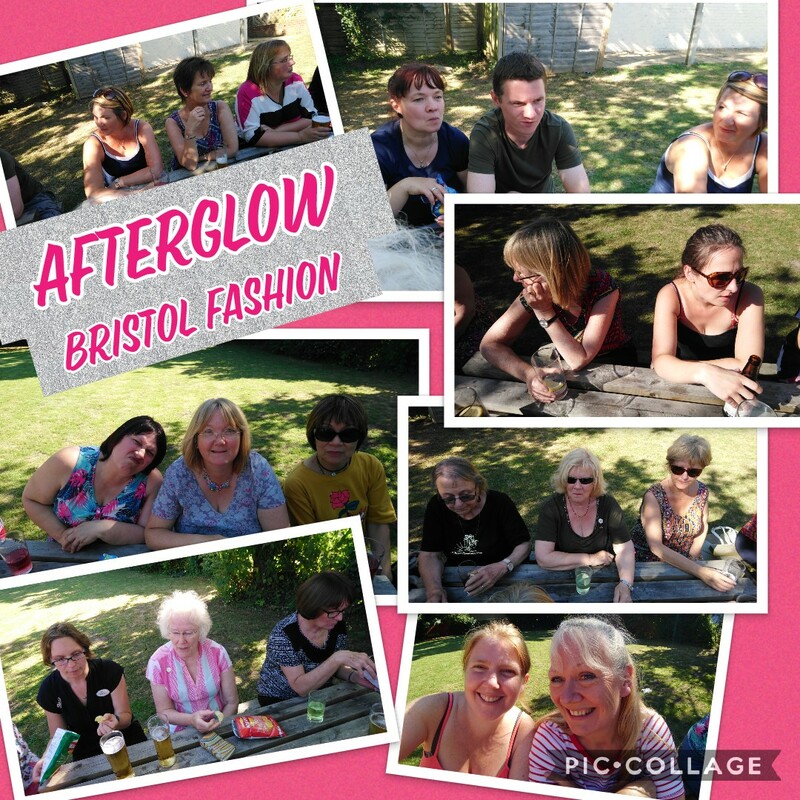 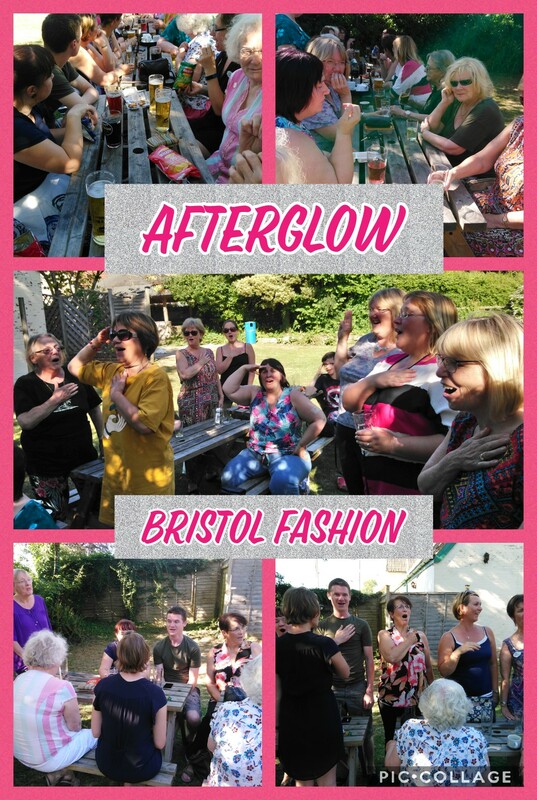 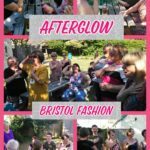 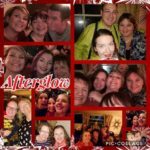 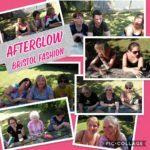 We certainly know how to ‘Afterglow’ in style too! 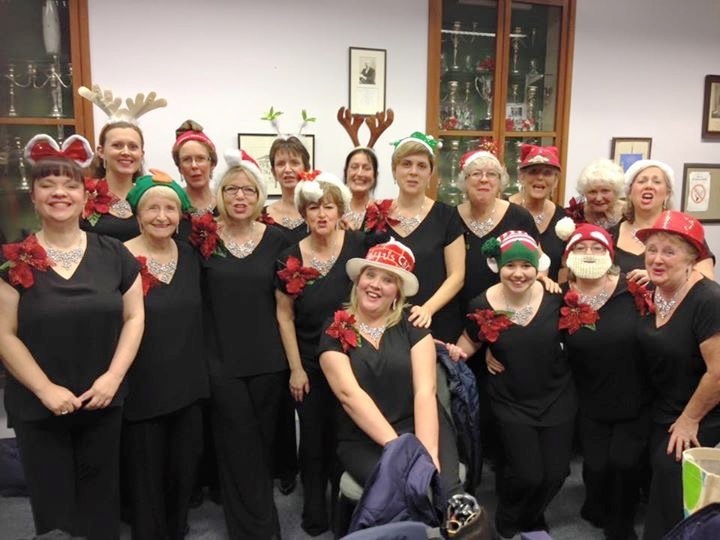 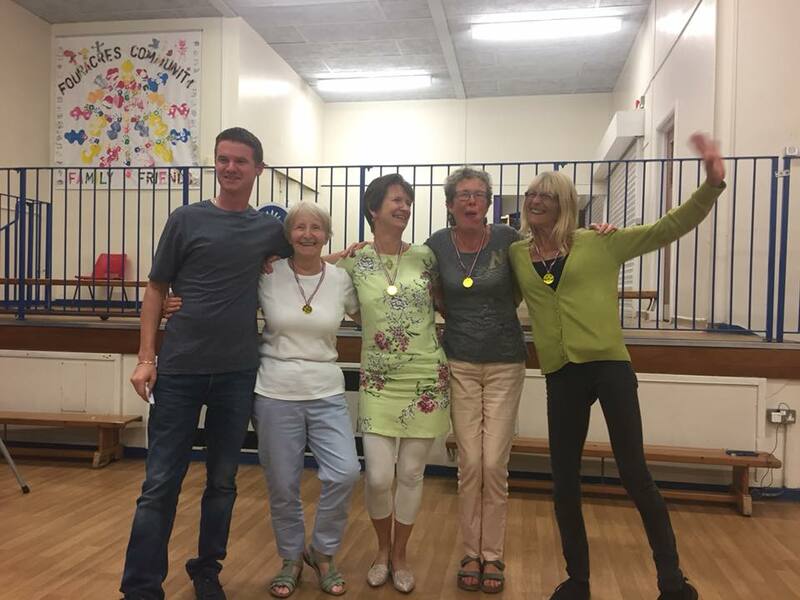 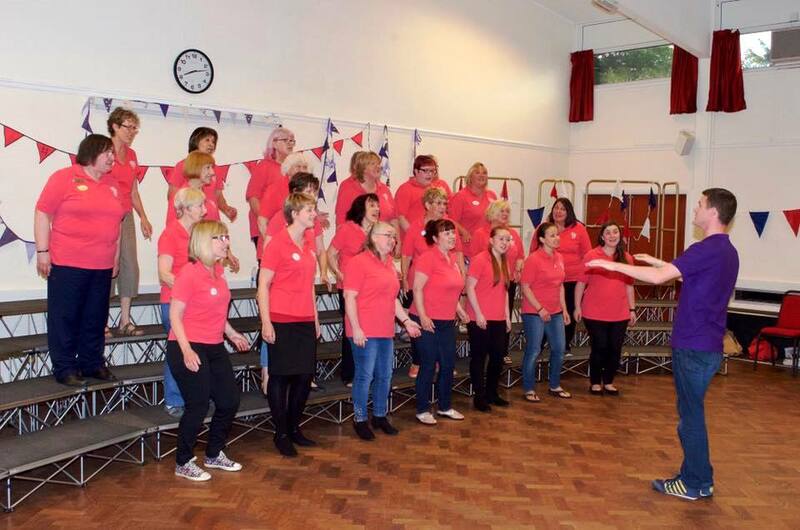 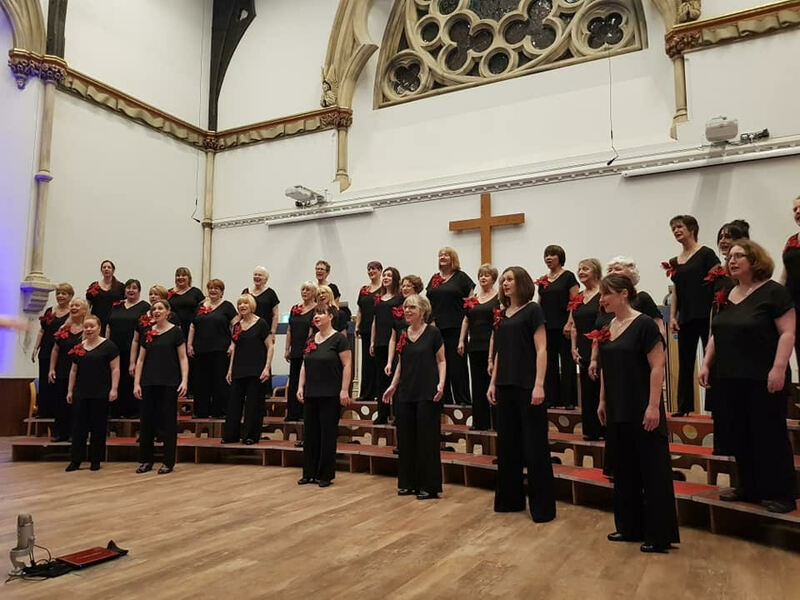 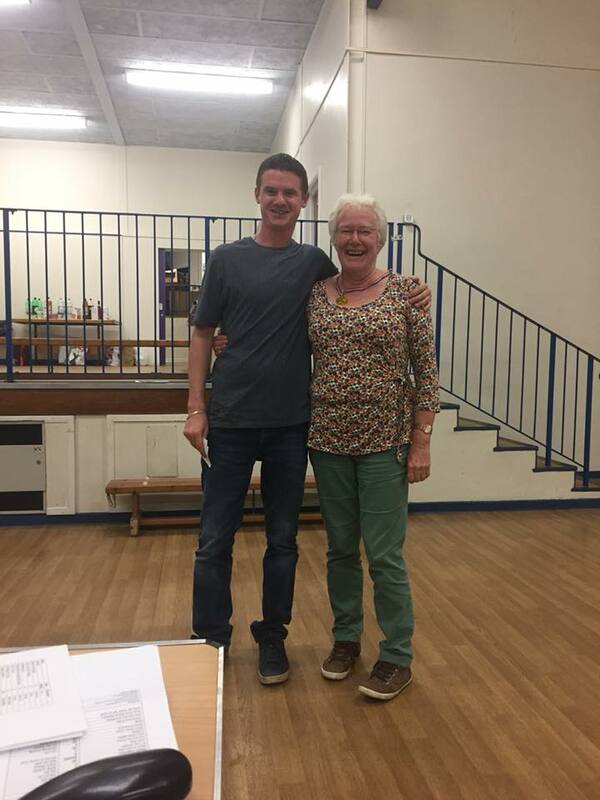 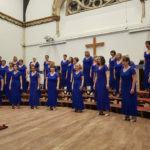 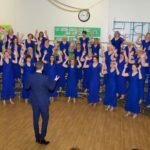 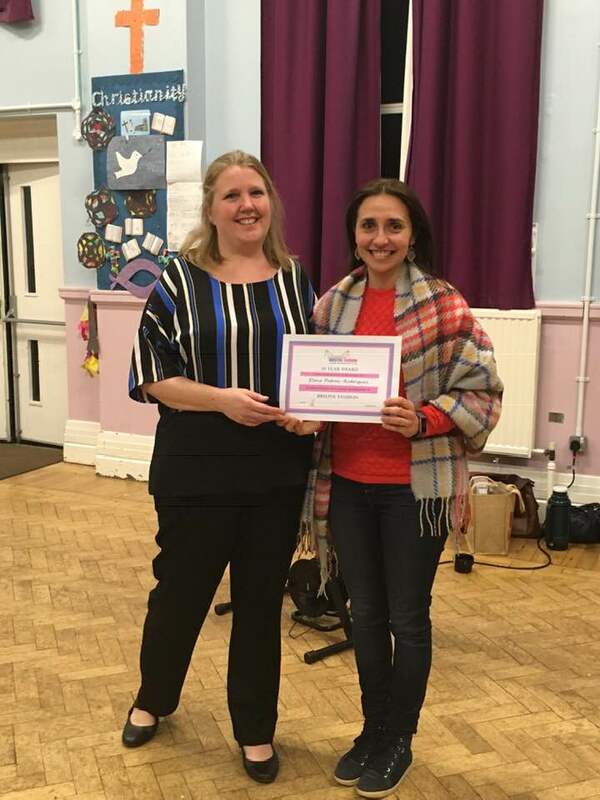 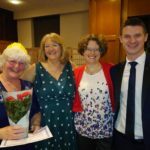 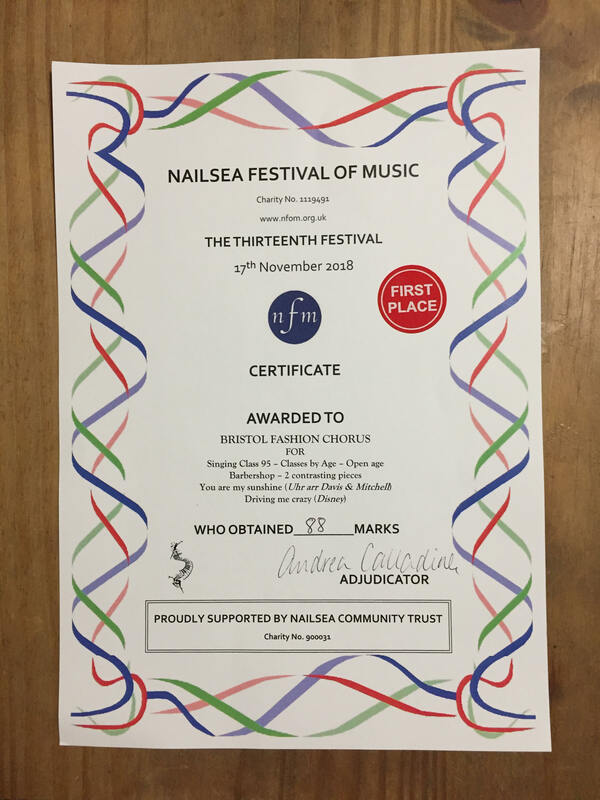 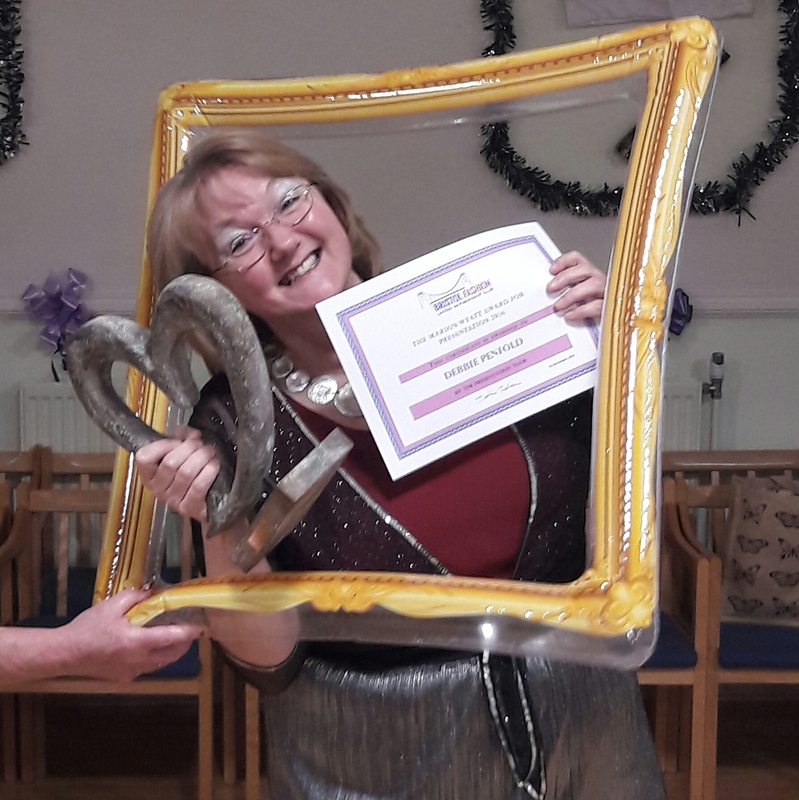 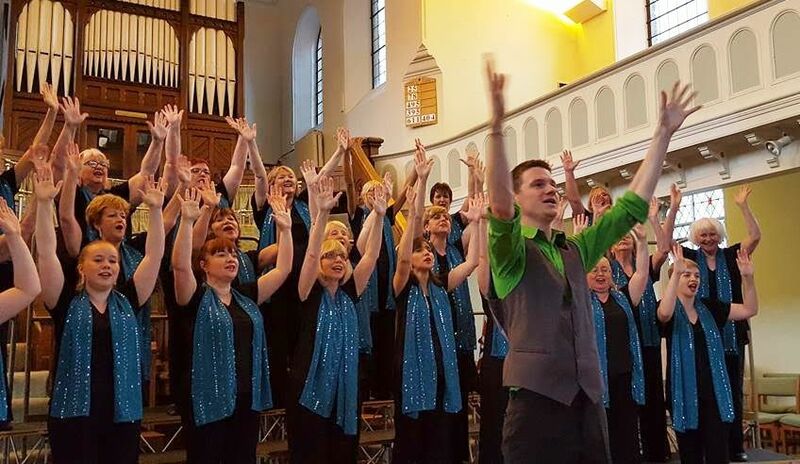 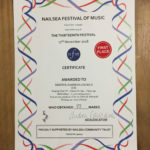 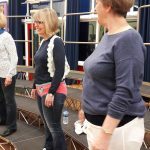 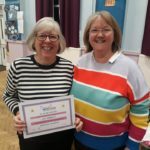 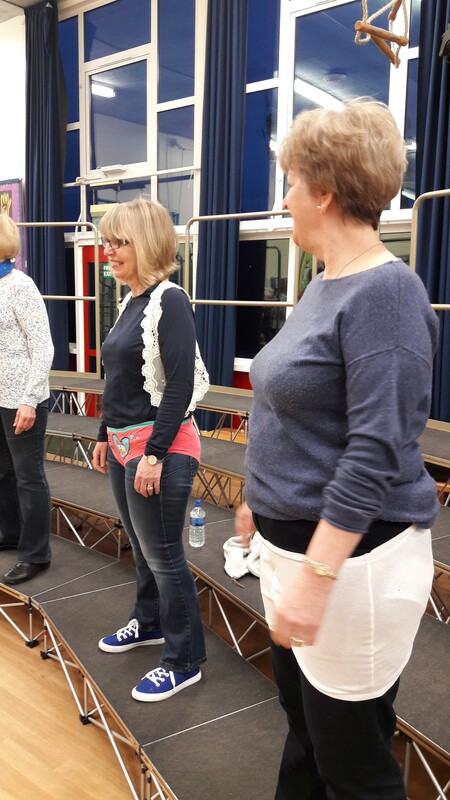 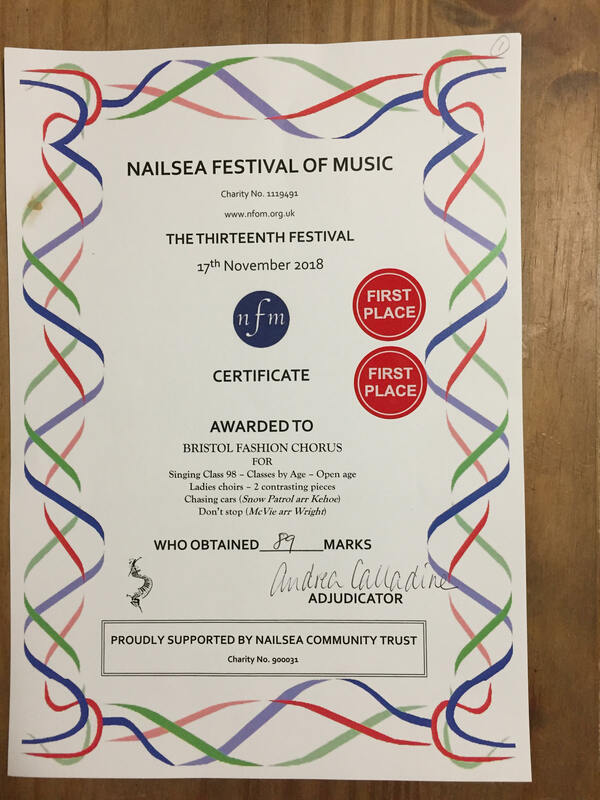 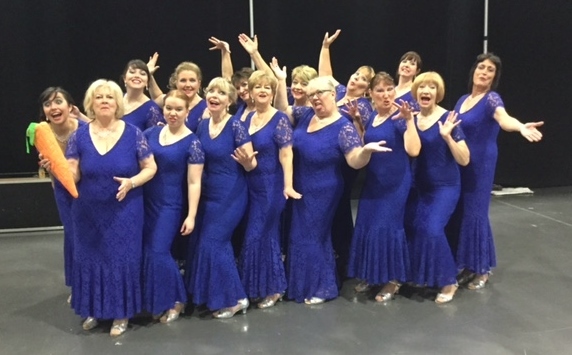 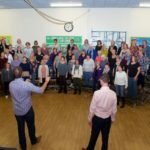 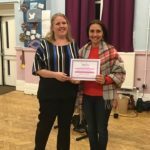 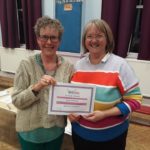 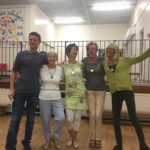 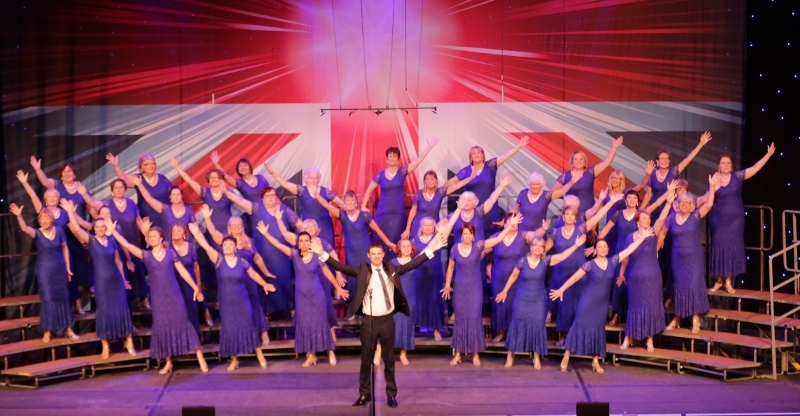 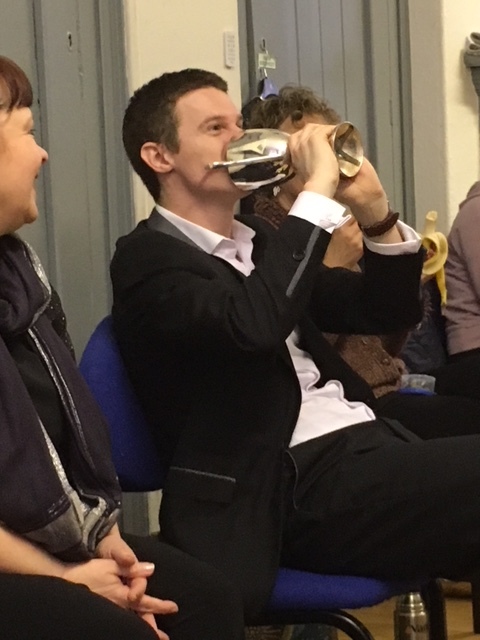 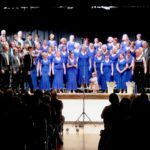 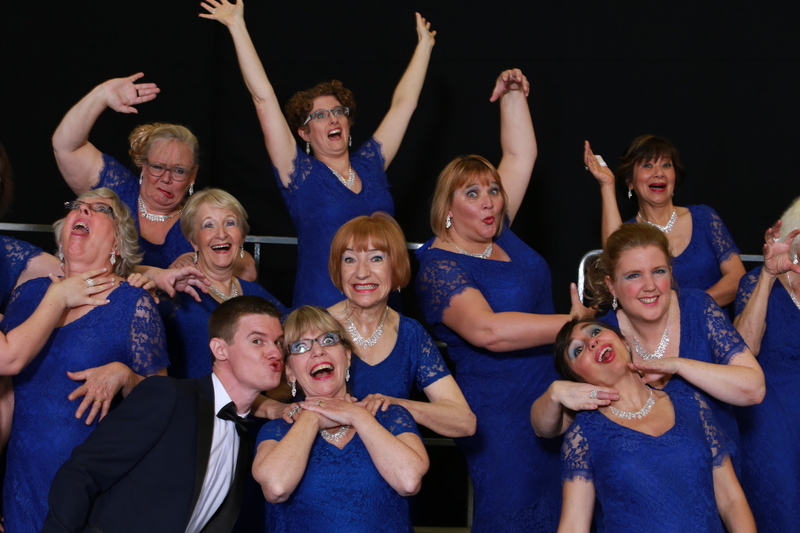 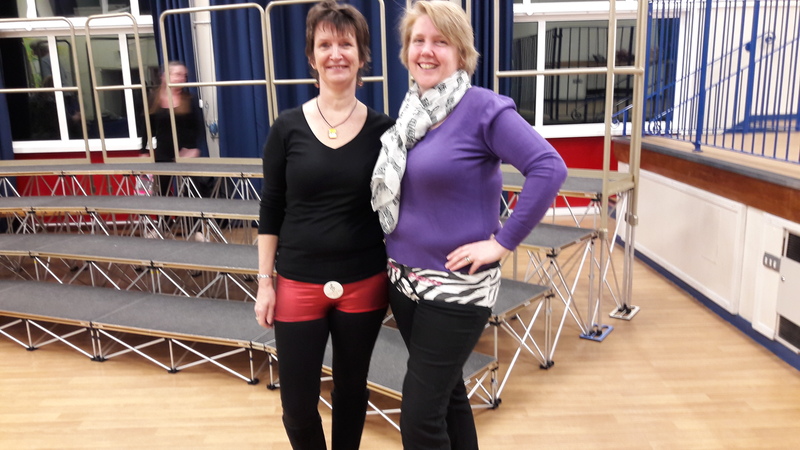 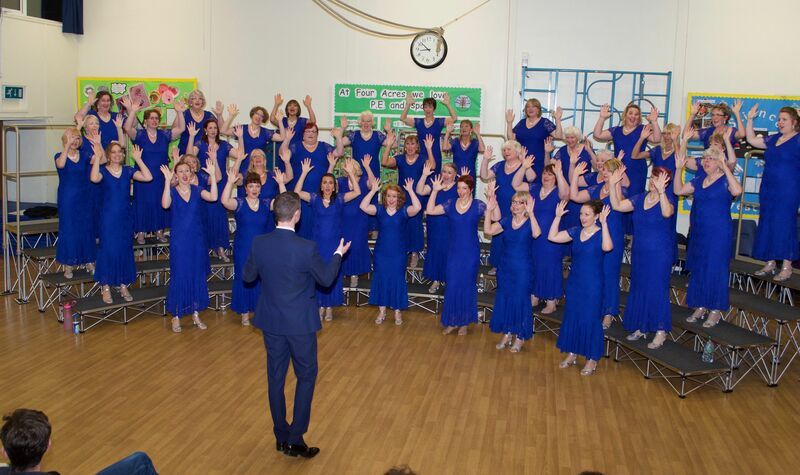 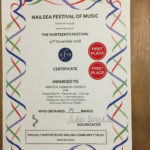 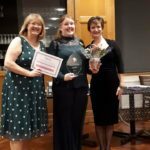 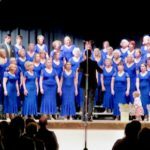 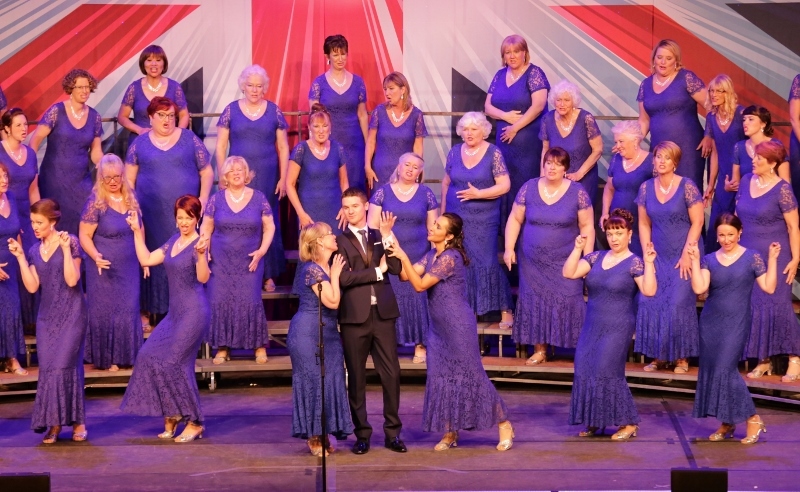 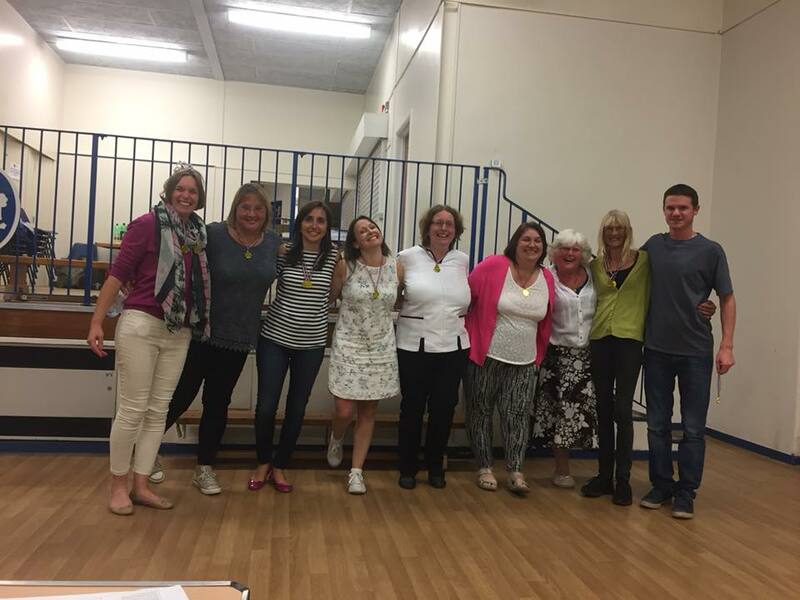 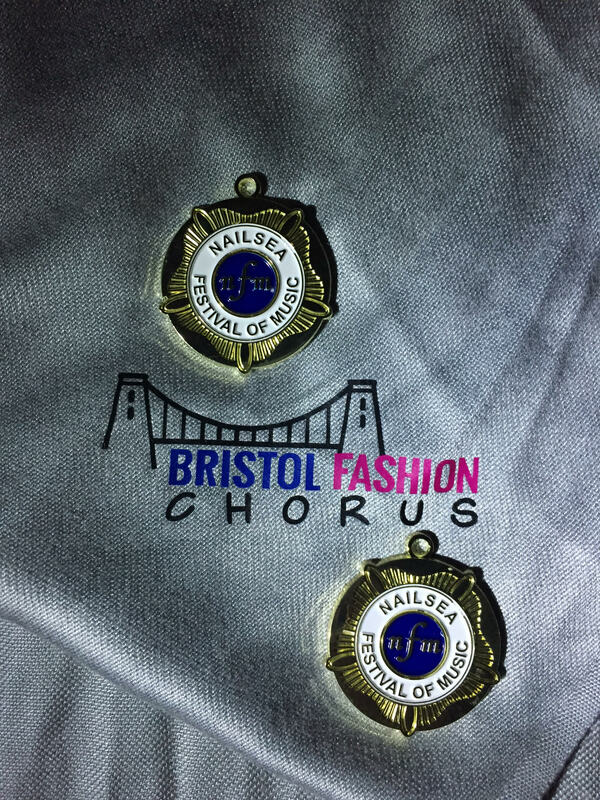 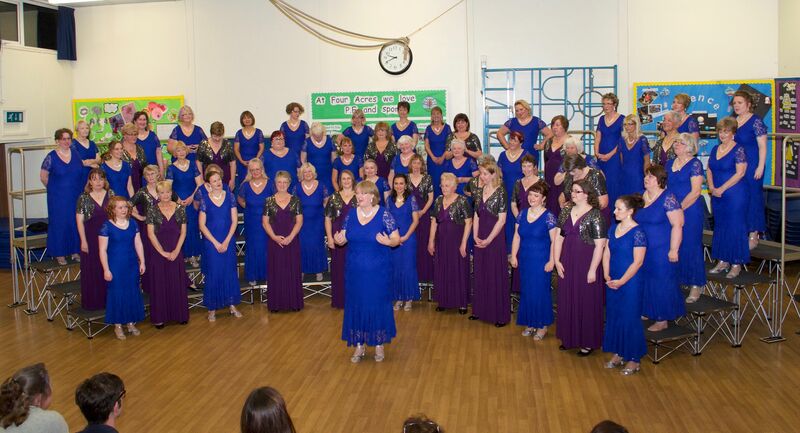 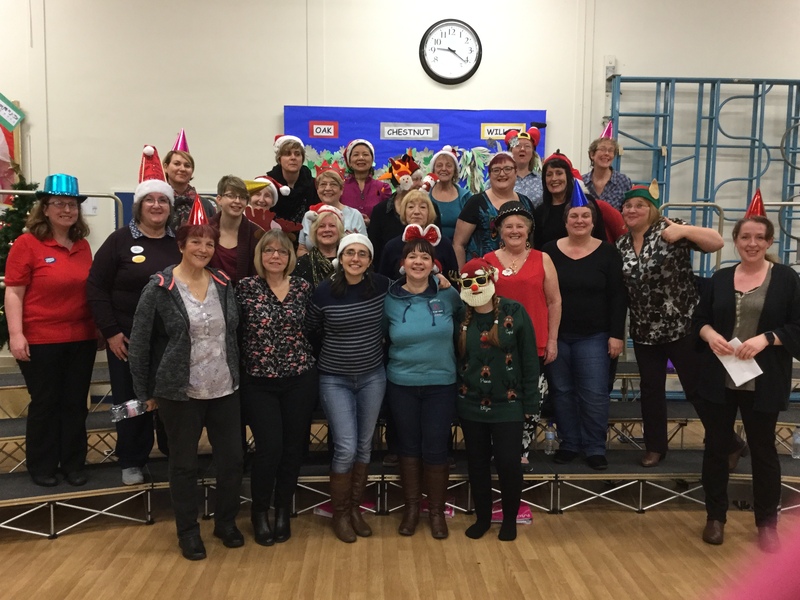 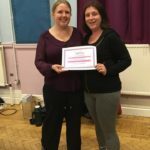 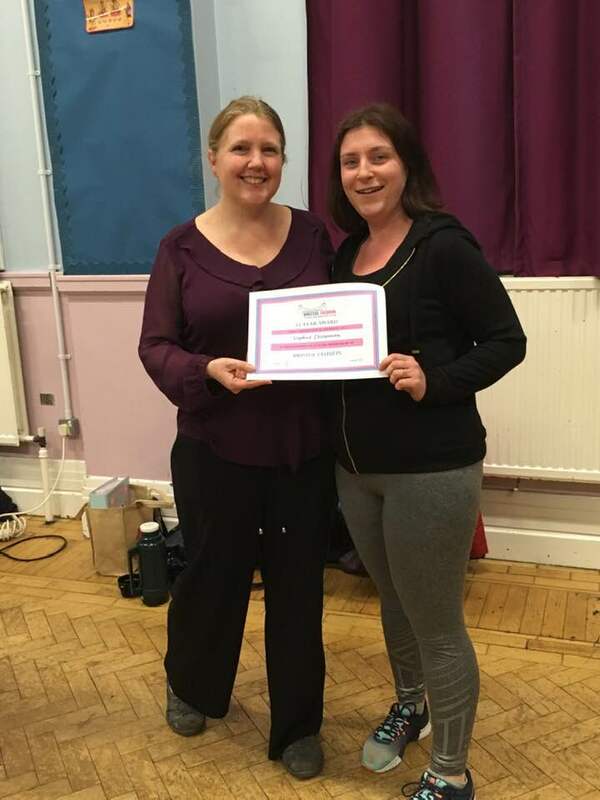 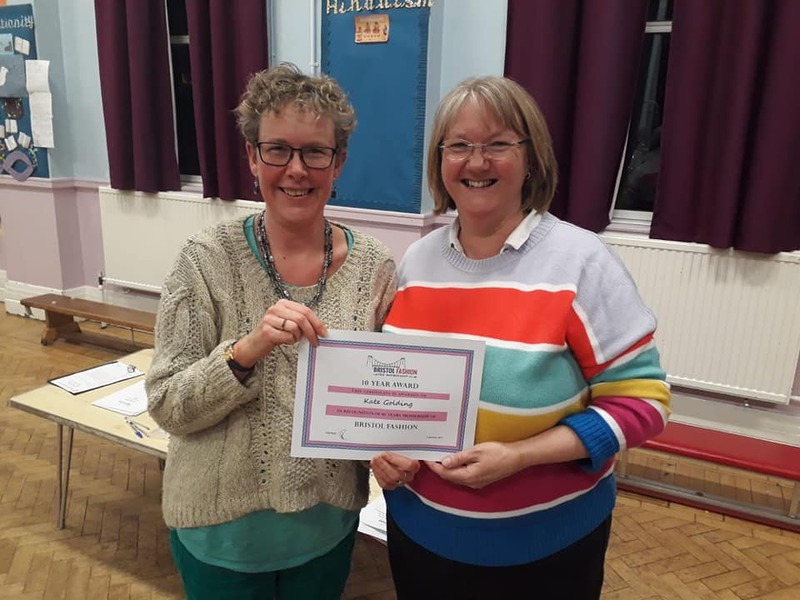 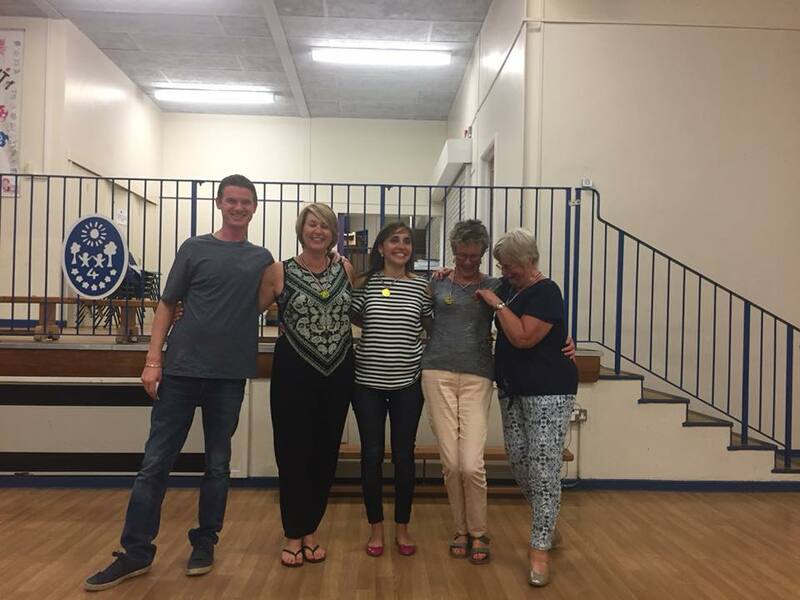 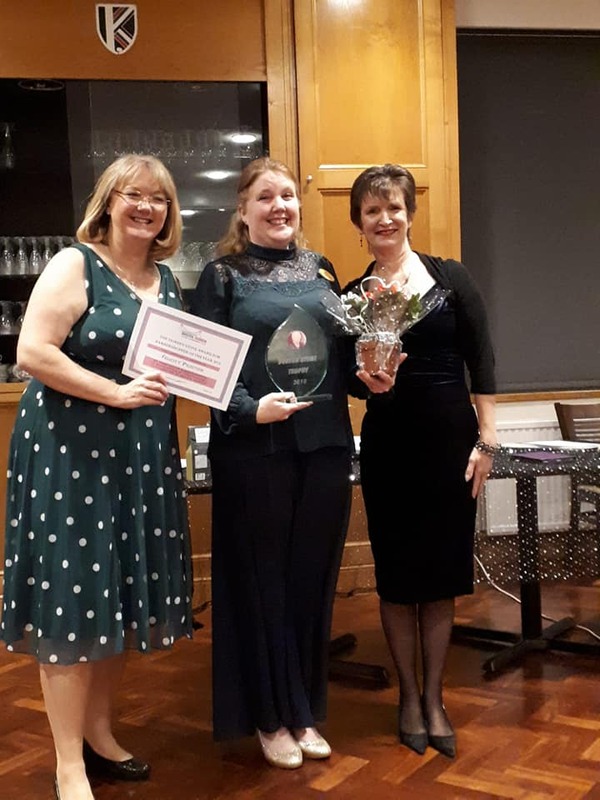 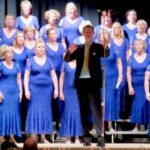 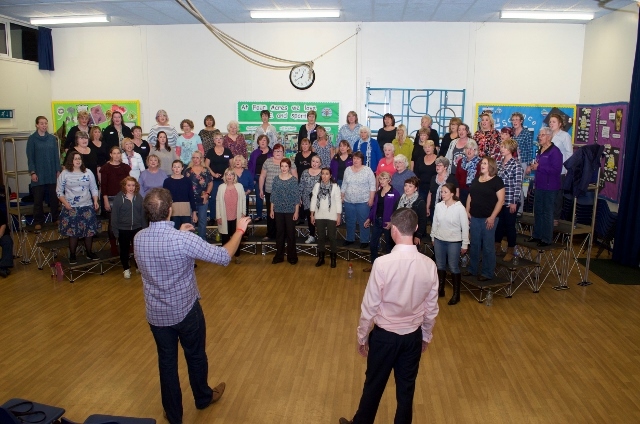 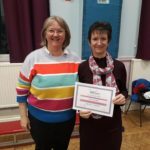 November – Nailsea Festival of Music We were delighted with our success, gaining high marks in both classes and winning the overall adult singing category. 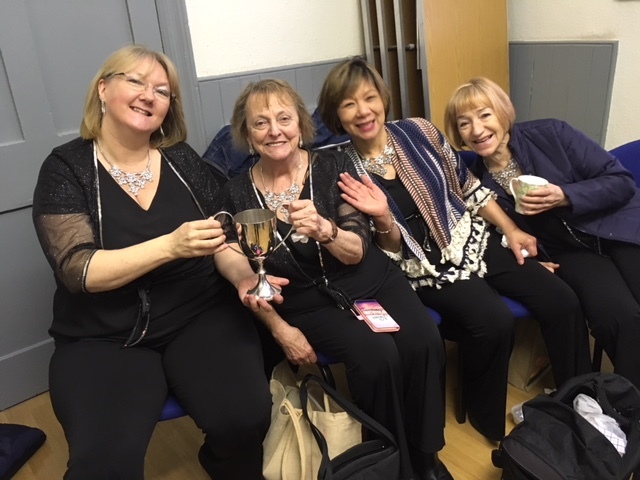 Our small ensemble – Vintage, and quartet – Obsession also competed and did equally well. 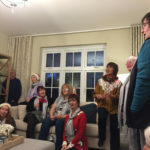 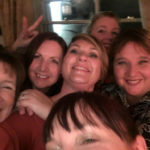 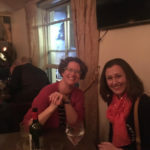 More singing and laughter in the pub afterwards! 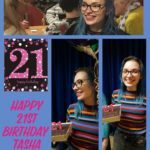 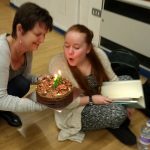 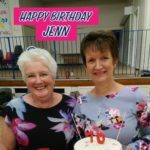 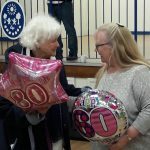 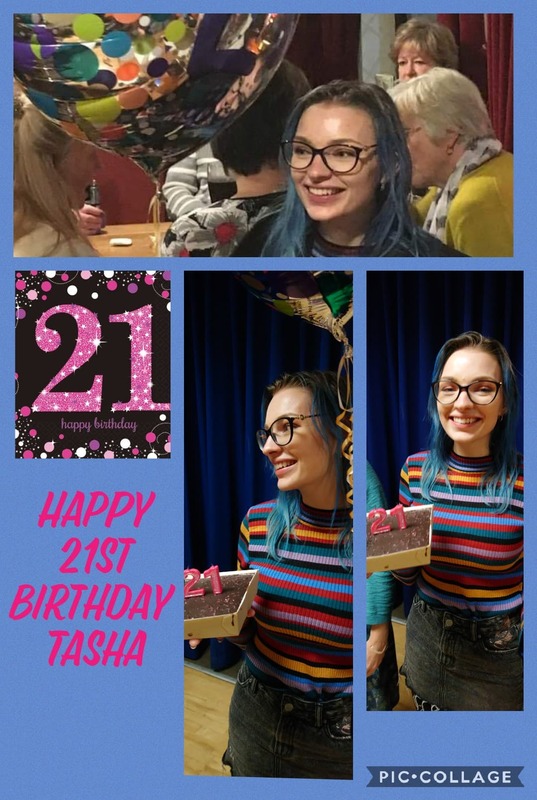 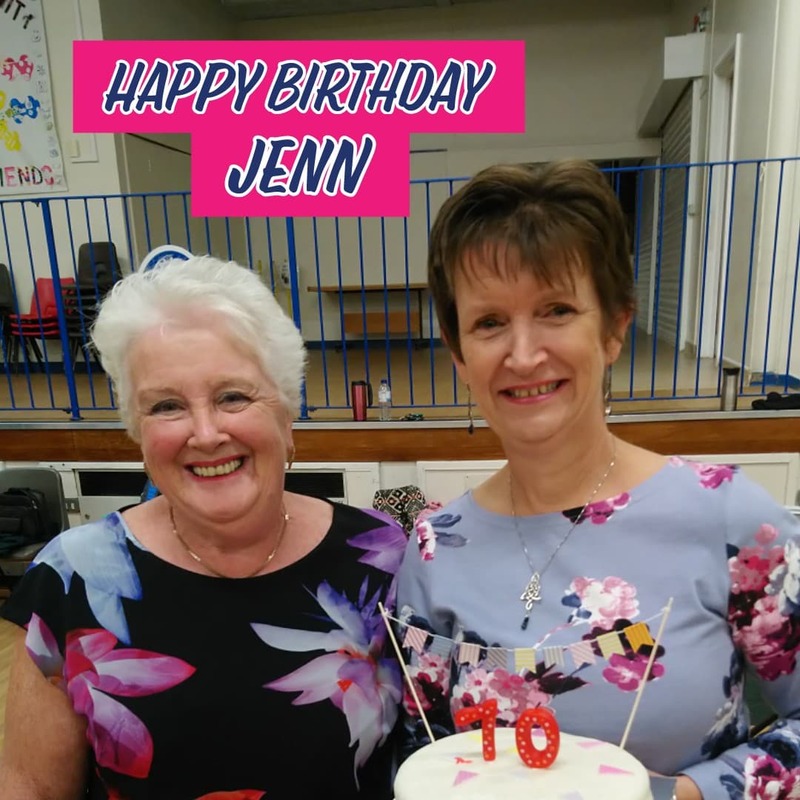 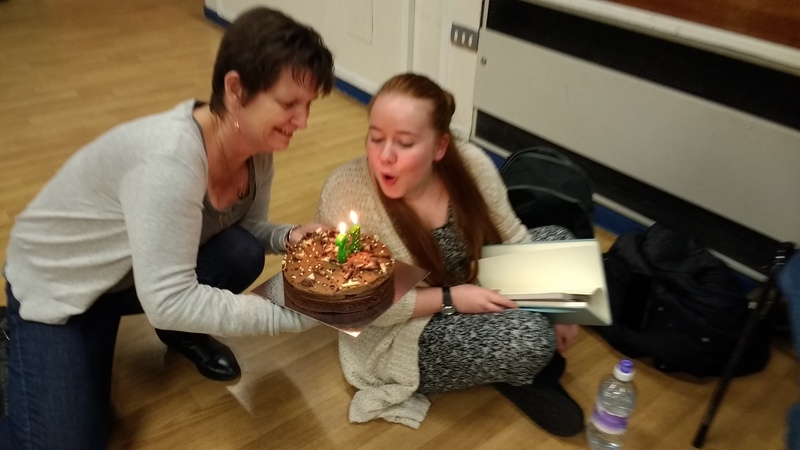 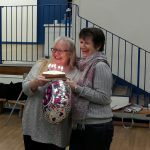 Big birthdays! 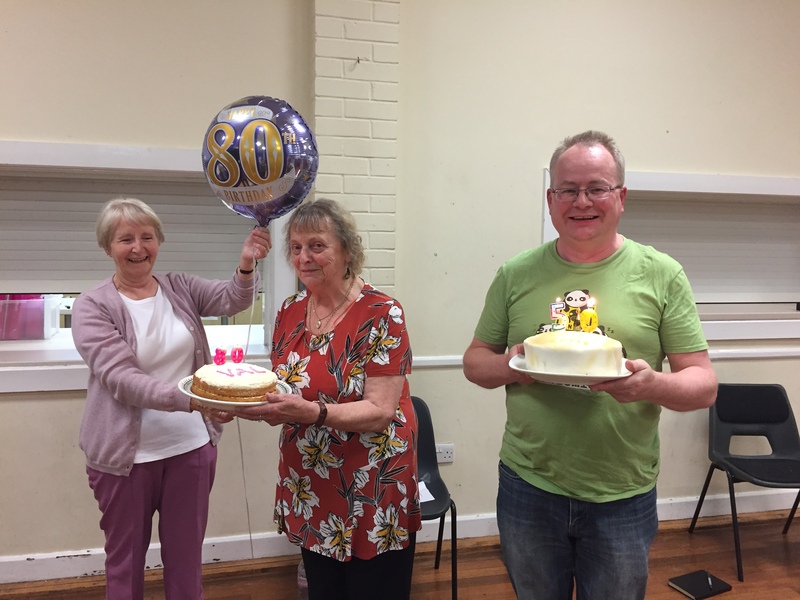 We love celebrating – any excuse for cake!! 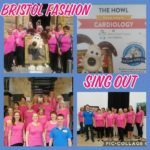 August – Gig at the Royal West of England Academy for Bristol Children’s Hospital. 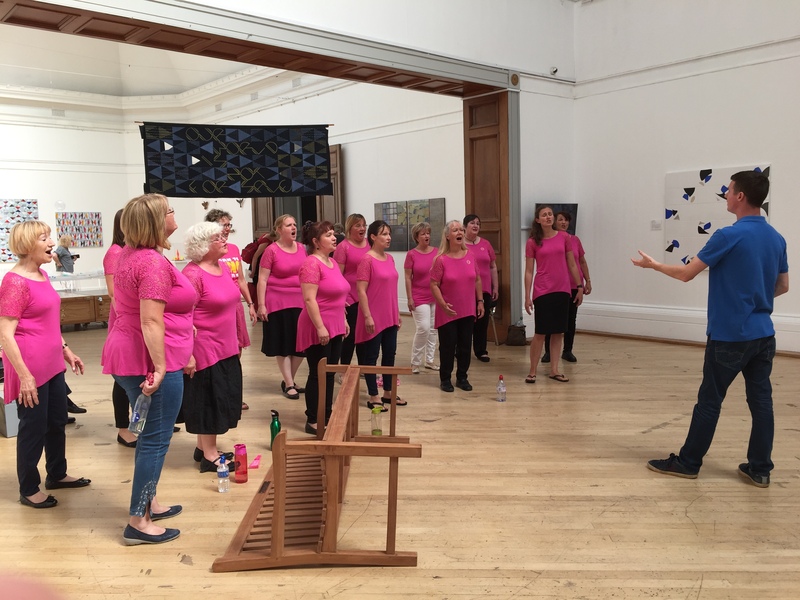 A happy afternoon providing entertainment for visitors to the exhibition. 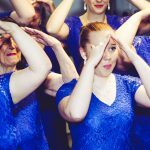 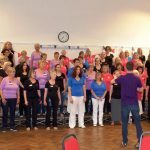 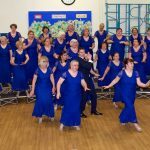 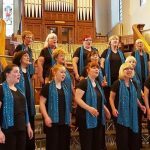 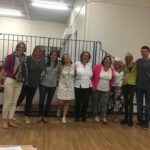 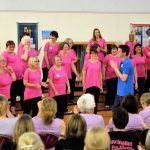 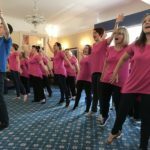 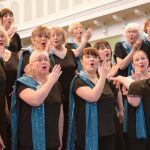 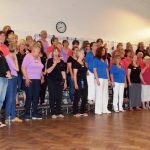 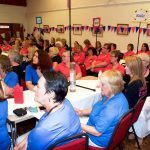 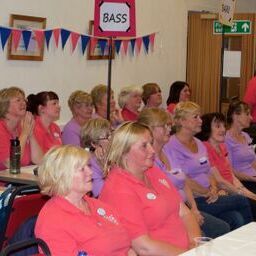 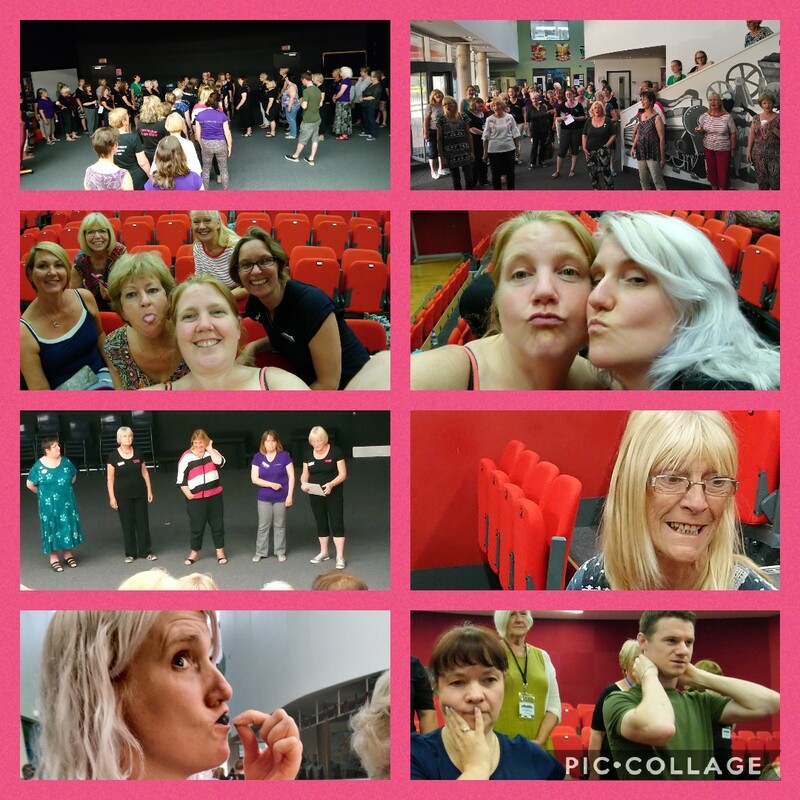 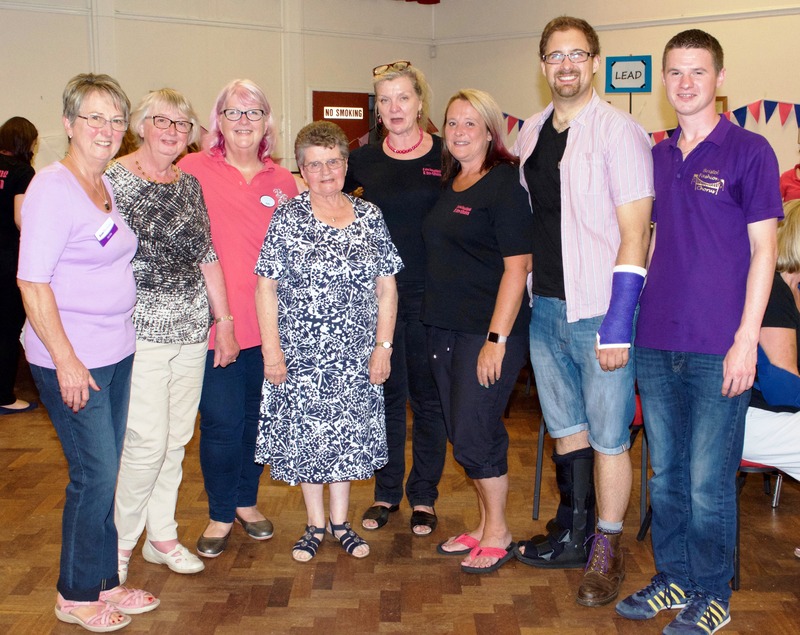 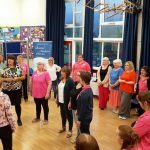 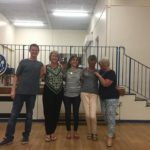 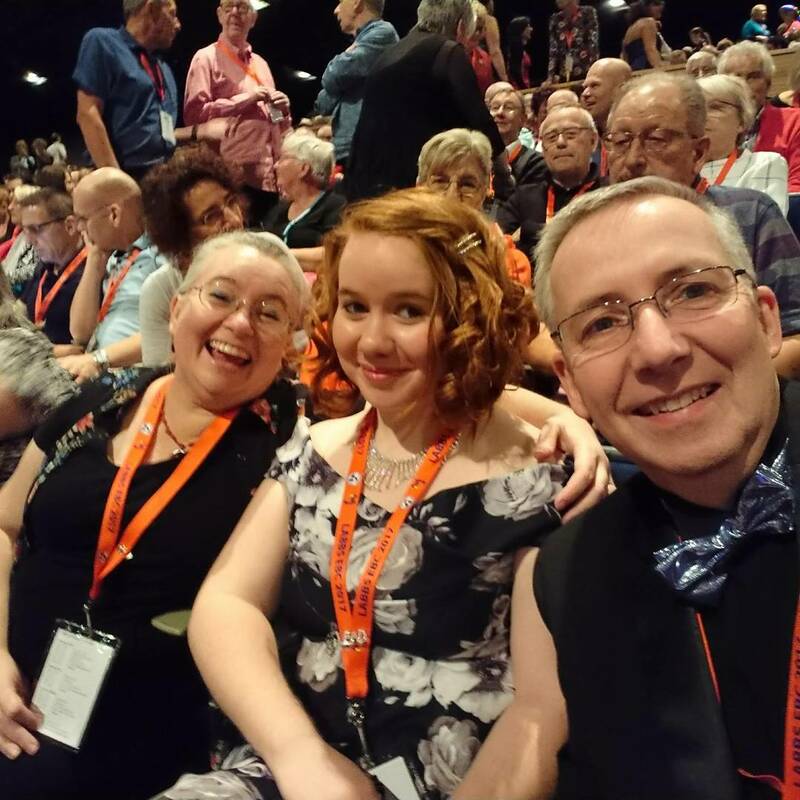 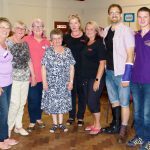 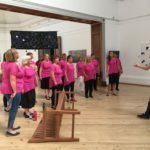 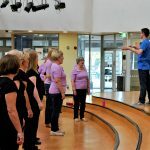 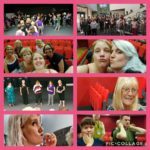 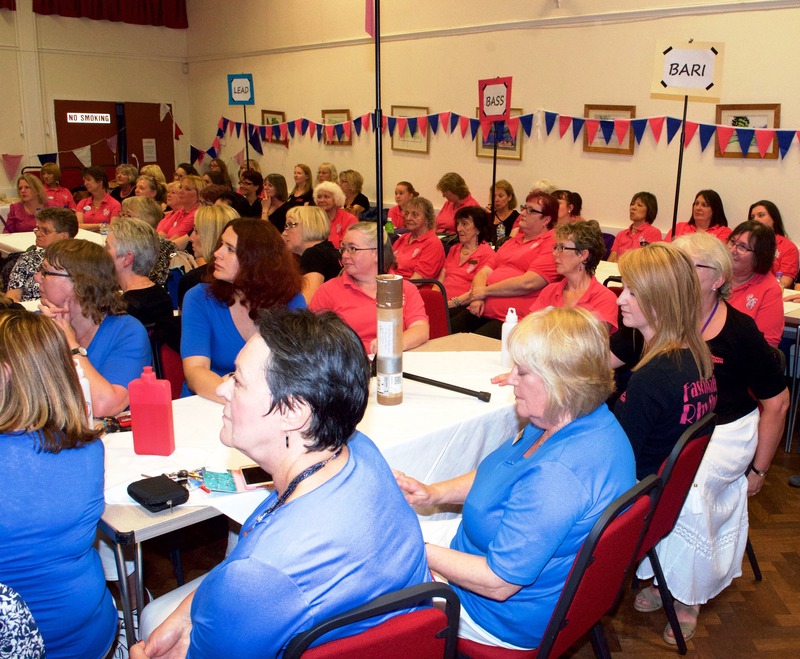 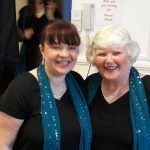 June – LABBS Education Day, hosted by our friends in Fascinating Rhythm. 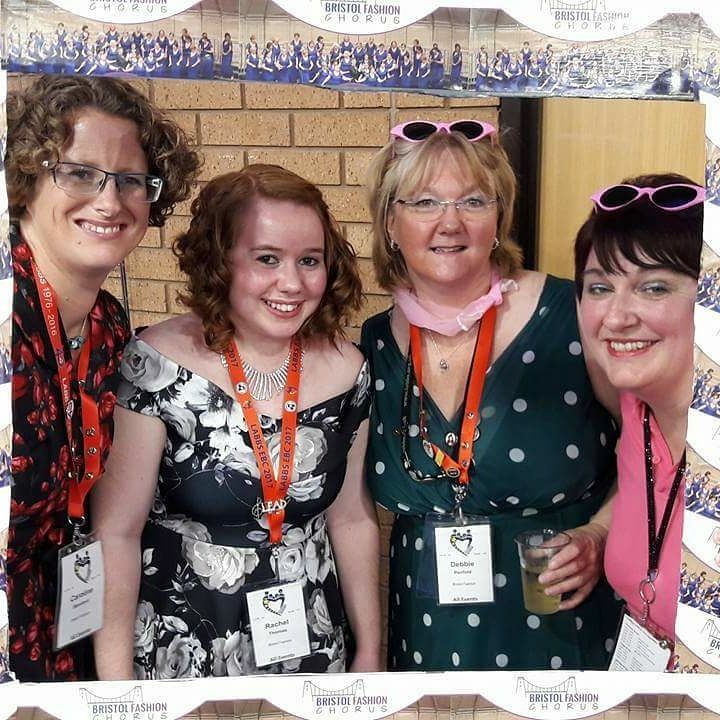 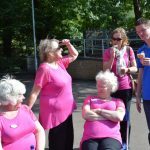 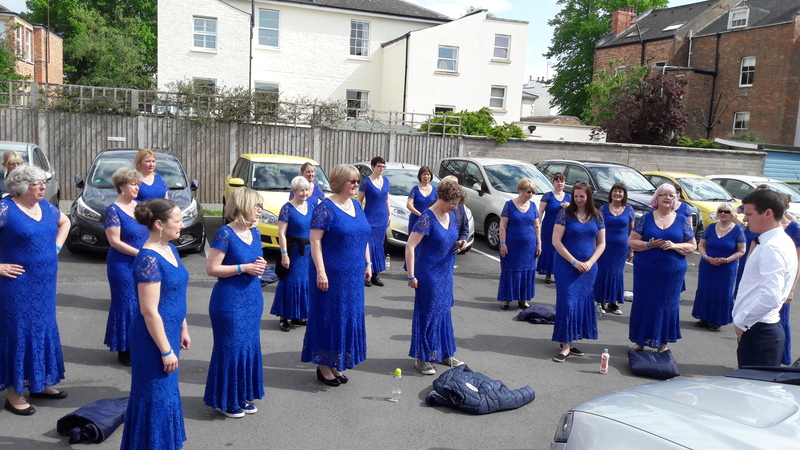 We learnt the new LABBS Polecat song ‘Anthem’ on a very hot day, but managed to have fun too. 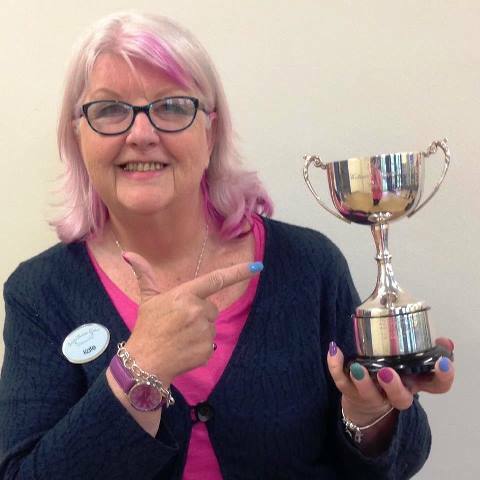 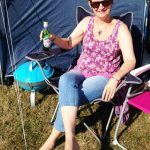 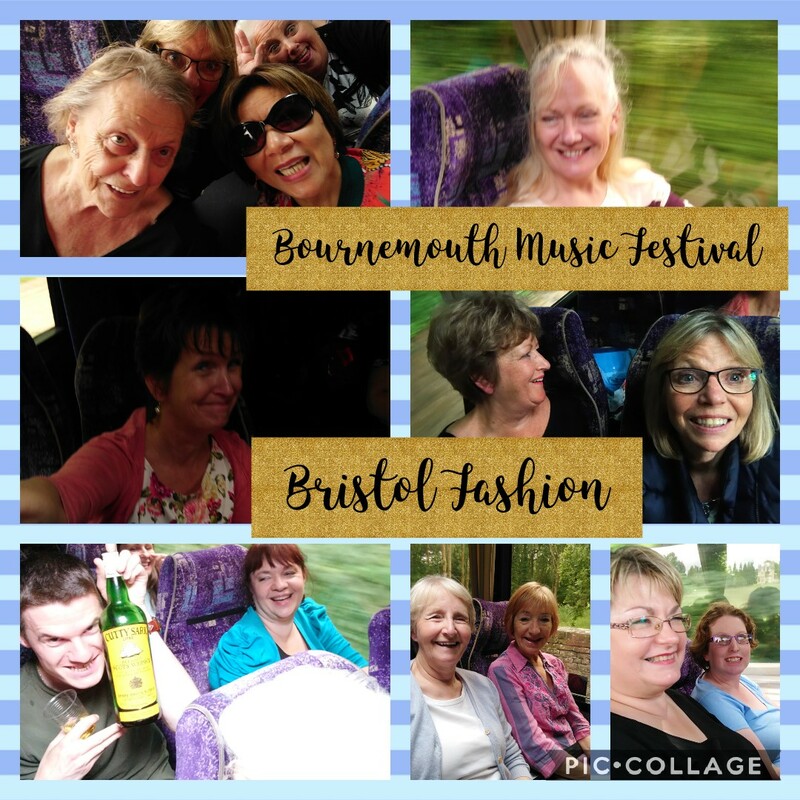 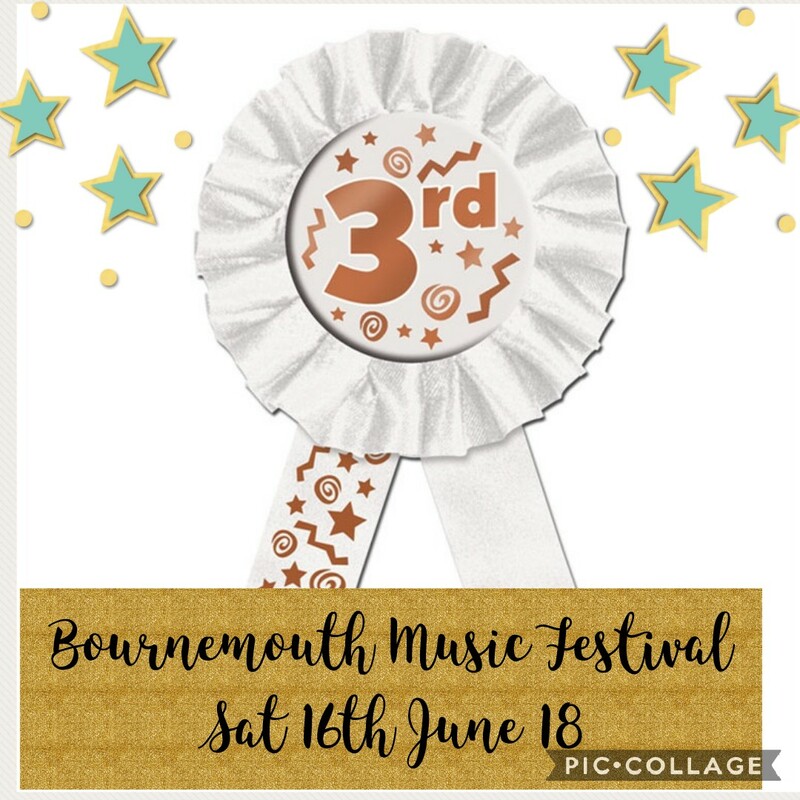 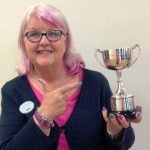 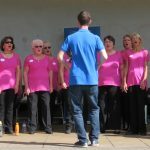 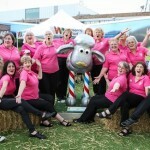 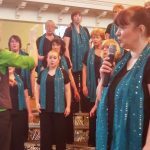 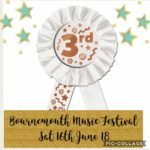 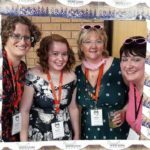 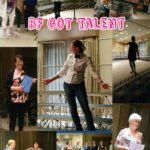 June – A great day out, competing in the Bournemouth Music Festival. 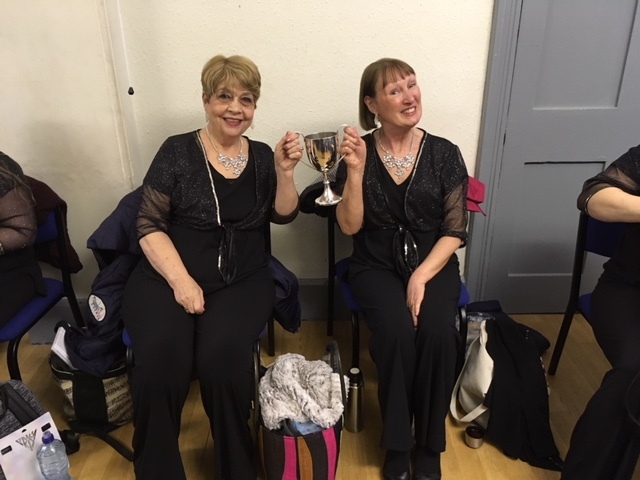 We came third in both our classes and gained distinction in both too. 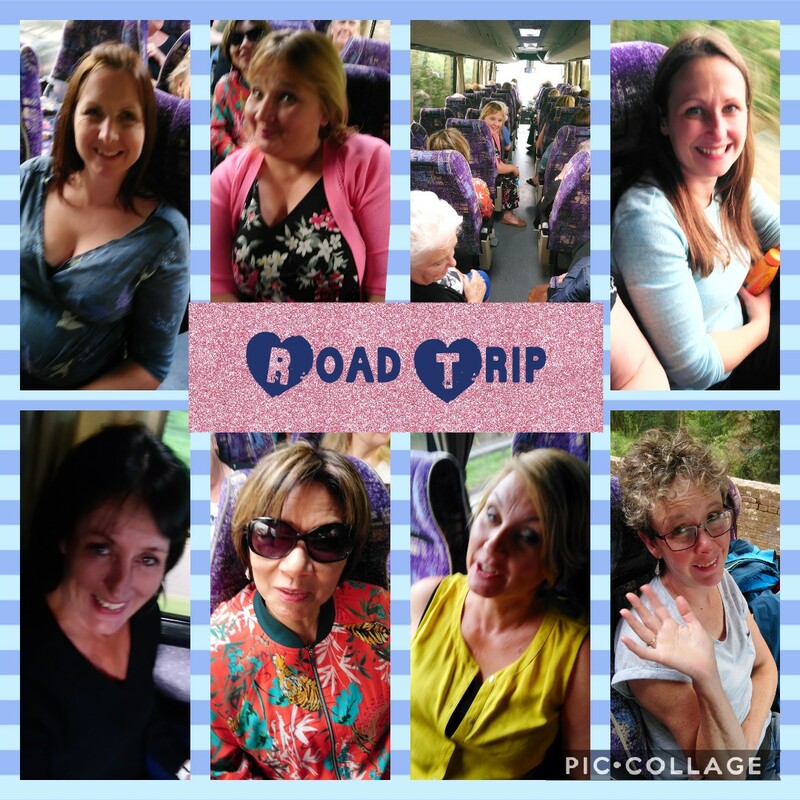 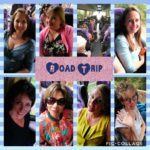 No photos were allowed in the theatre, but we had a good time on the coach! 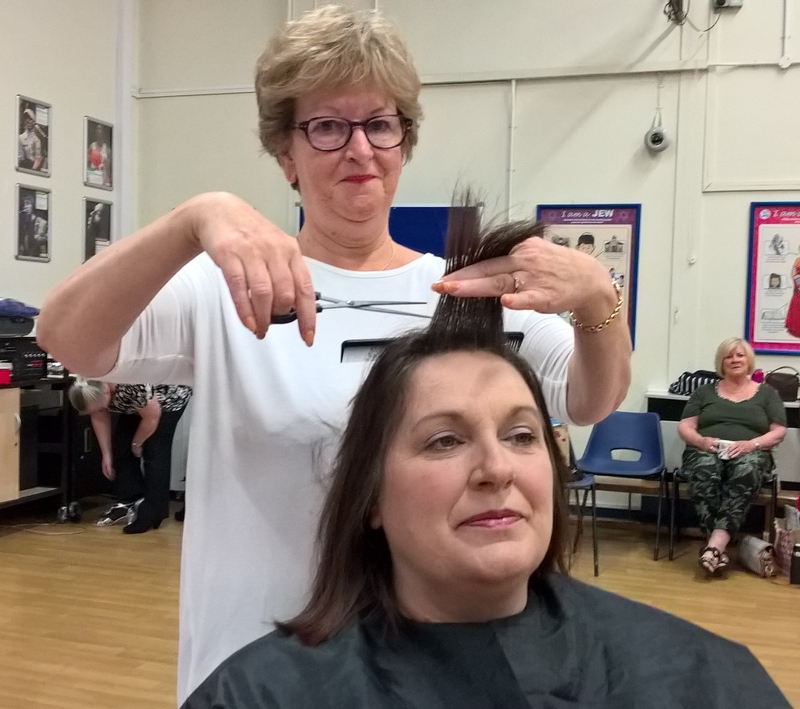 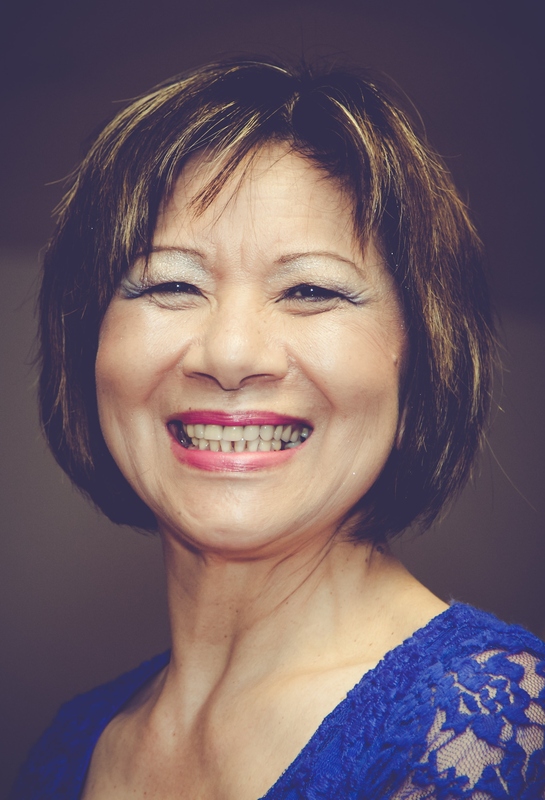 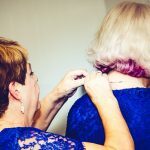 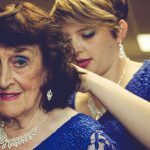 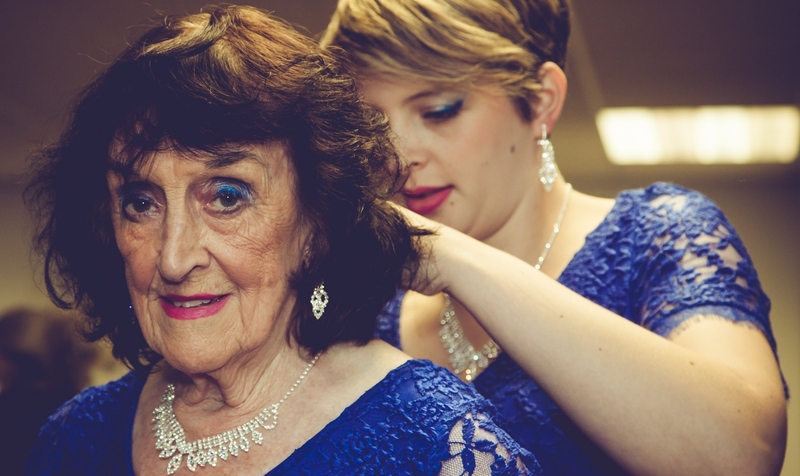 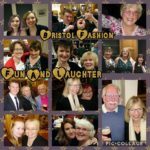 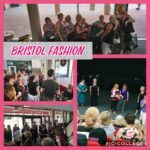 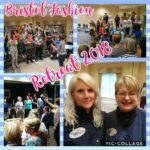 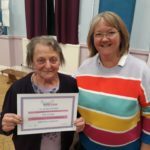 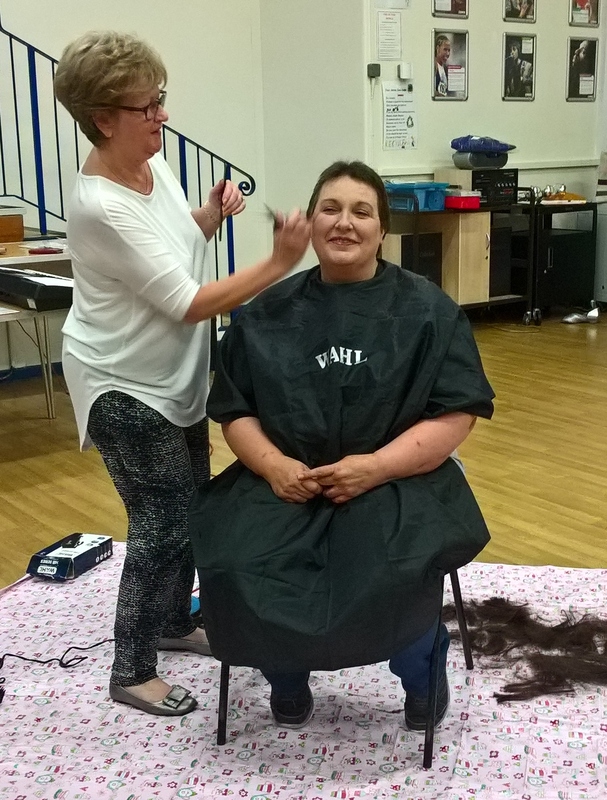 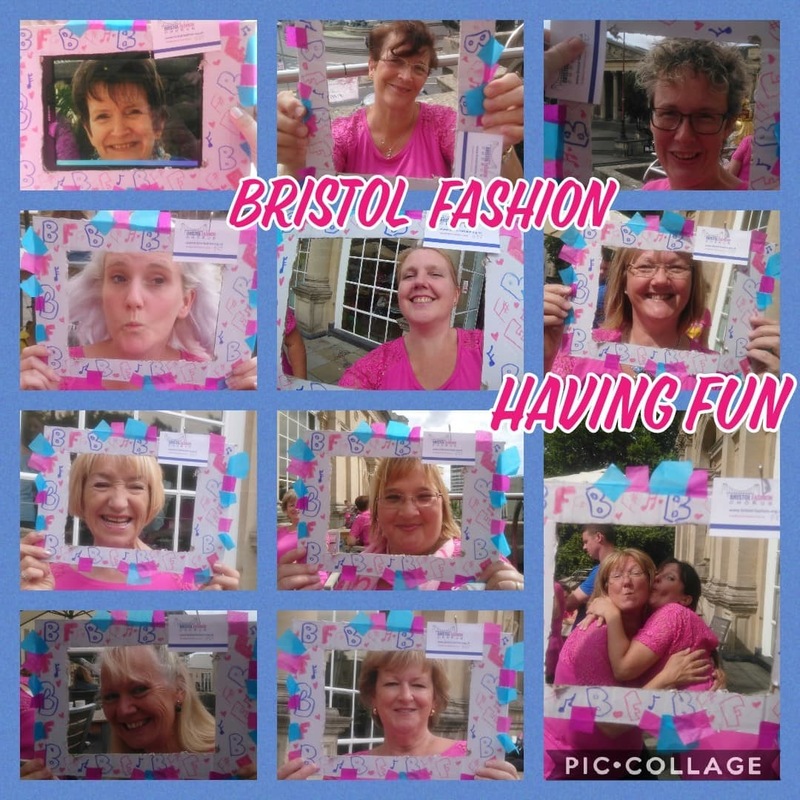 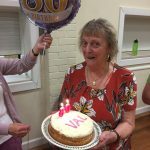 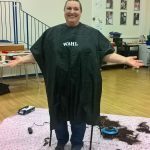 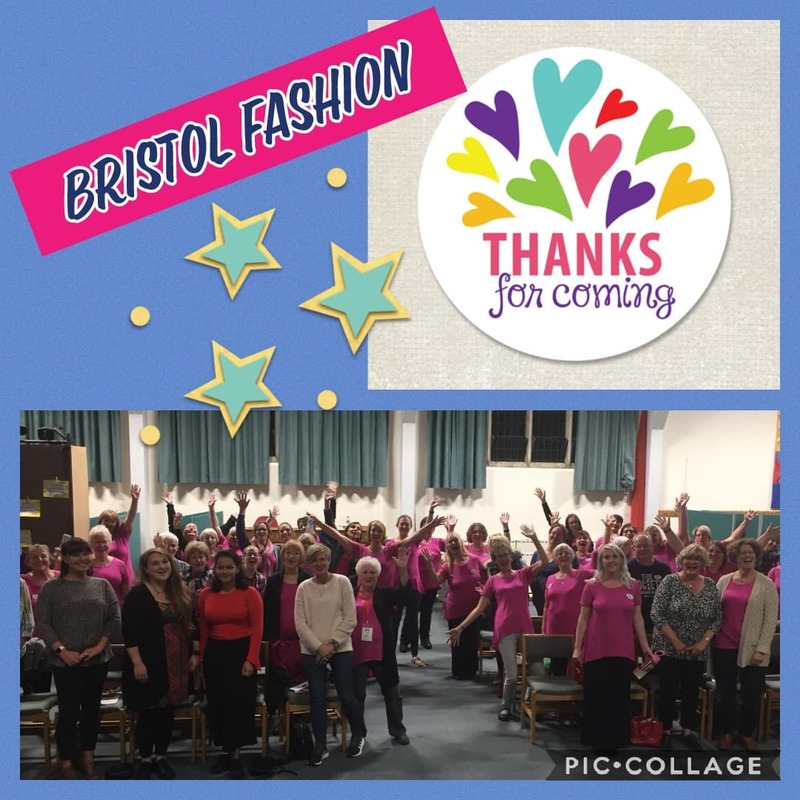 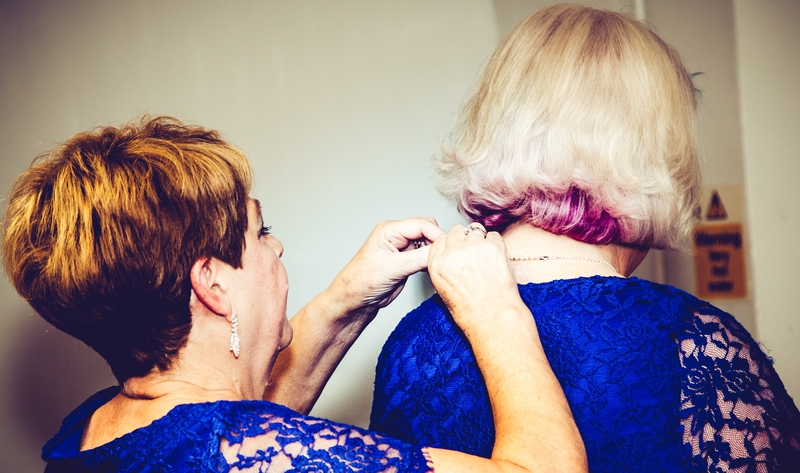 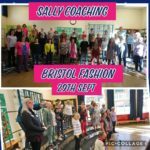 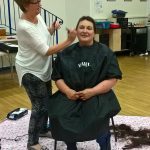 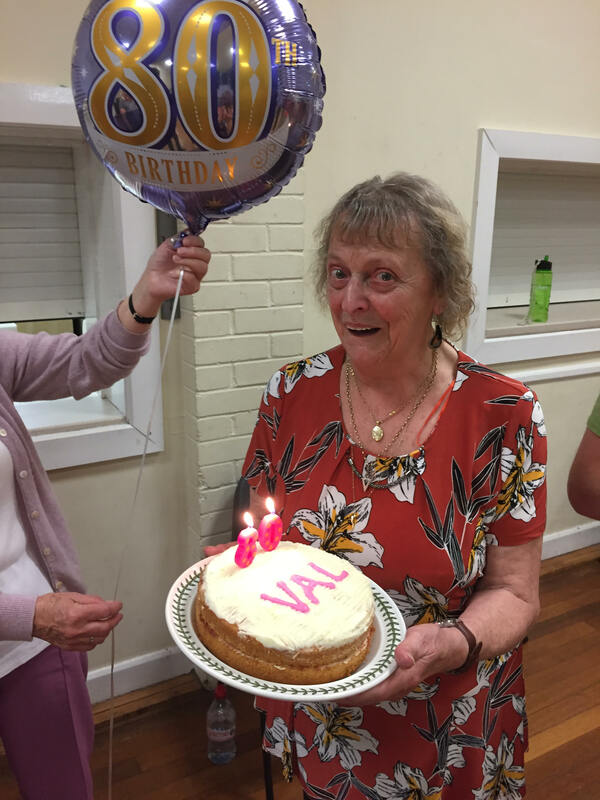 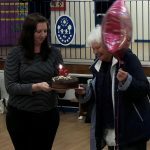 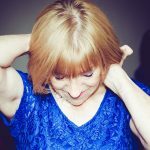 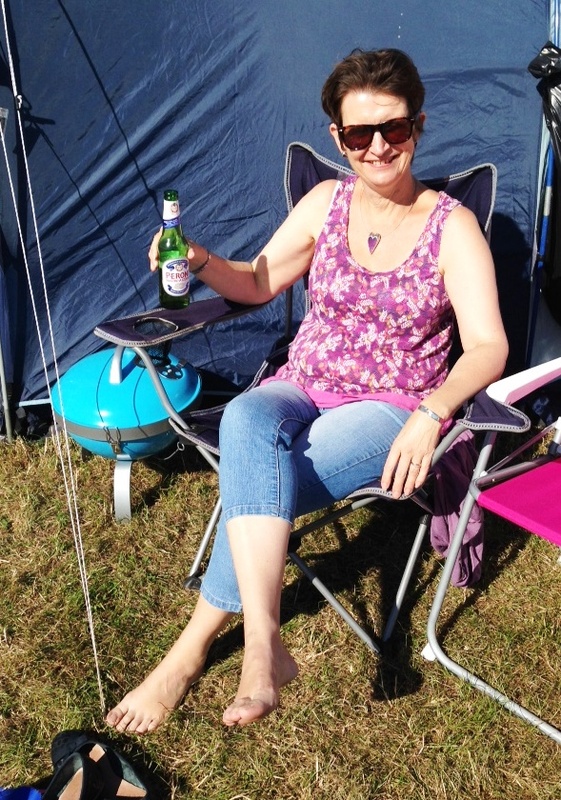 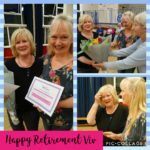 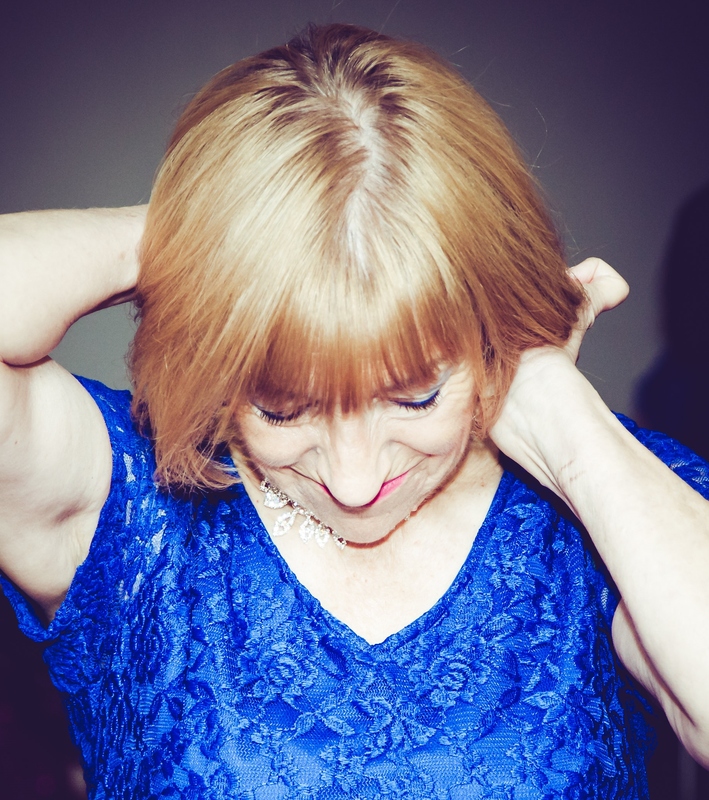 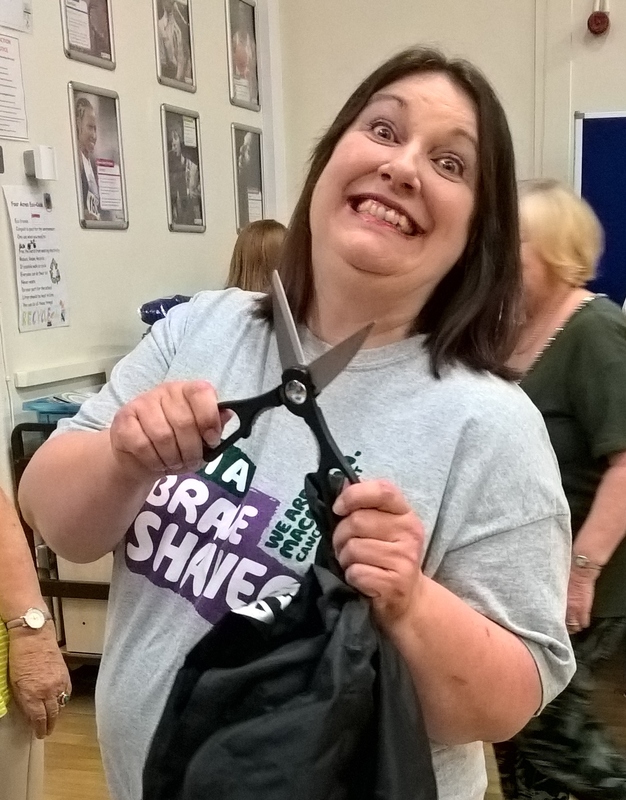 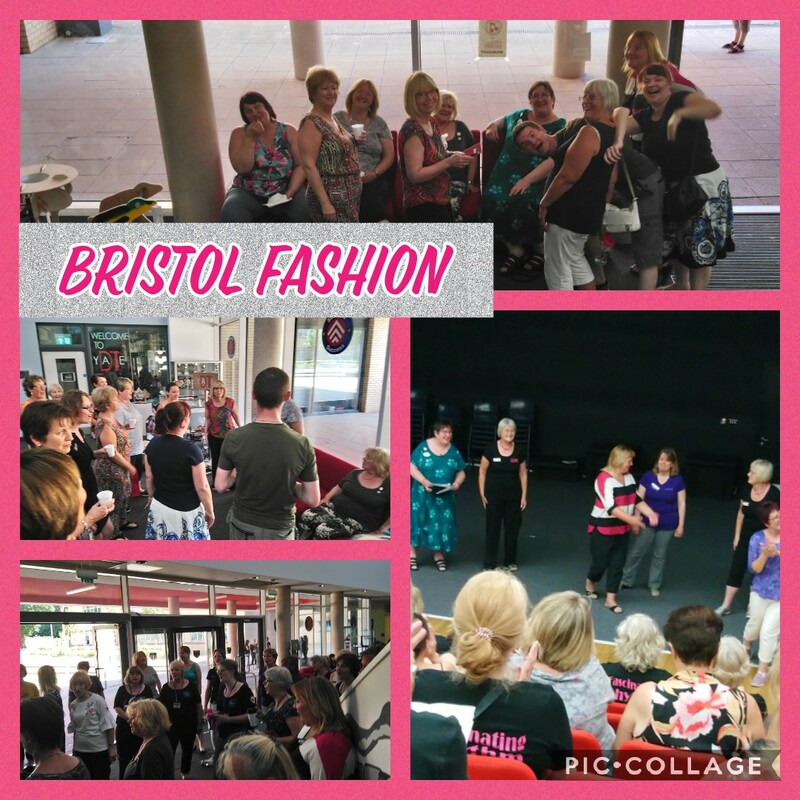 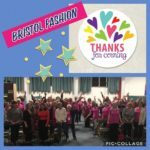 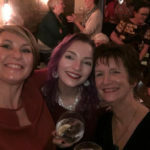 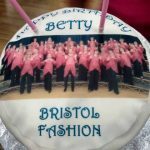 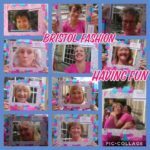 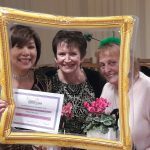 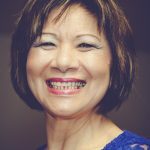 June – Viv decided to retire from Bristol Fashion after 40 years – what commitment! 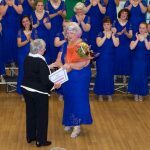 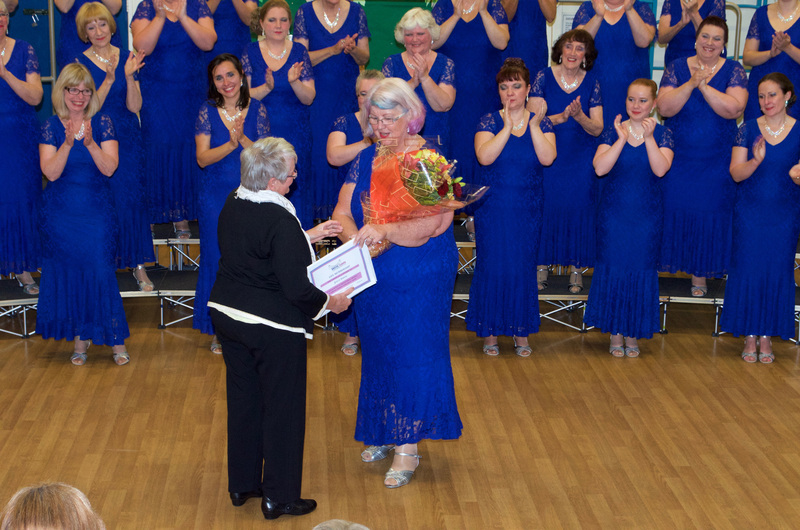 She was deservedly presented with Life Membership in recognition of her outstanding contribution to the Chorus. 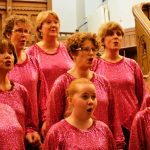 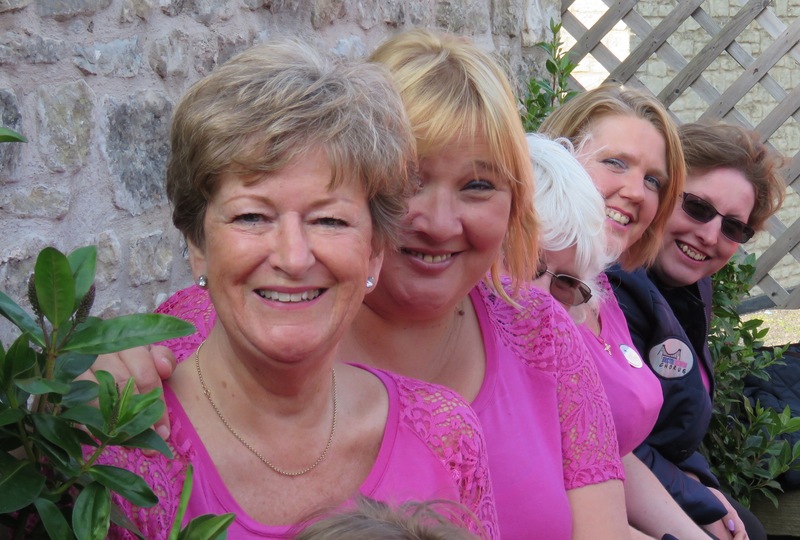 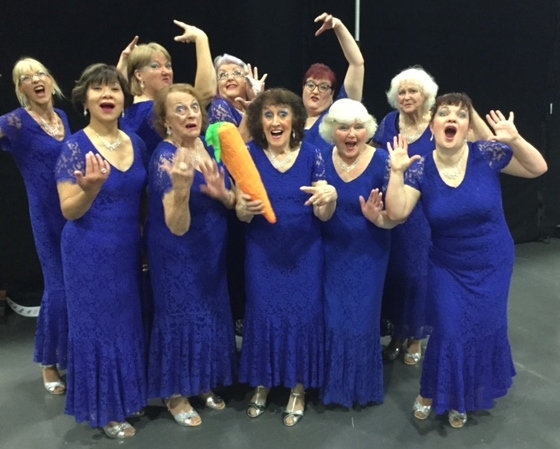 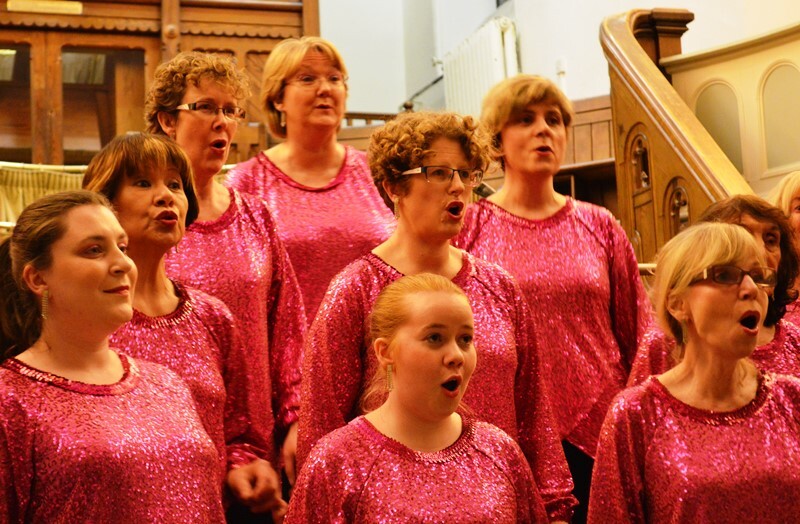 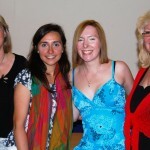 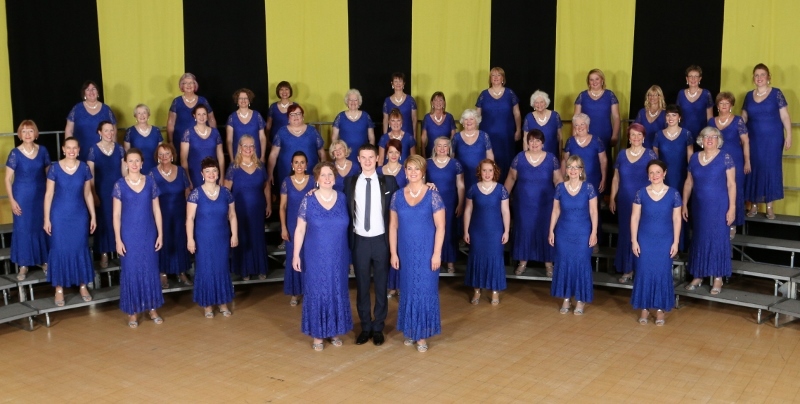 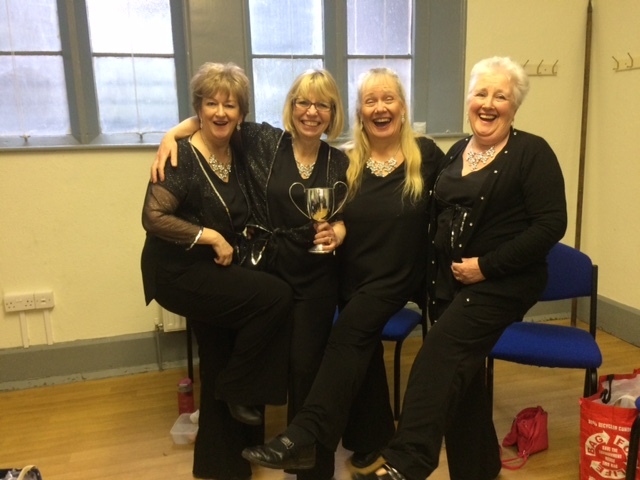 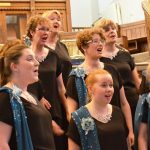 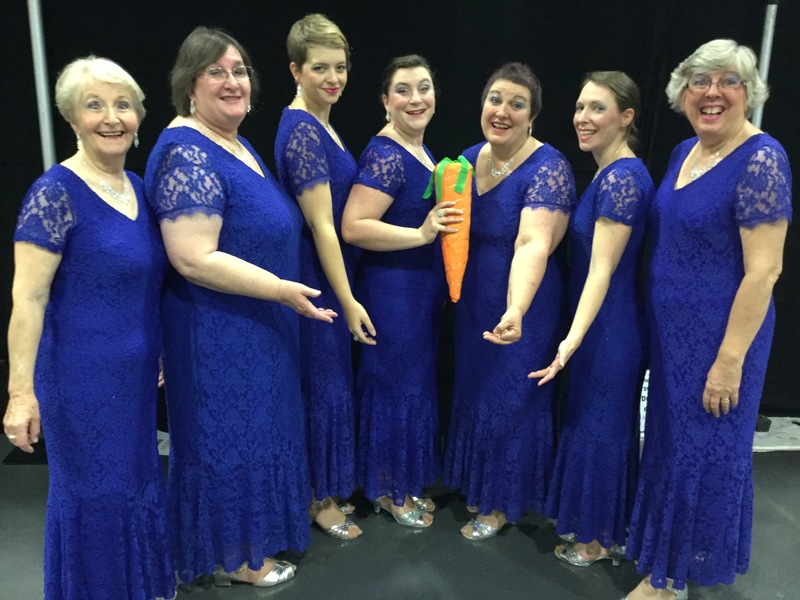 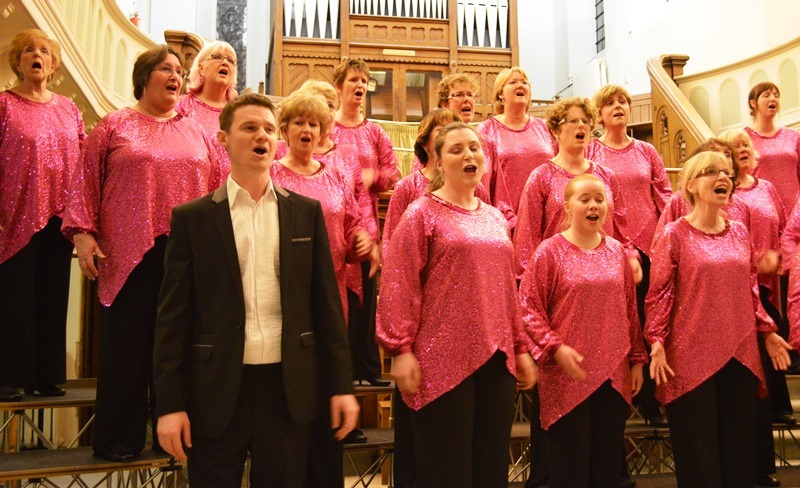 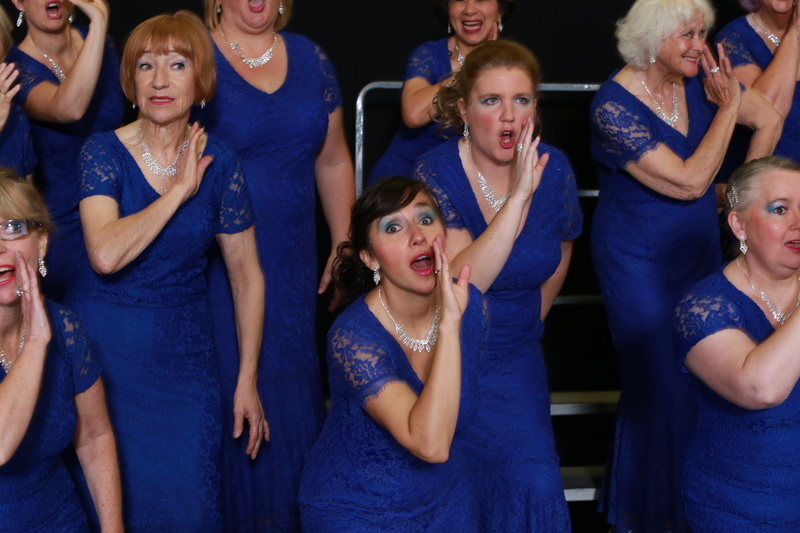 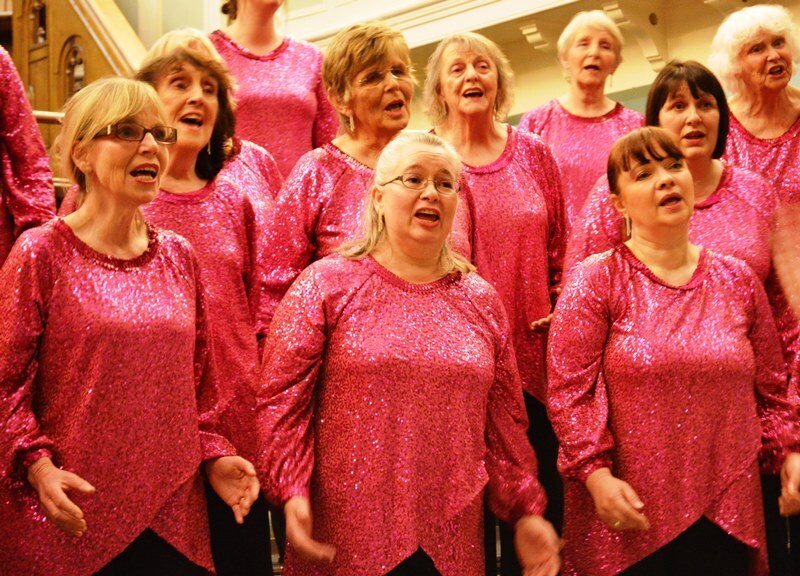 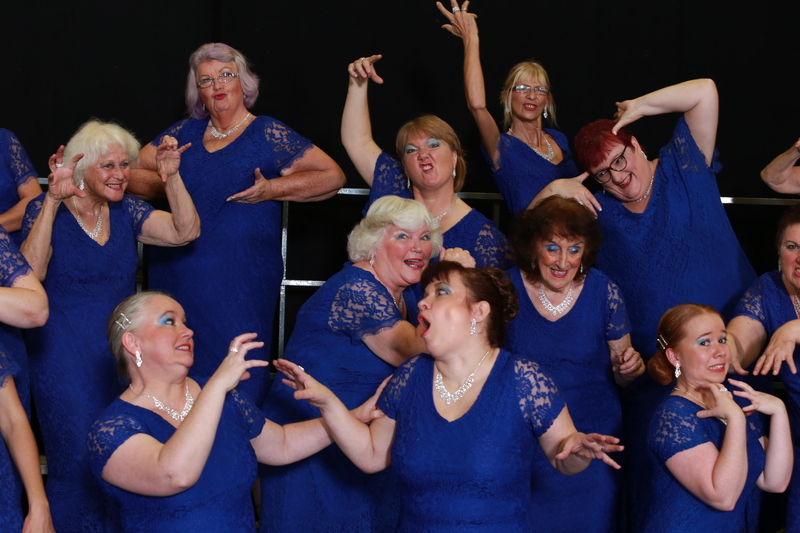 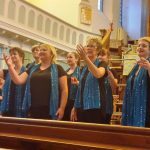 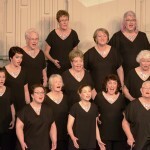 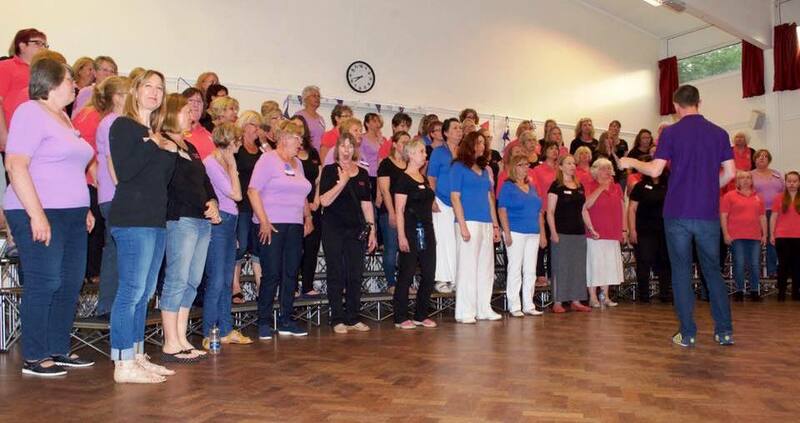 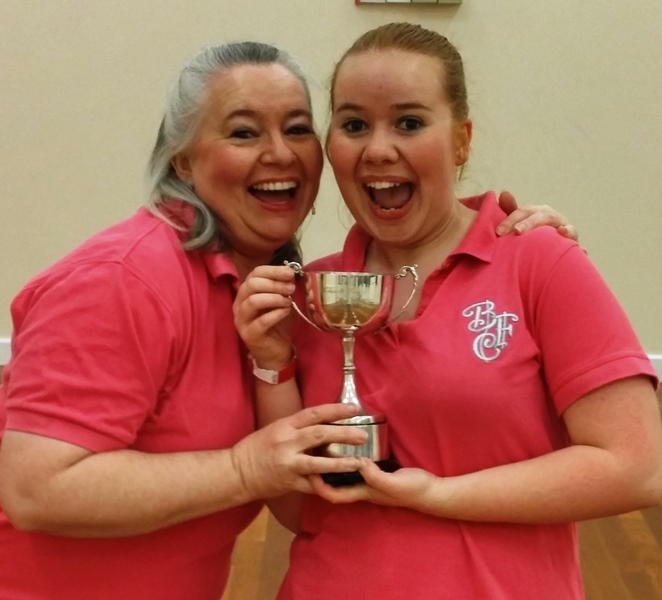 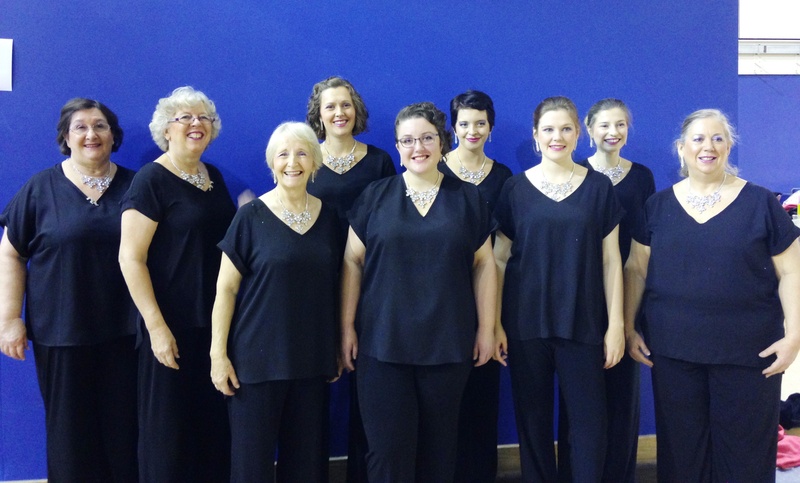 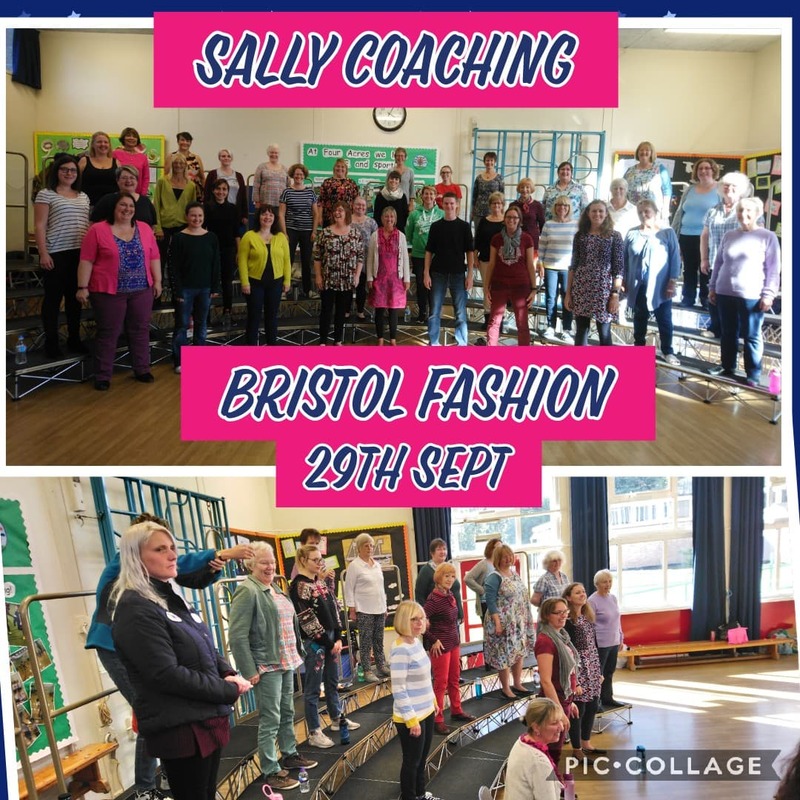 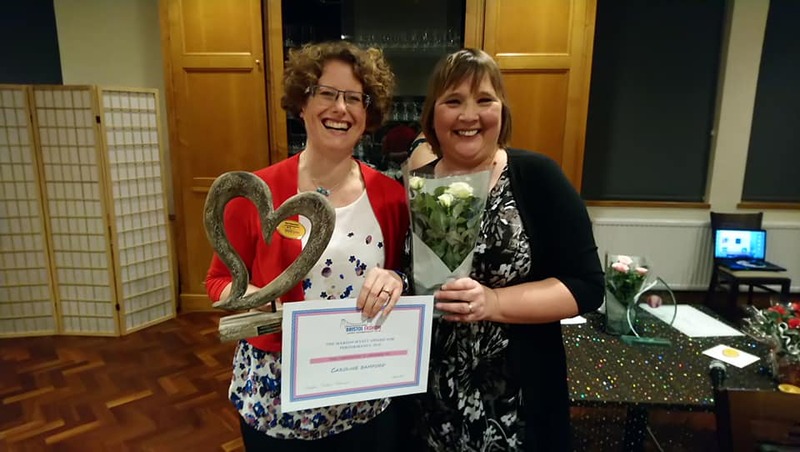 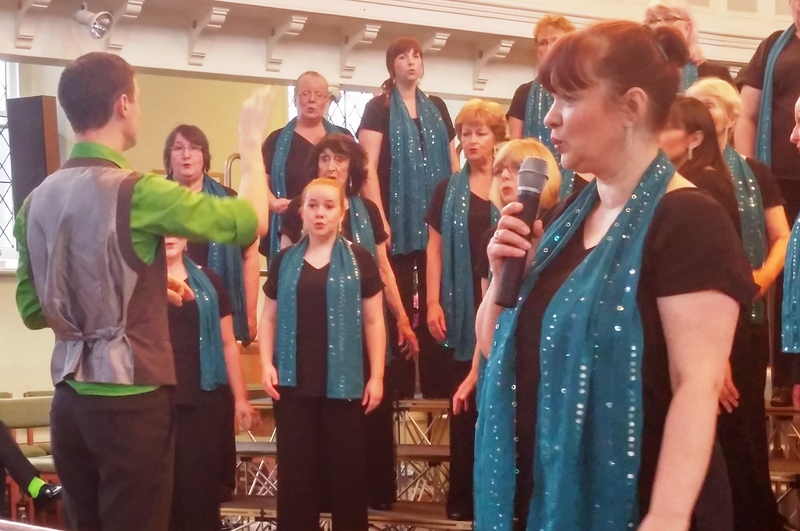 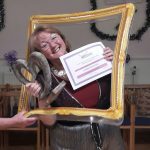 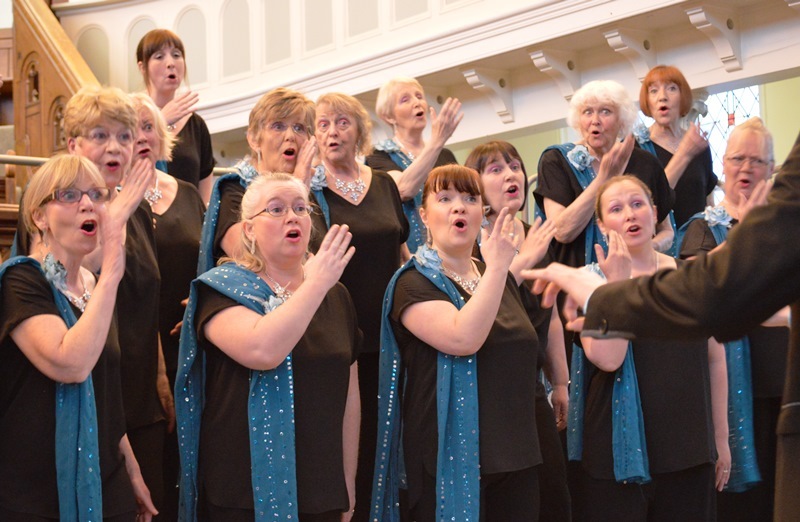 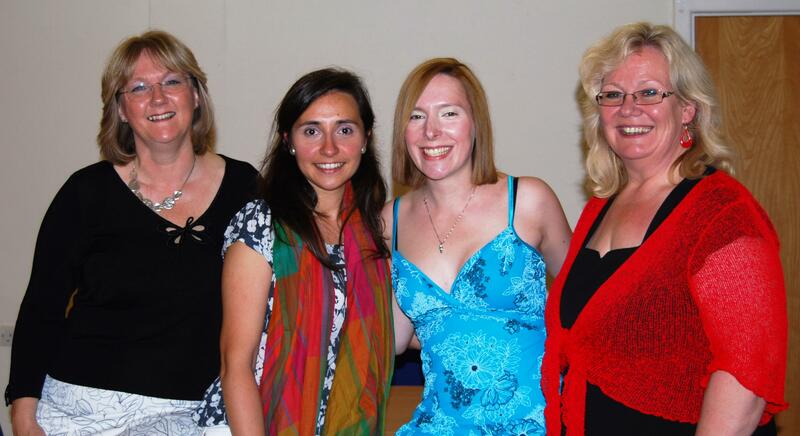 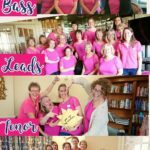 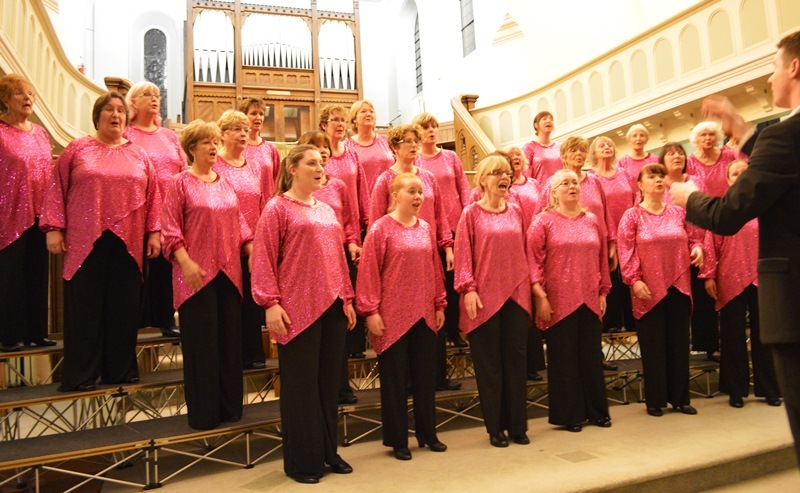 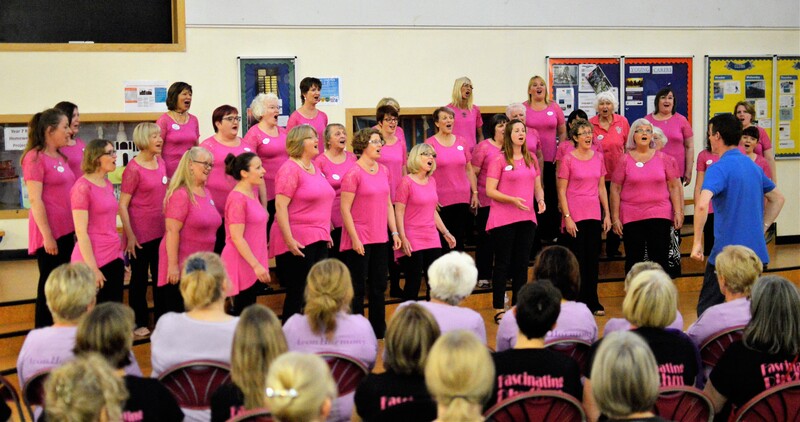 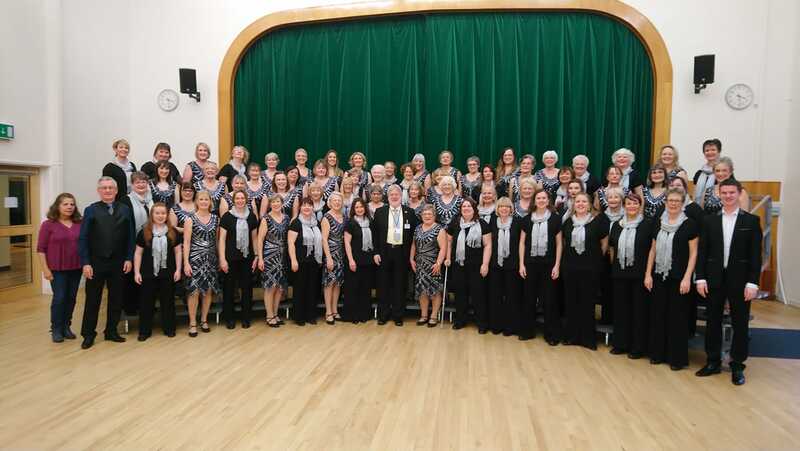 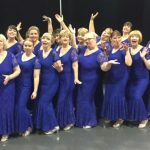 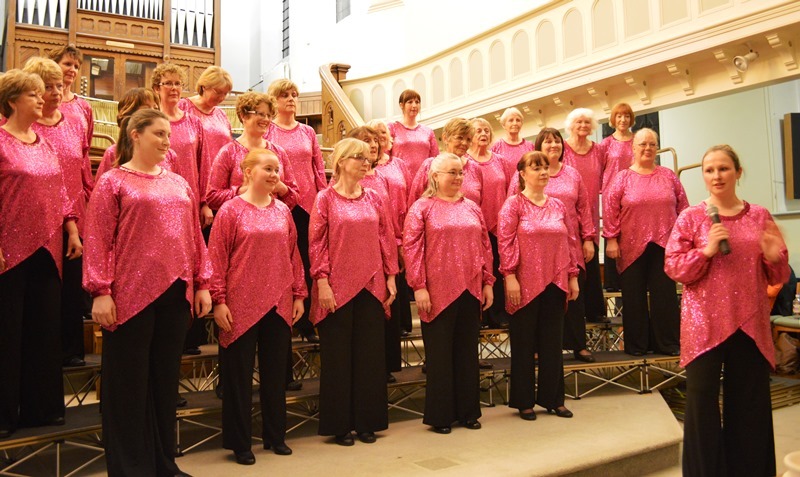 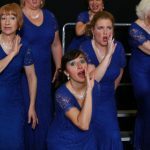 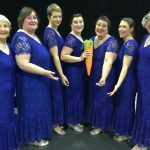 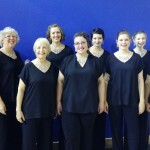 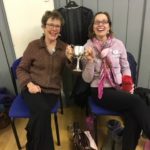 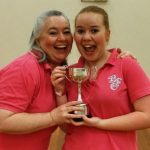 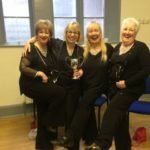 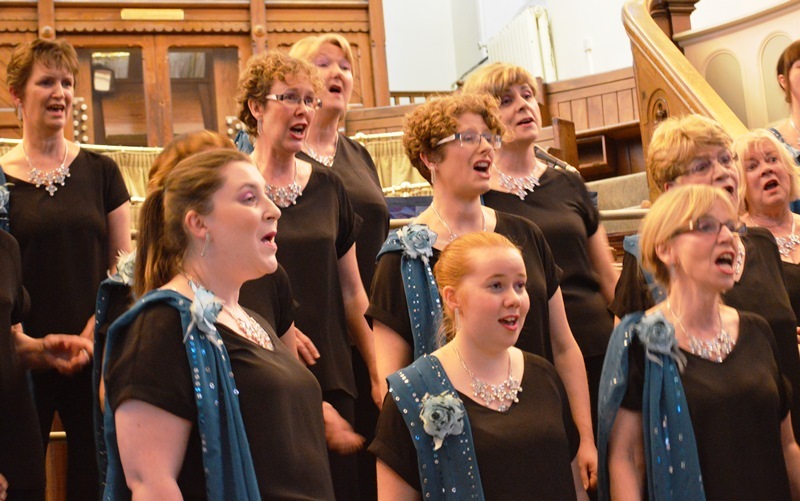 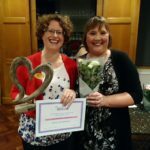 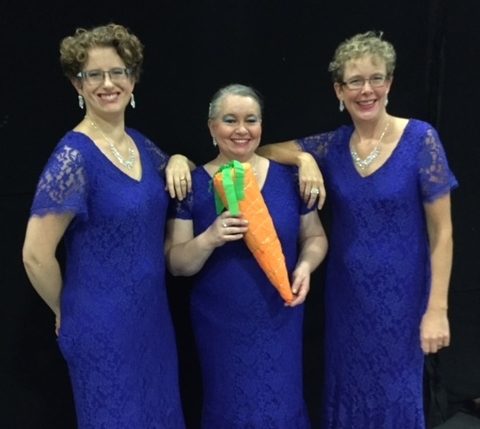 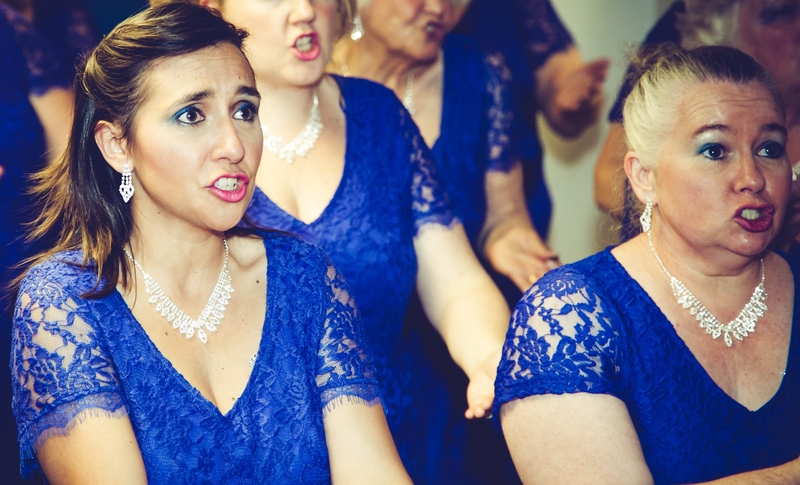 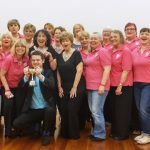 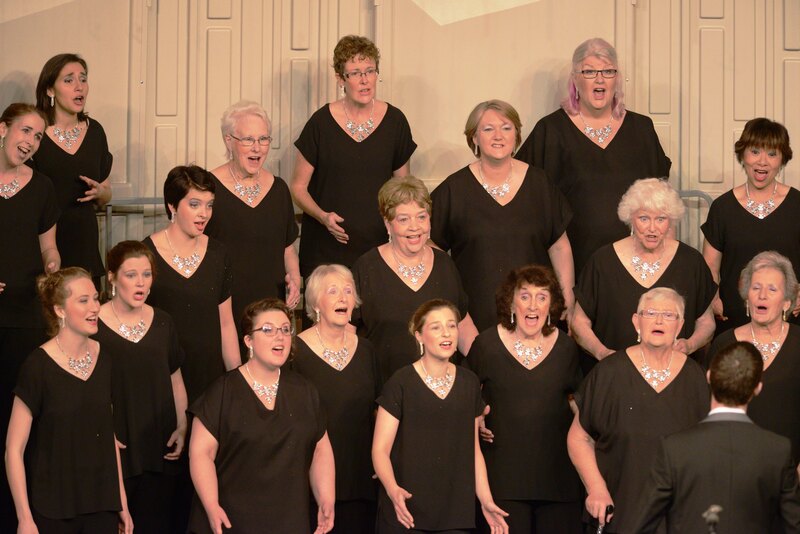 March – We entered the Mid-Somerset Festival in Bath and WON the female voice class!! 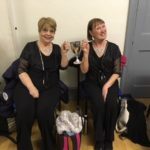 Another lovely silver trophy to add to our collection. 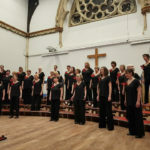 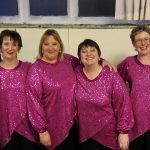 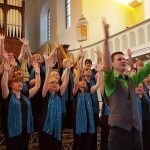 February – first gig of the year – Concert at Staple Hill, Methodist Church. 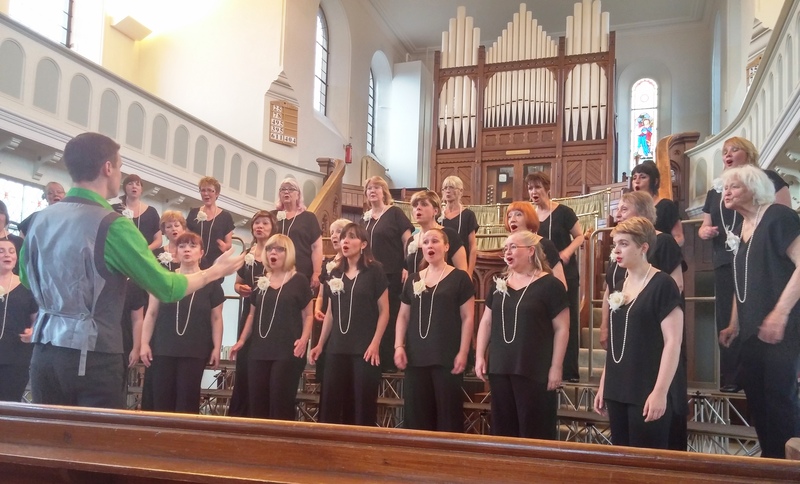 We were delighted to be invited back to this beautiful church to sing to an appreciative audience. Great atmosphere, great sound and lots of laughs! 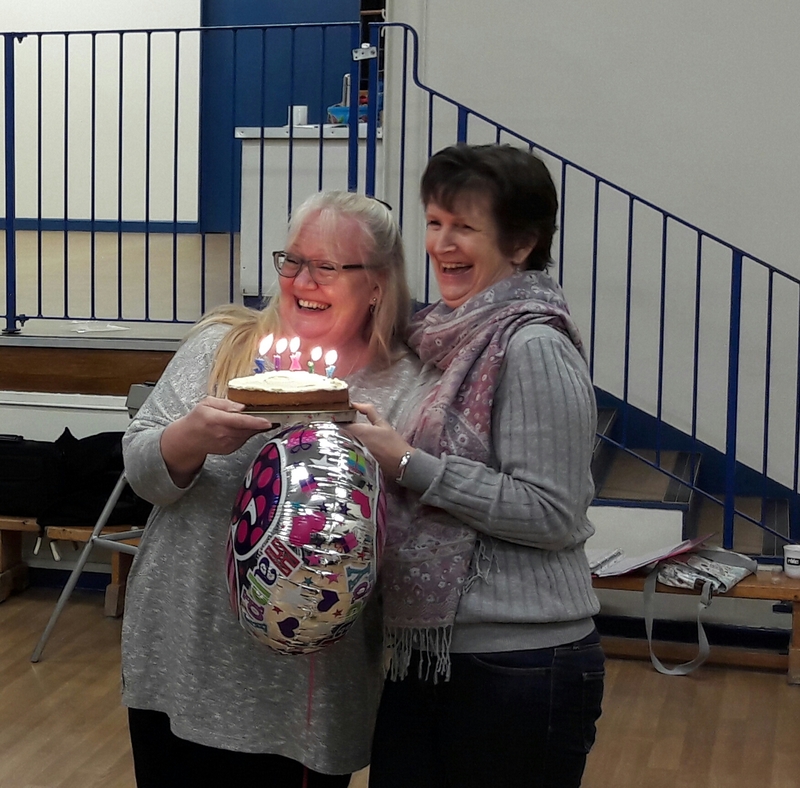 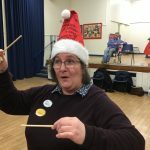 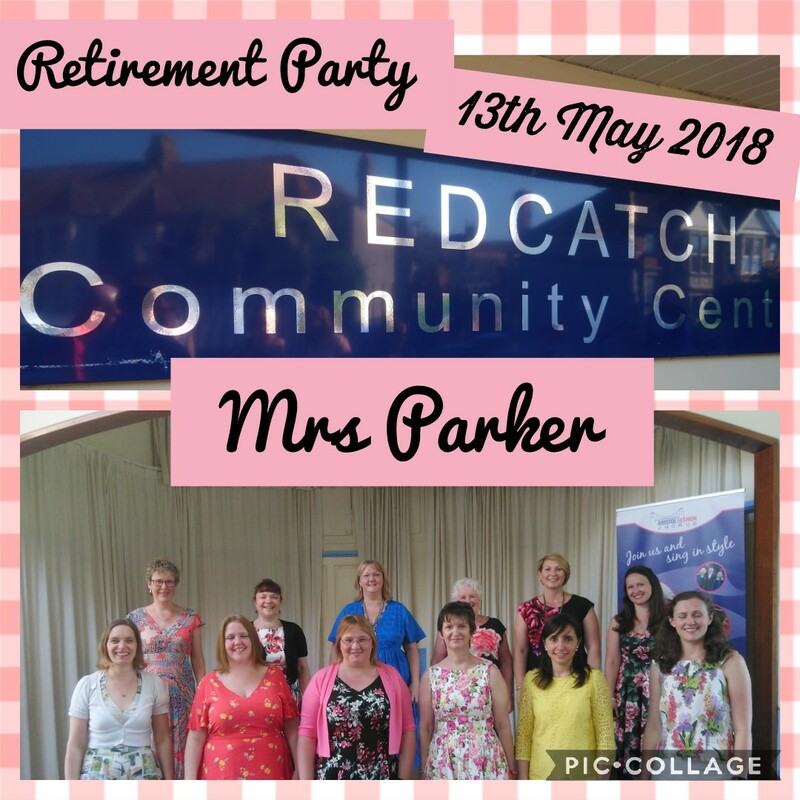 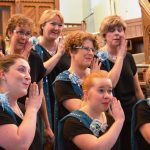 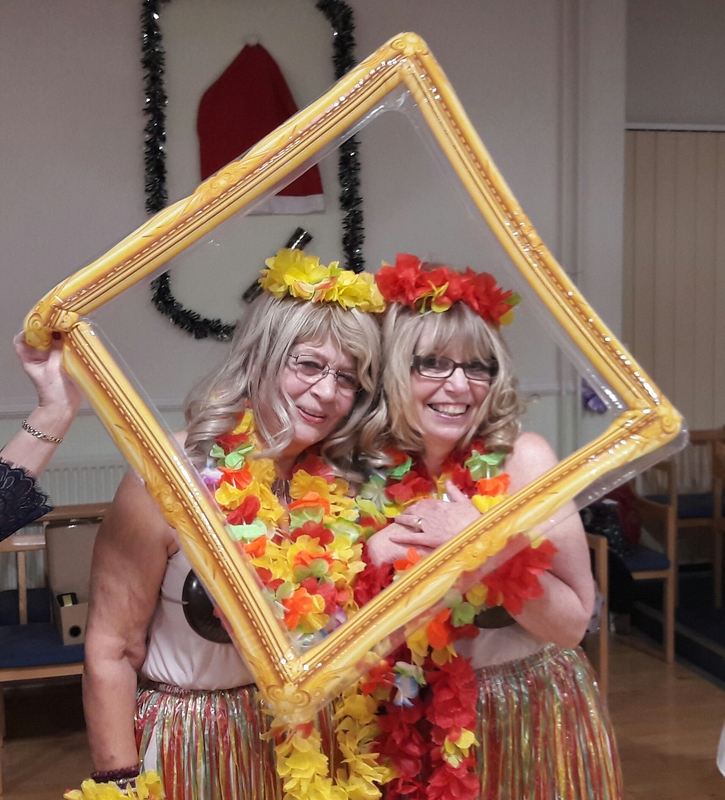 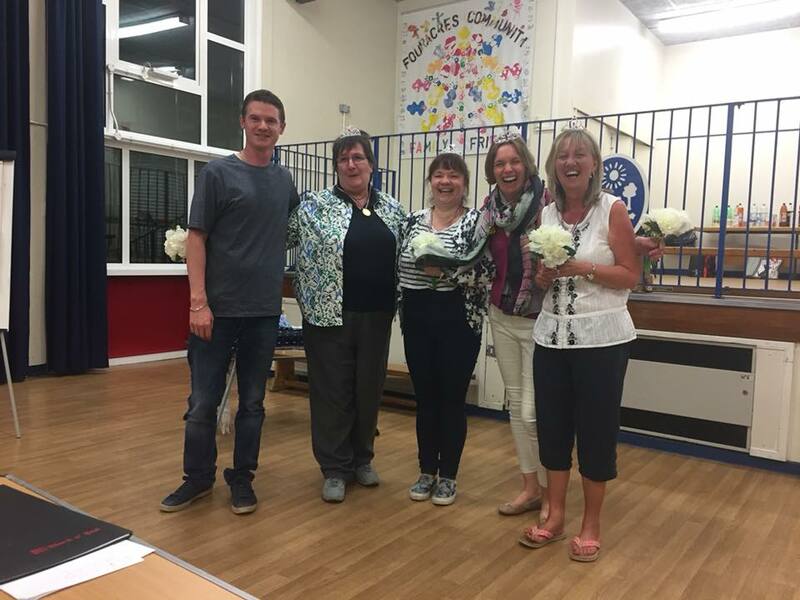 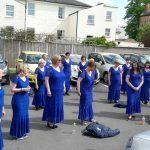 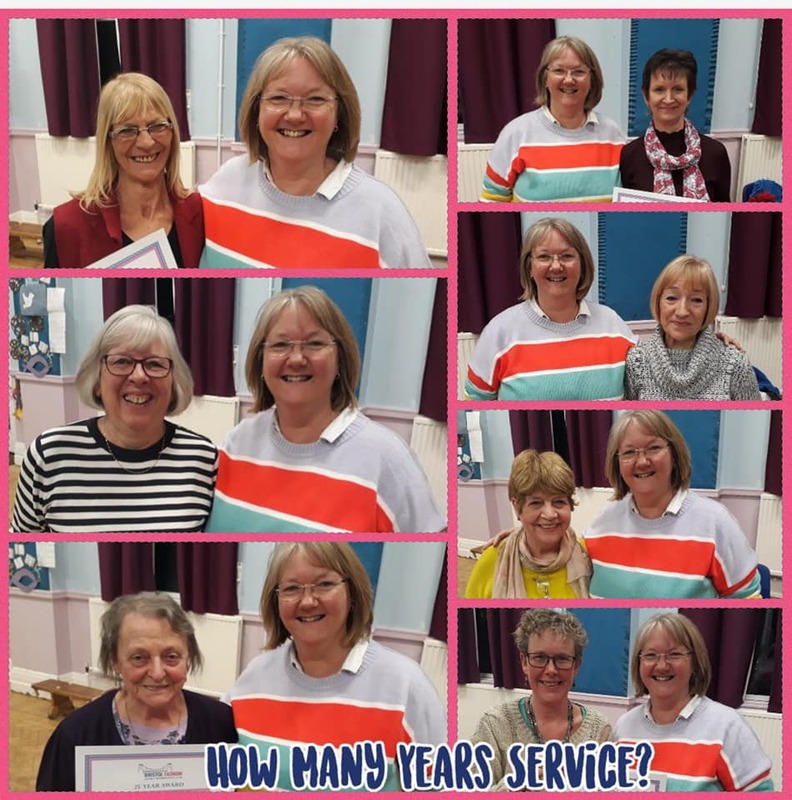 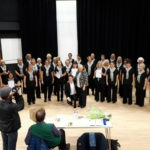 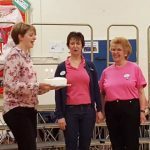 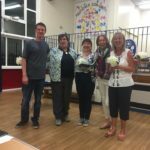 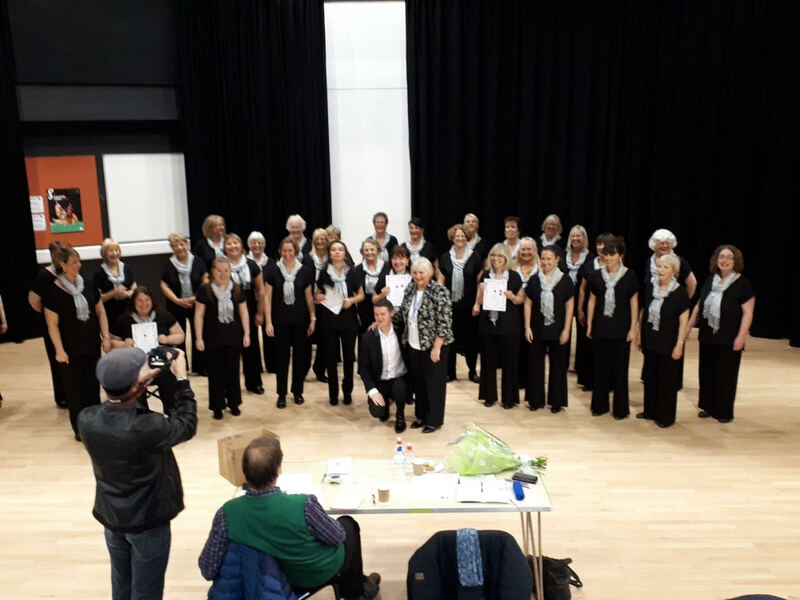 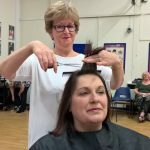 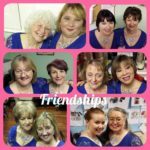 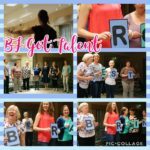 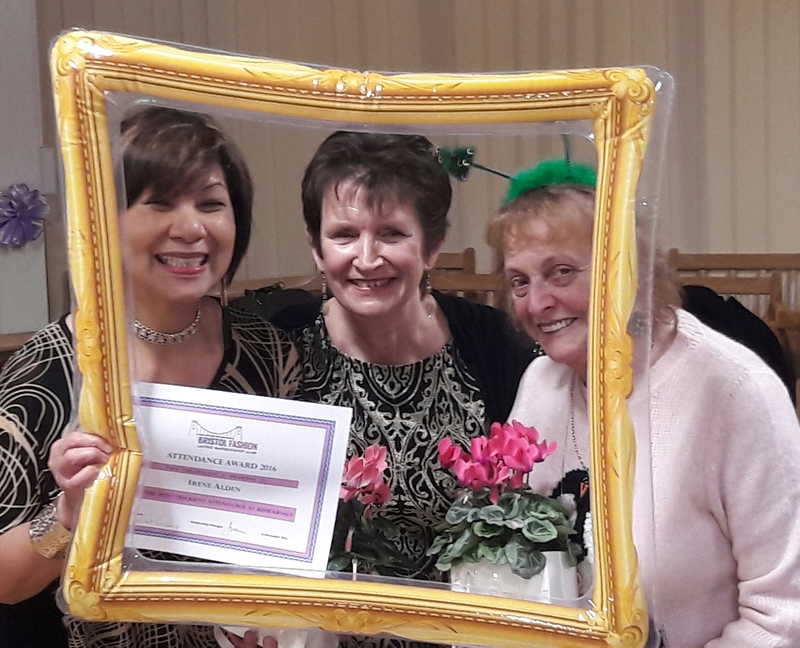 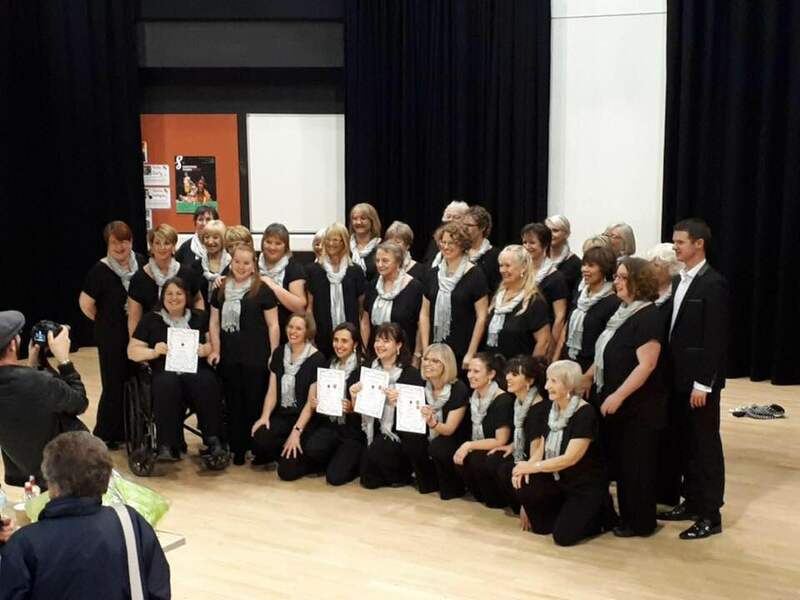 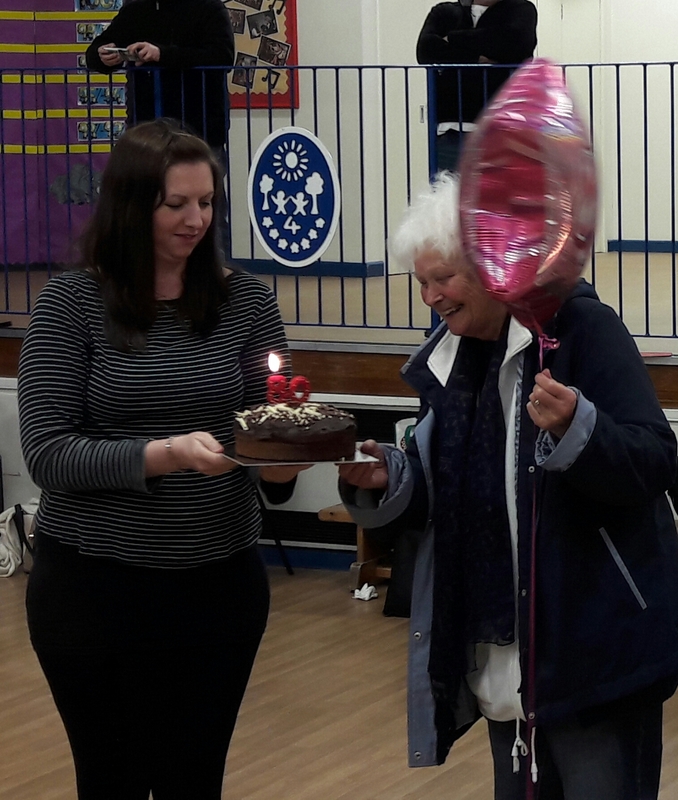 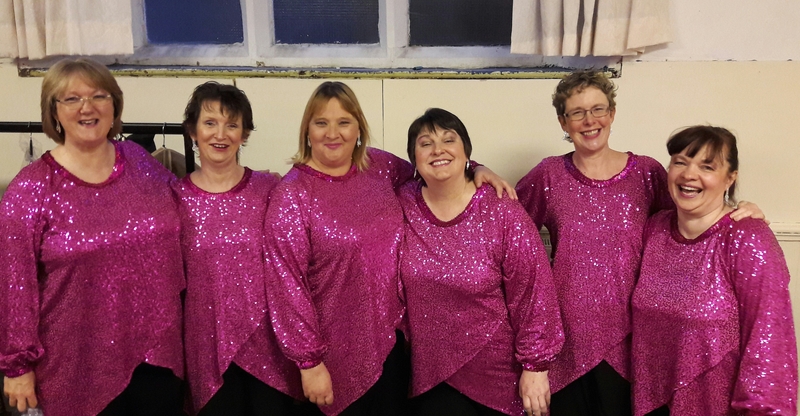 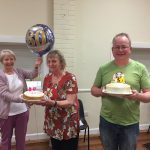 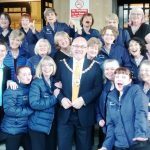 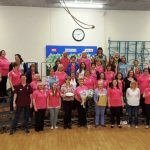 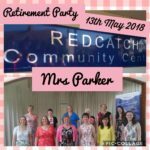 We showcased two new songs and made a presentation to our lovely Mo who is taking early retirement after singing bass with the Chorus for 39 years. 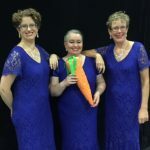 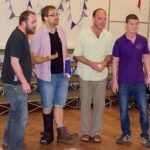 We also welcomed three new members singing in their first gig. 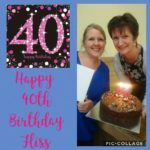 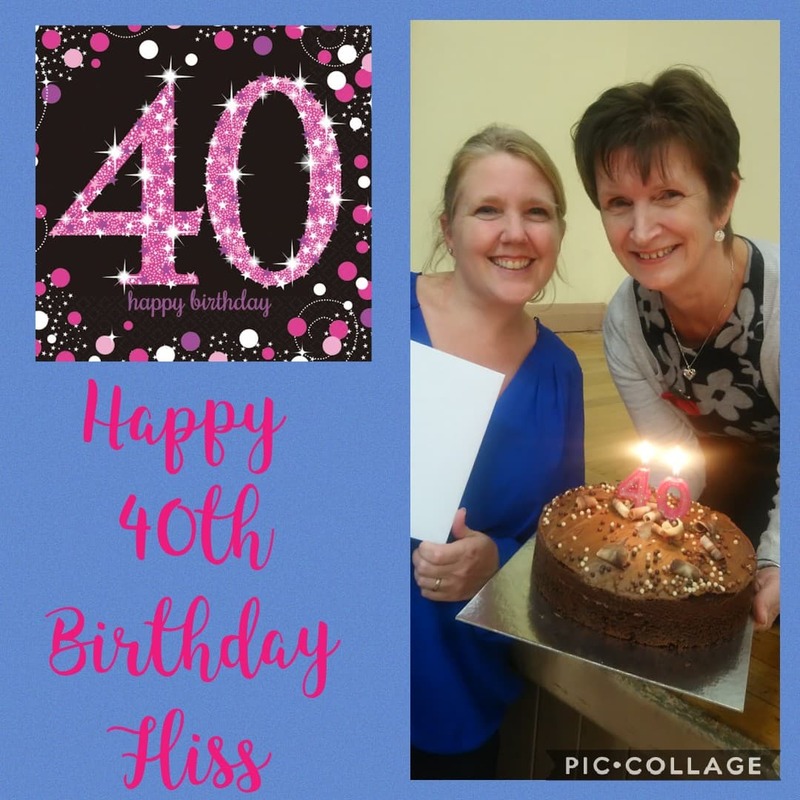 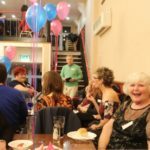 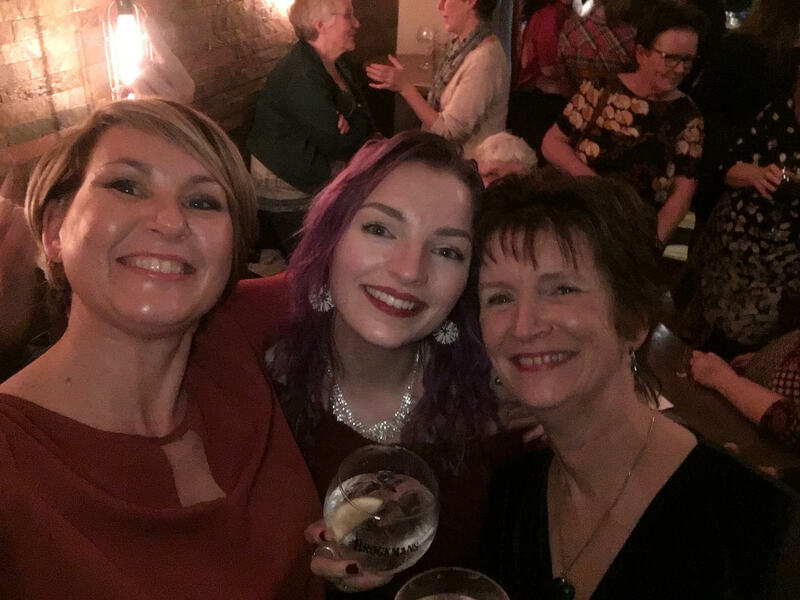 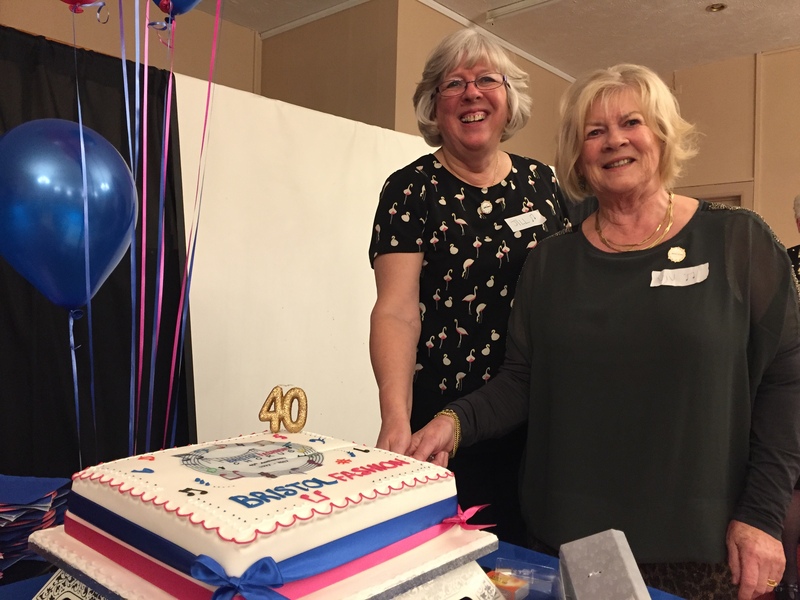 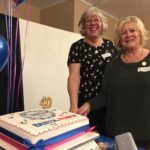 November – Our 40th Birthday Party Wow! 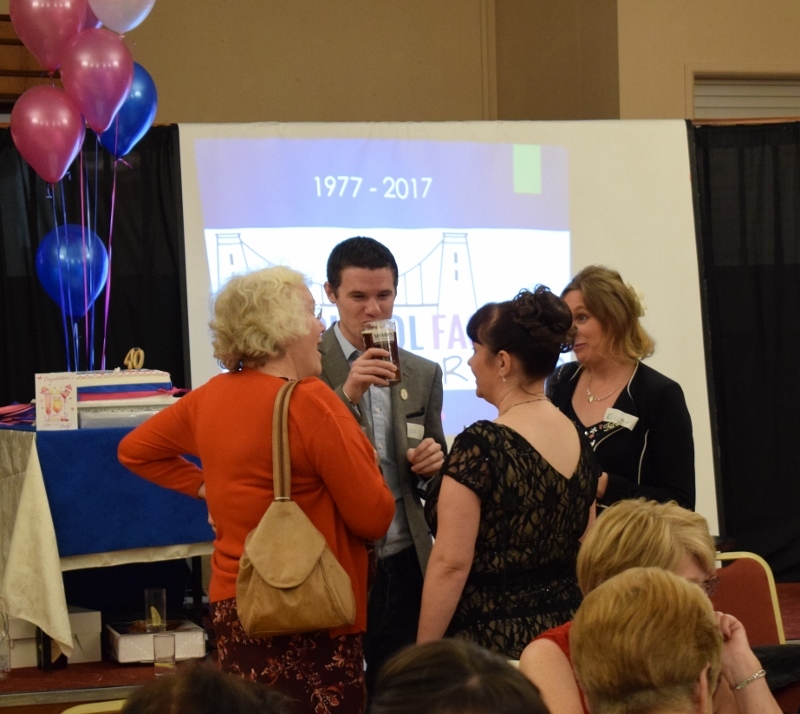 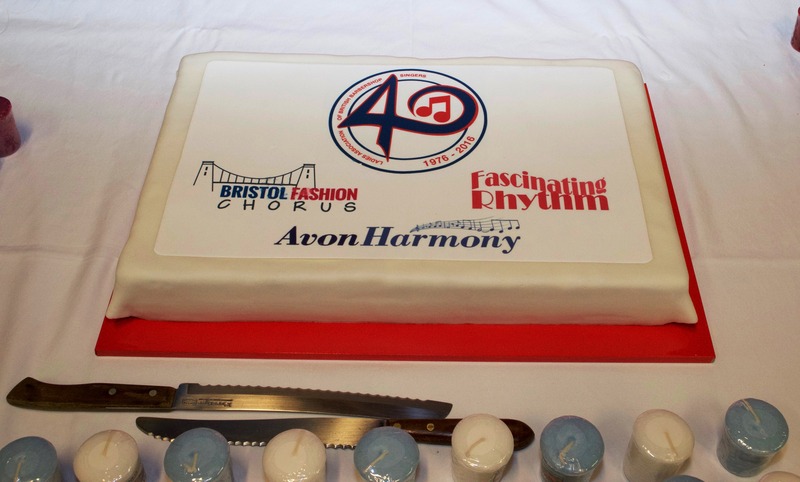 What a wonderful evening – we invited many former members to join us in celebrating 40 years of Bristol Fashion. 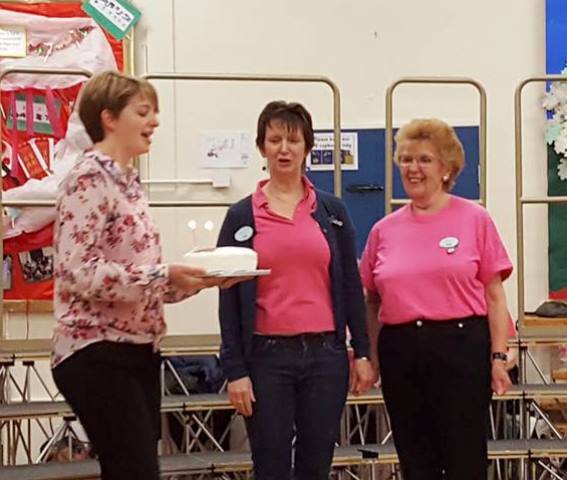 There was cake, there was laughter, there were so many shared memories and of course there was singing too. 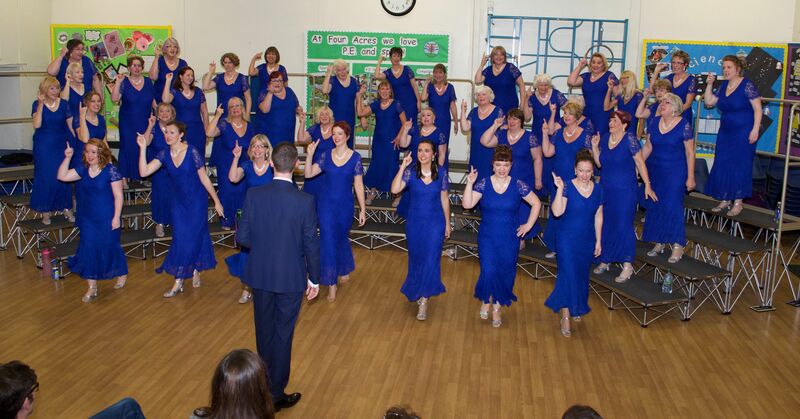 We all had an amazing weekend and were thrilled to be placed 10th with the highest score we have ever achieved. 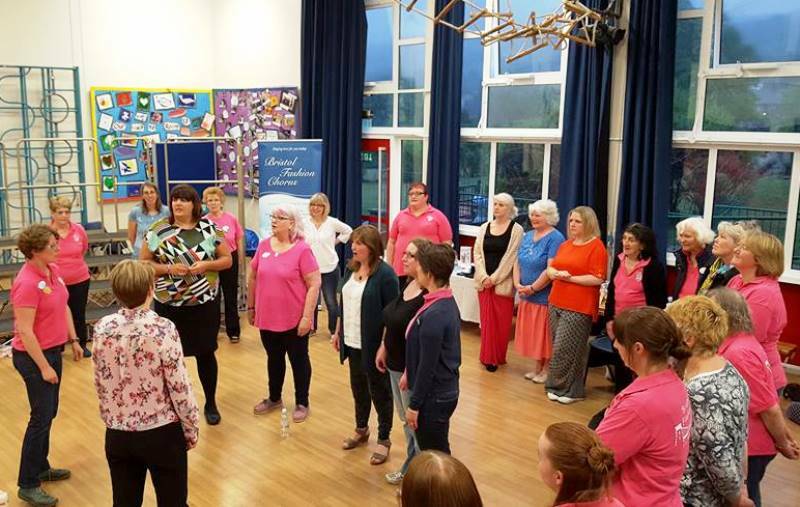 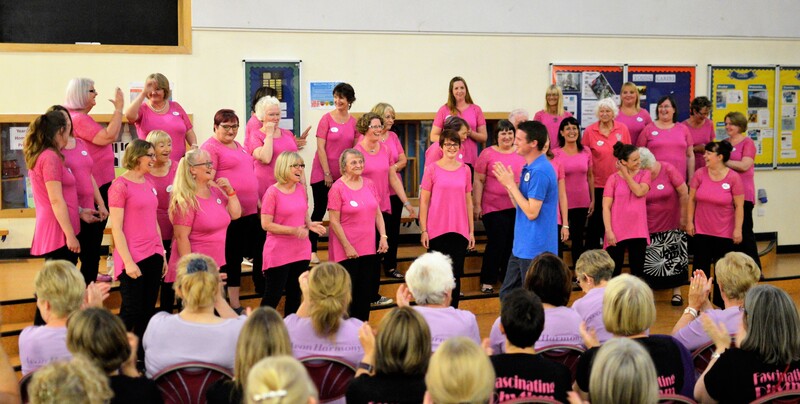 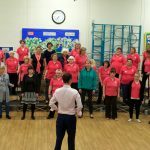 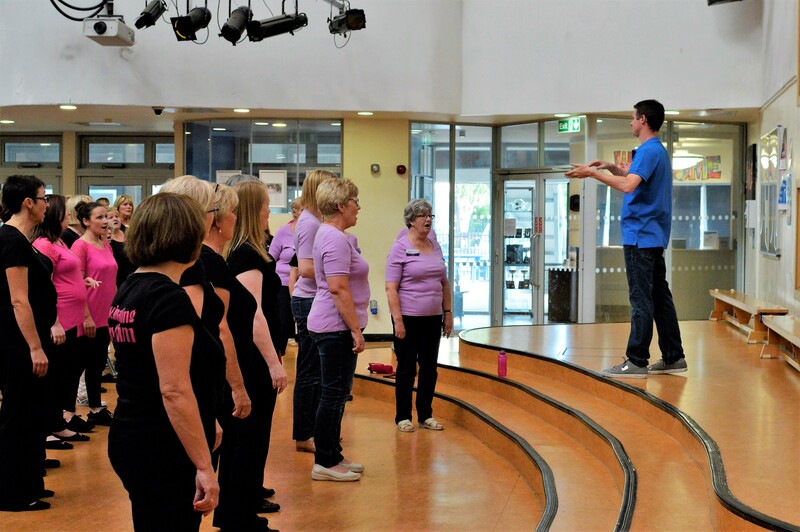 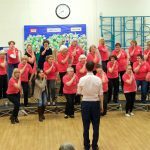 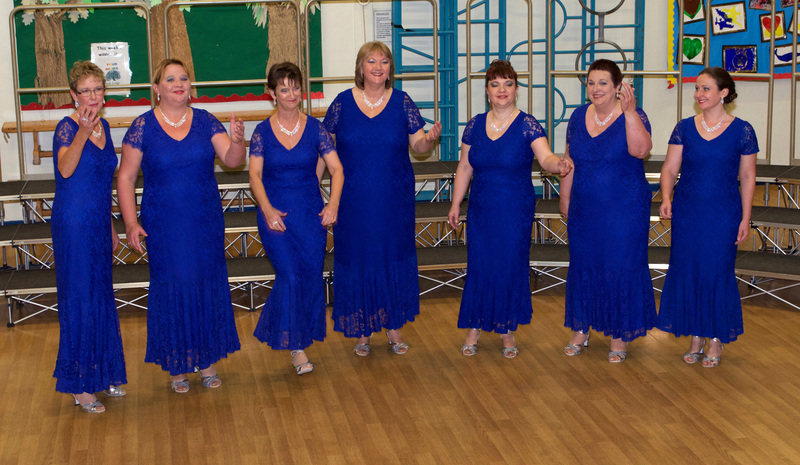 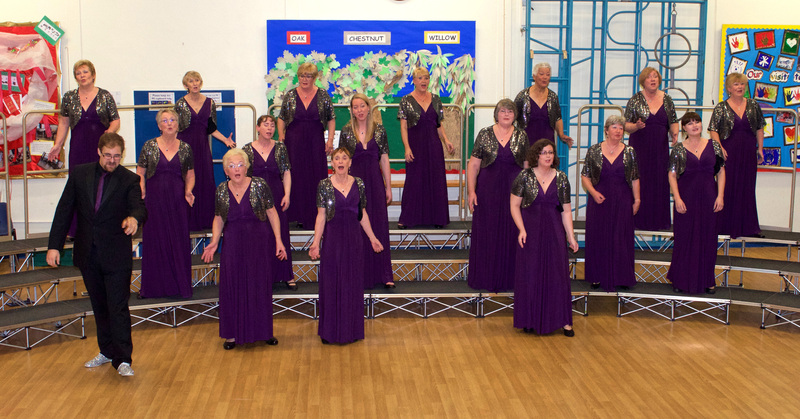 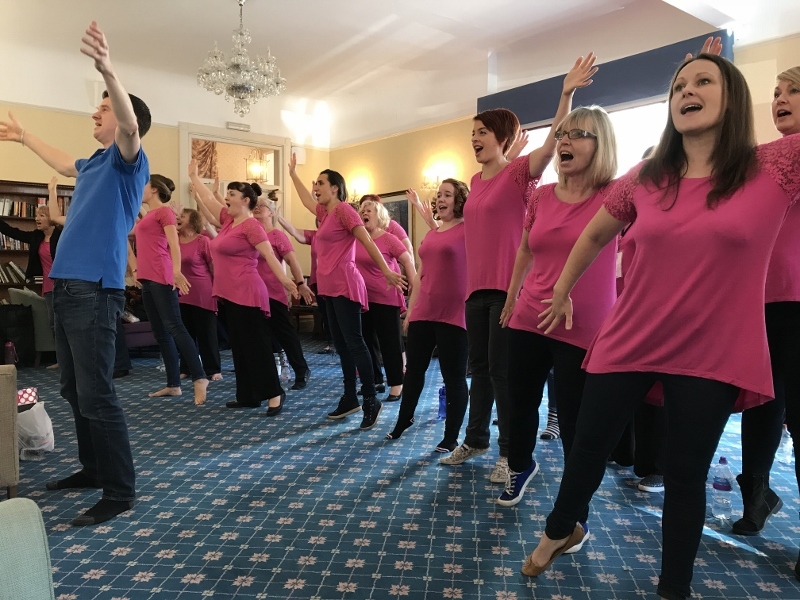 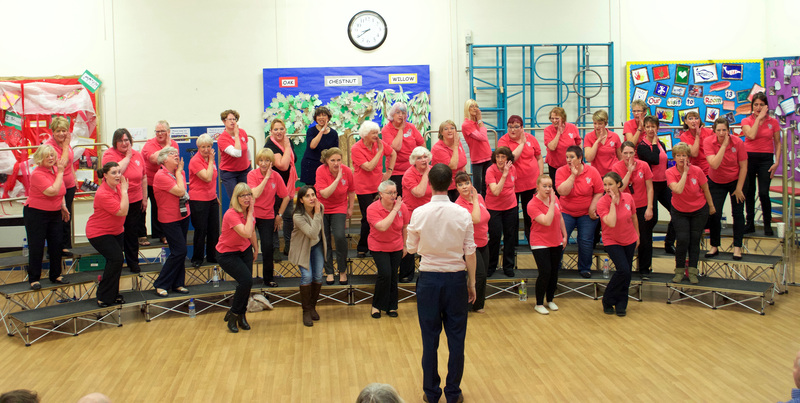 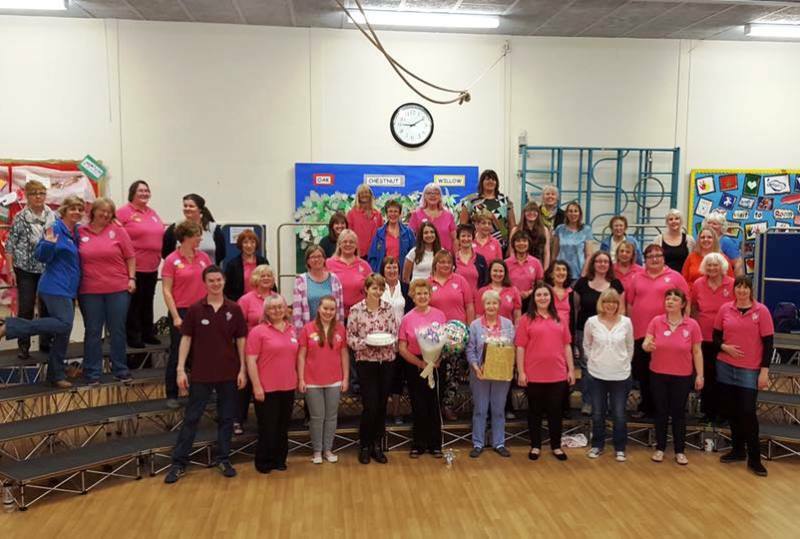 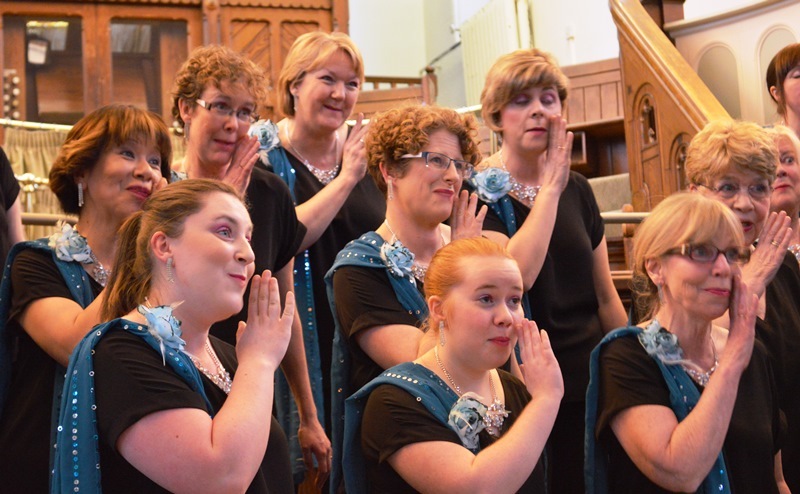 We were delighted to welcome Avon Harmony to share our dress rehearsal once again. 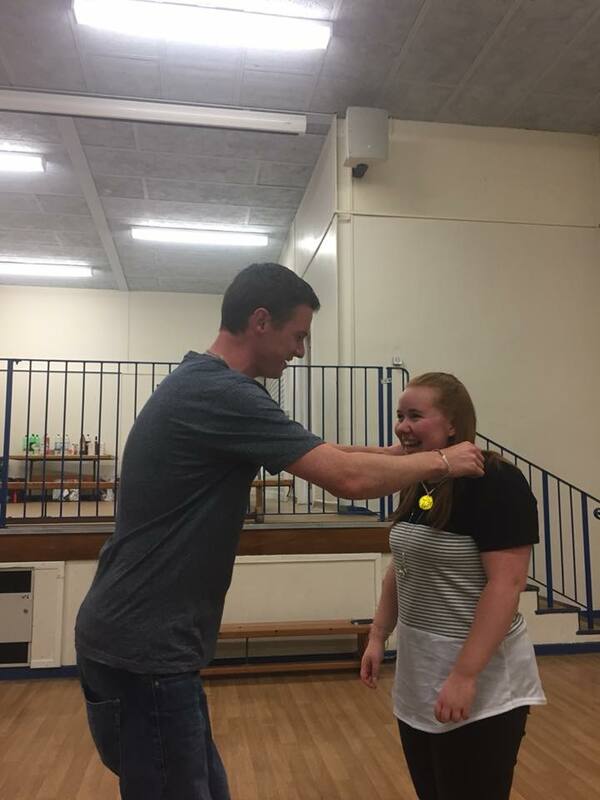 We enjoyed performing our ‘Packages’ to friends and family. 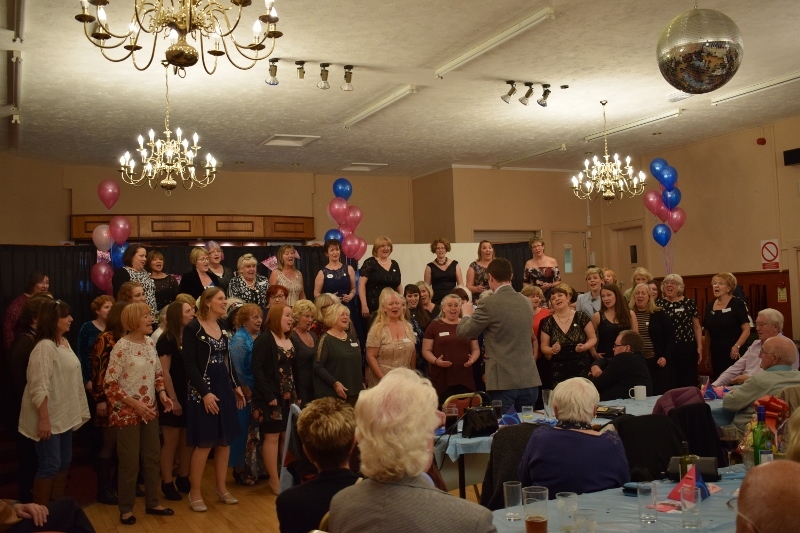 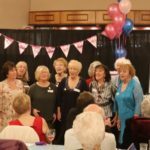 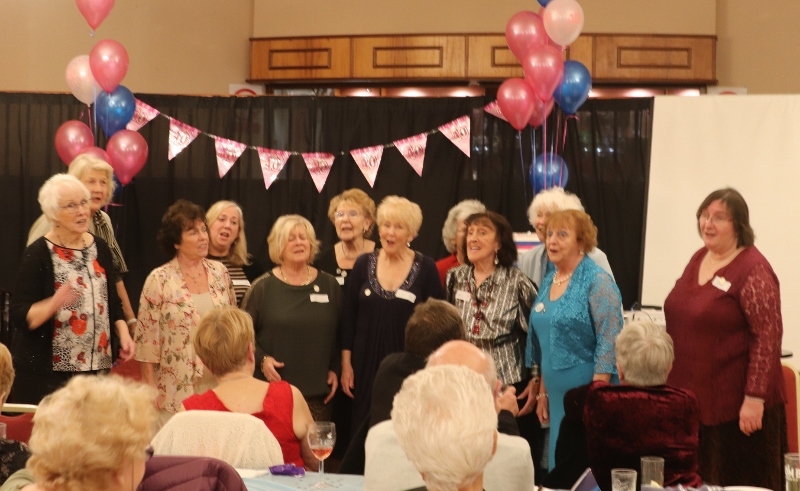 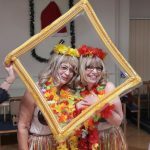 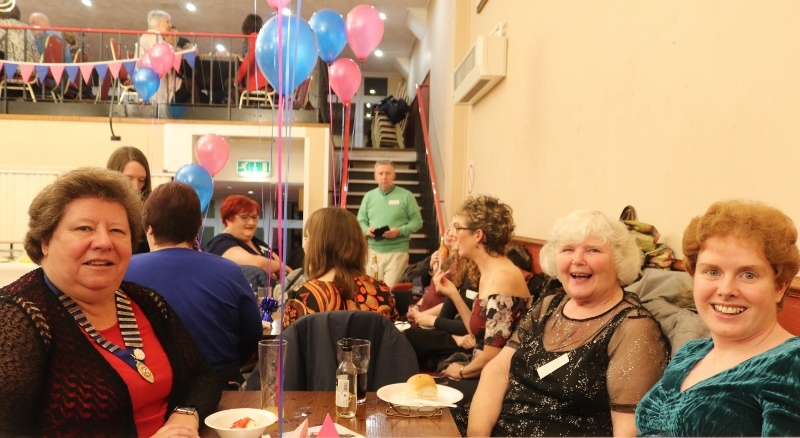 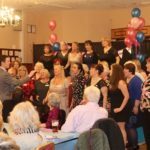 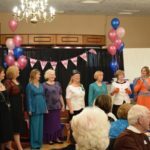 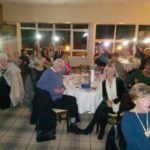 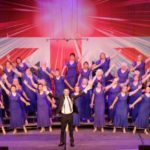 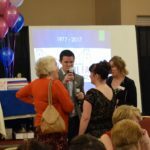 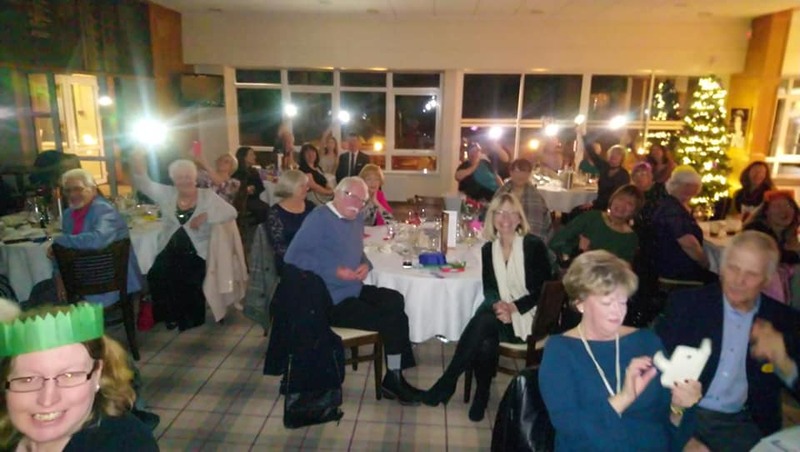 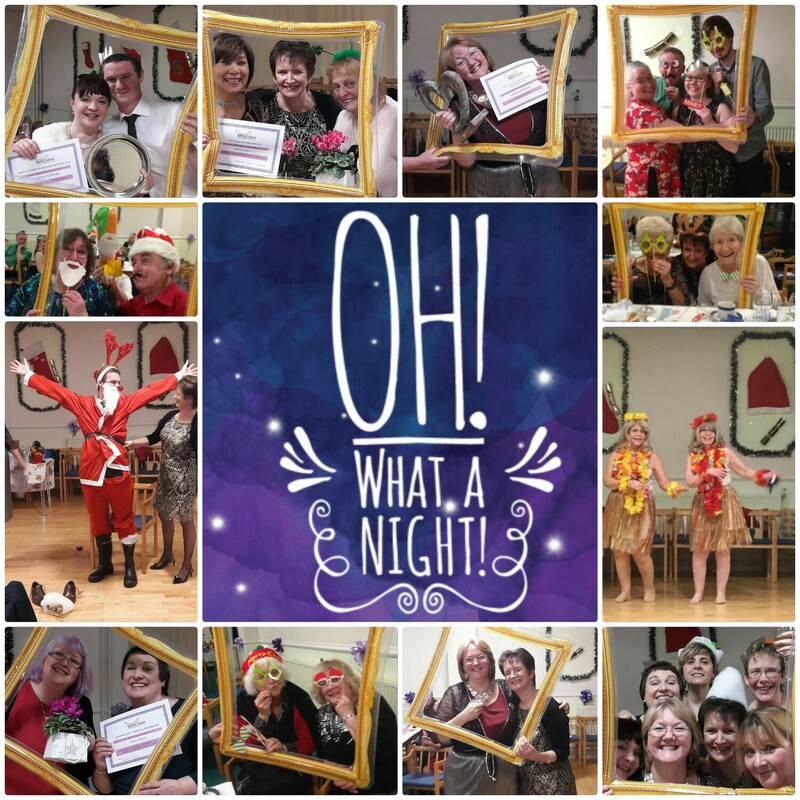 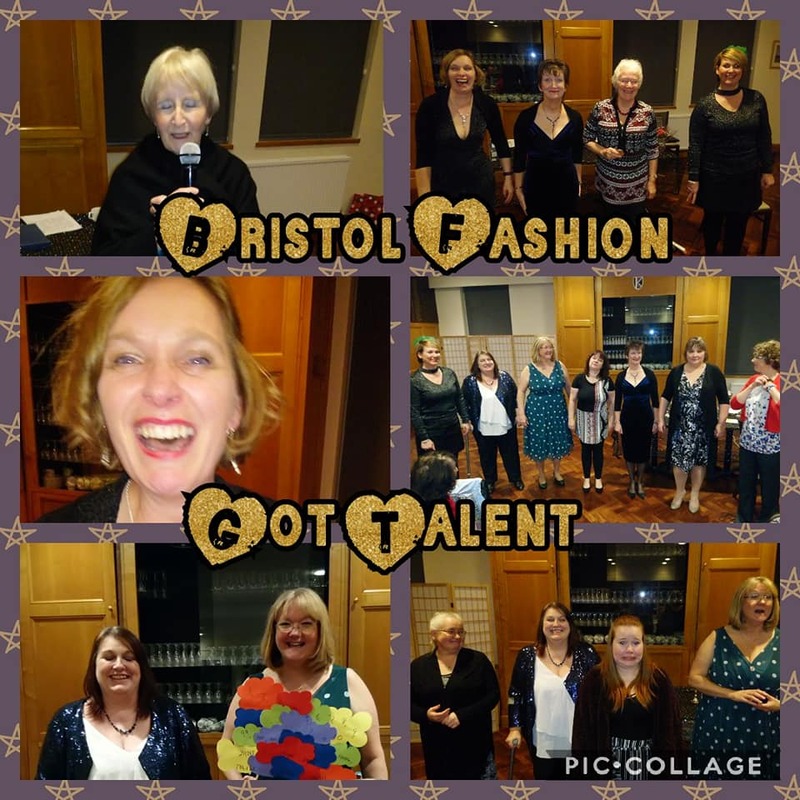 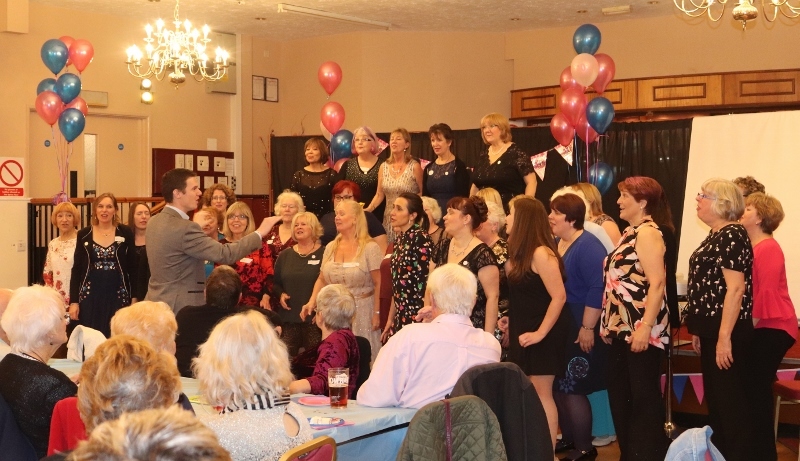 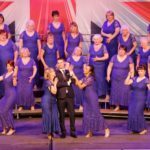 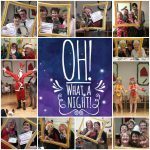 This was a wonderful evening of entertainment and celebration enjoyed by a big audience at the Somerset Hall, Portishead. 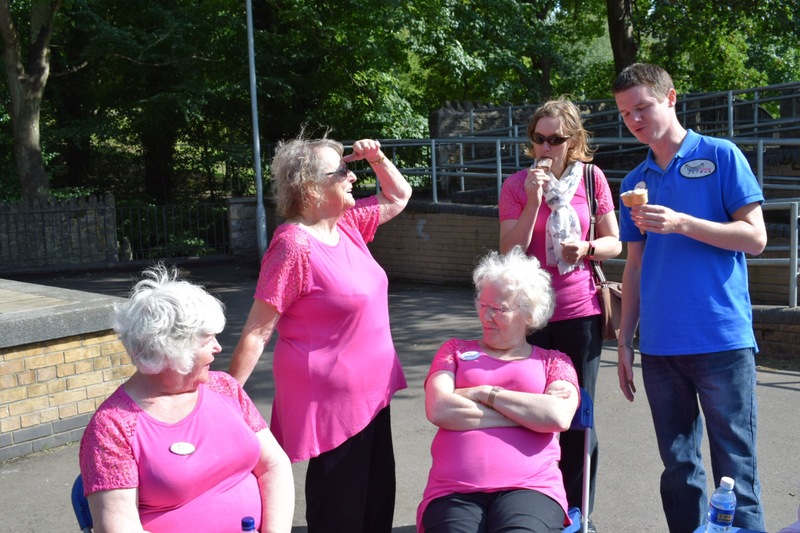 August – Keynsham bandstand The sun shone for us this year! 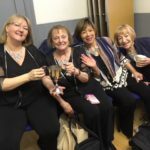 Ice creams in the interval and fun in the pub afterwards. 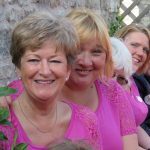 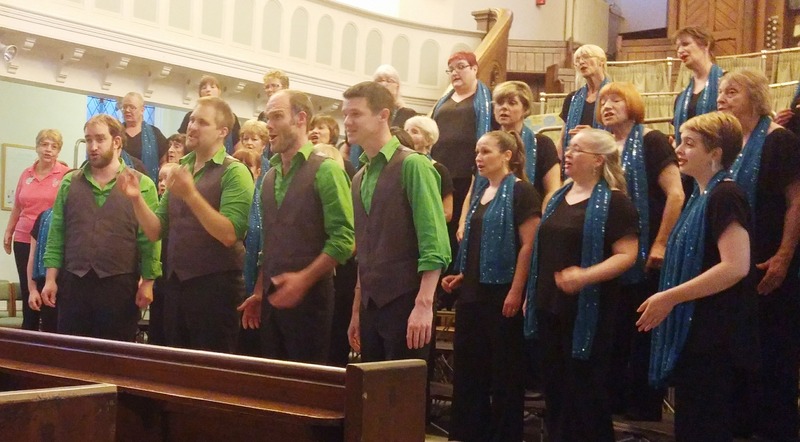 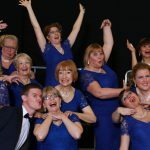 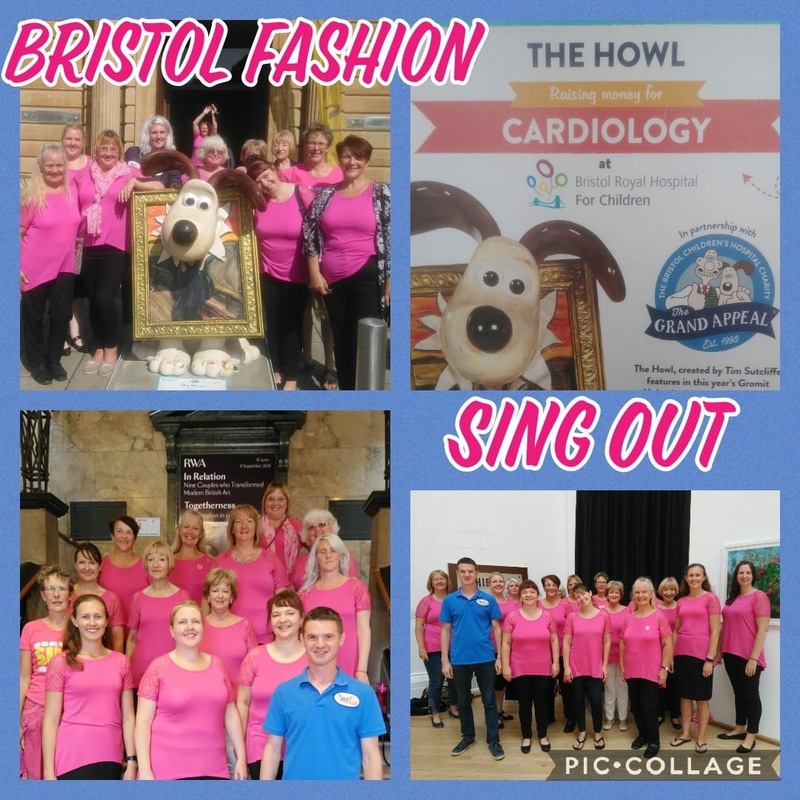 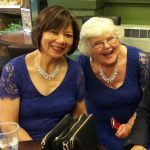 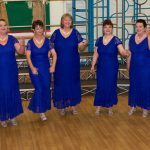 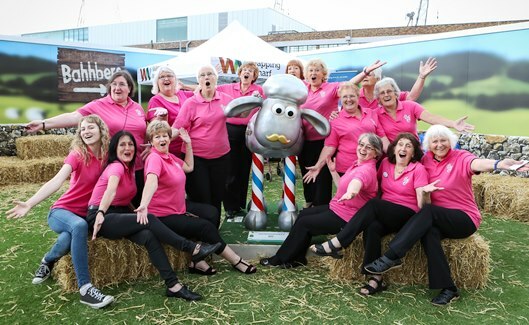 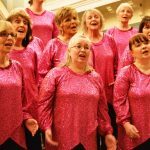 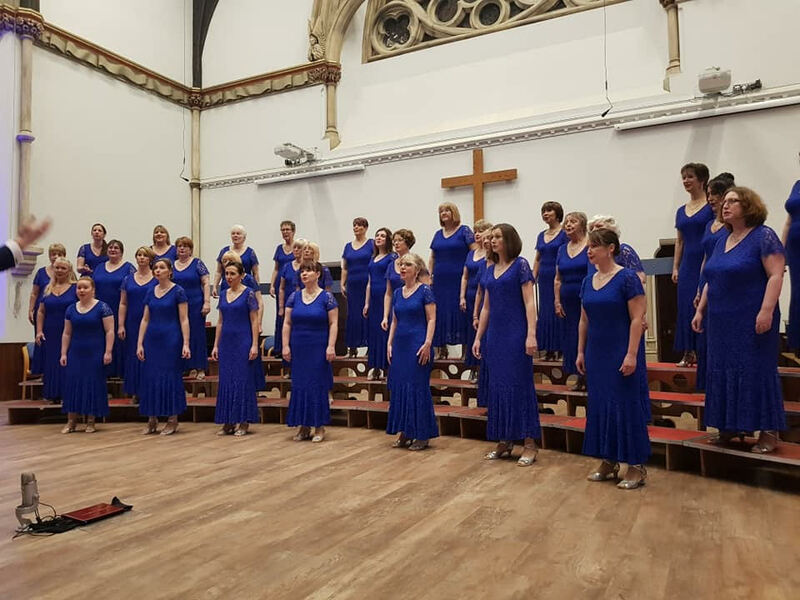 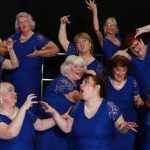 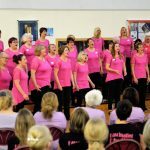 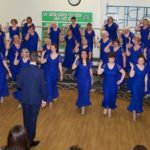 A great evening enjoying the company of our friends in the other Bristol choruses – Avon Harmony, Black Sheep Harmony and Fascinating Rhythm. 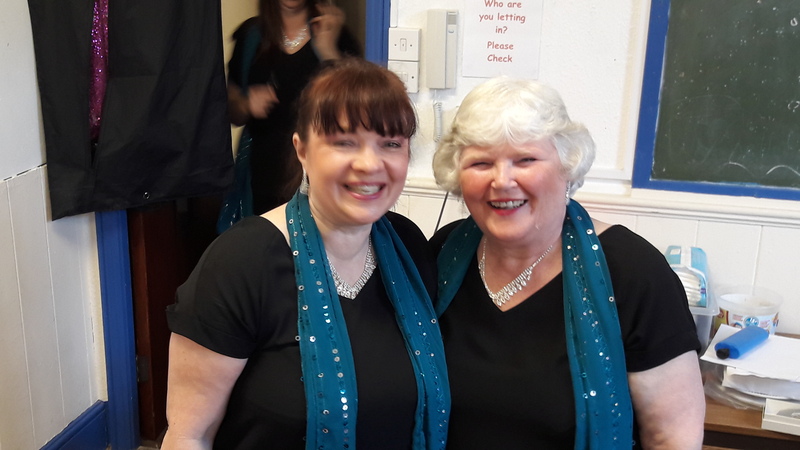 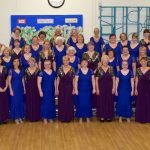 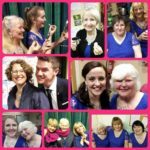 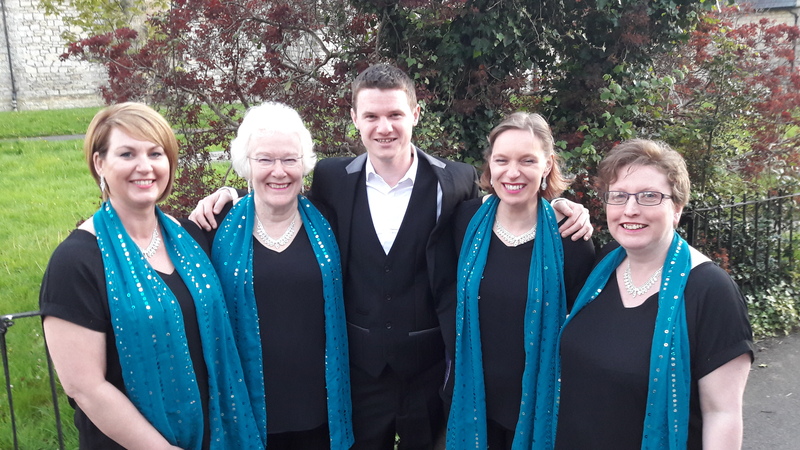 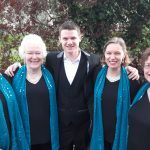 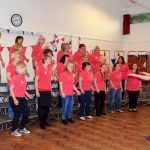 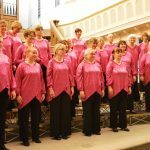 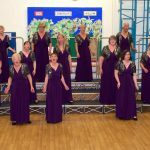 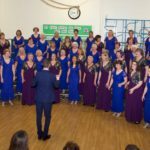 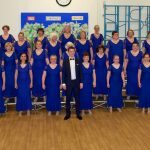 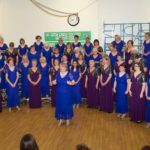 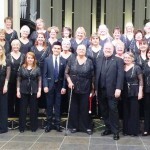 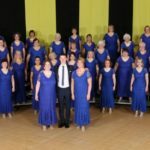 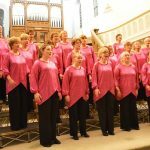 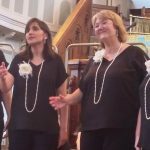 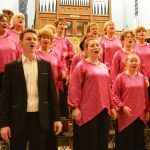 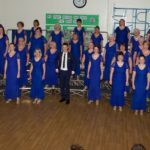 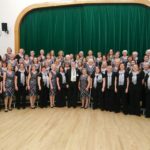 April – Concert at St Peter’s Church, Bishopsworth. 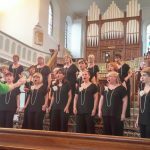 A great evening in this beautiful church. 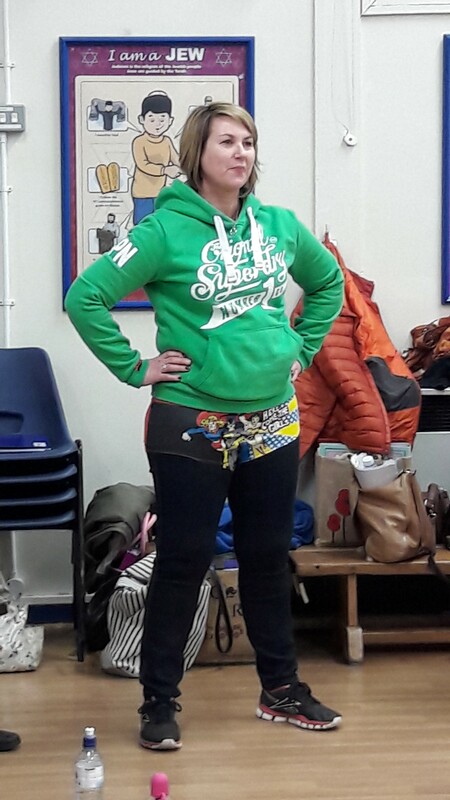 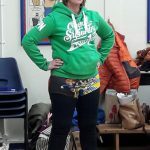 March ‘We can do it!’ Some members took an instruction to think of ourselves as Wonder Woman quite literally!! Awards Night Dinner 16 December Congratulations to all Award winners! 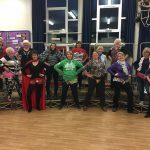 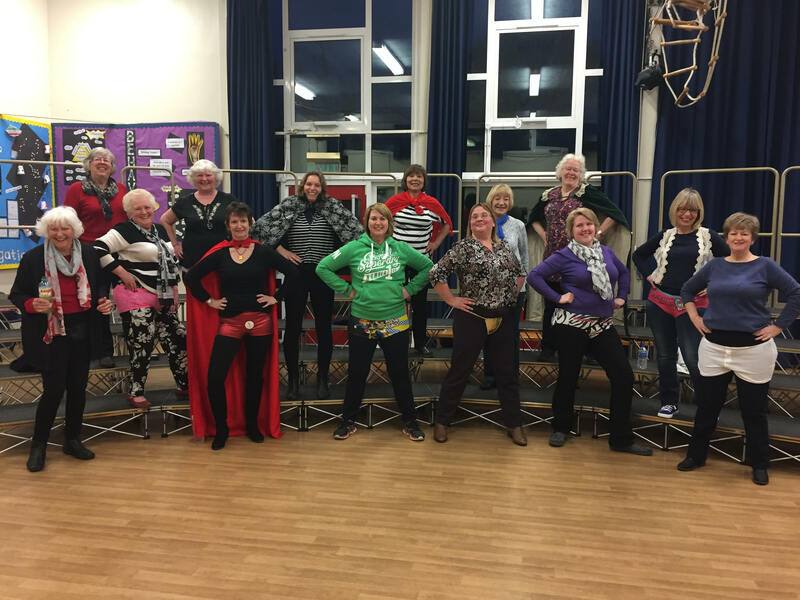 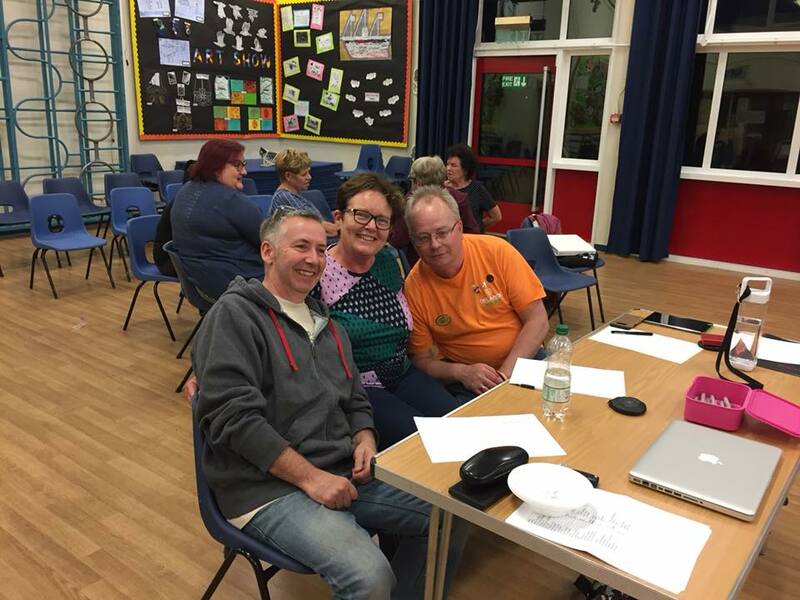 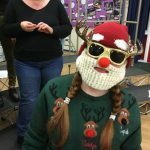 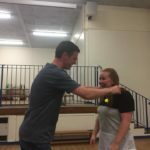 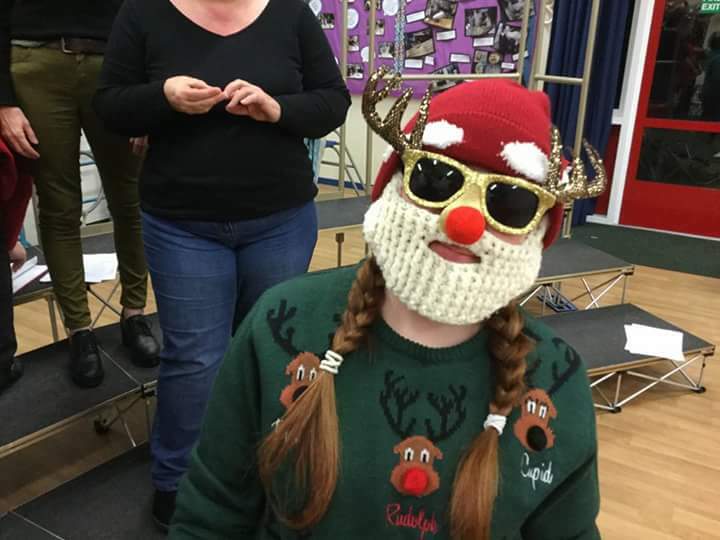 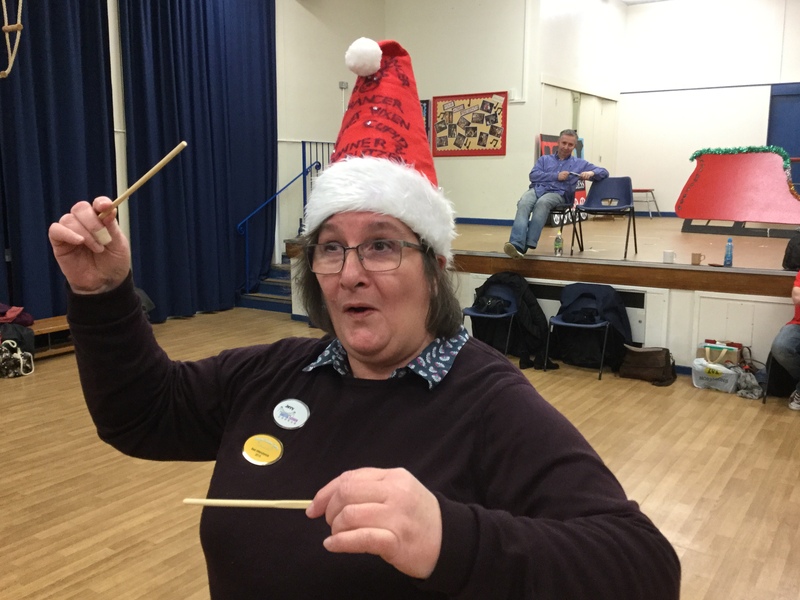 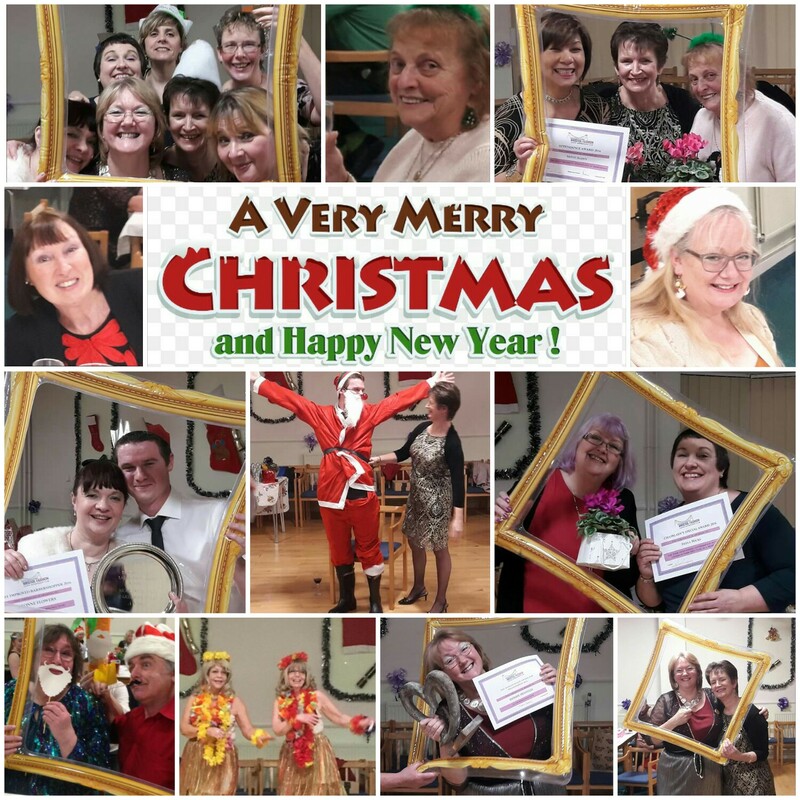 Last rehearsal before Christmas 8 December Fun and laughter and SIX new members passed their auditions! 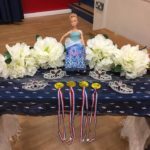 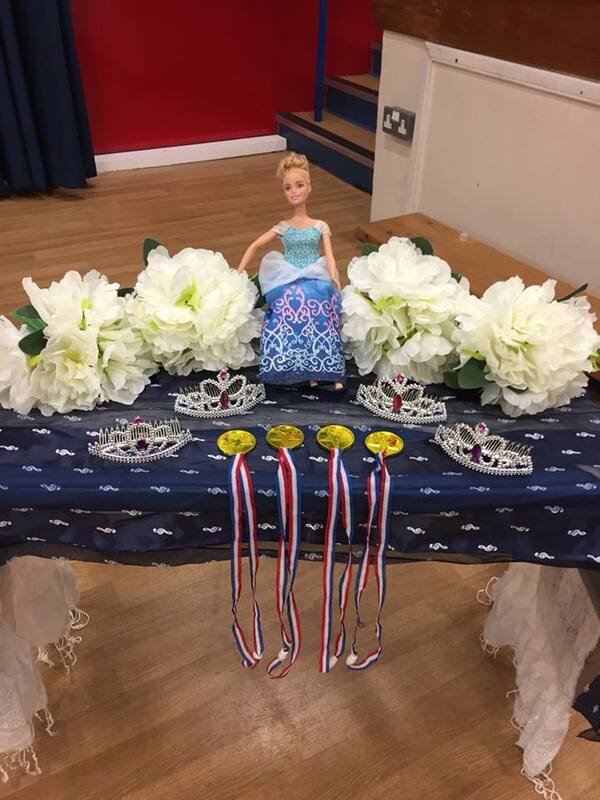 A final chance to show off our talents and beautiful dresses to our friends and families. 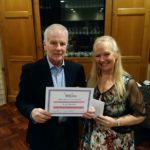 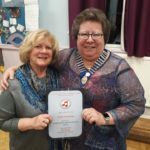 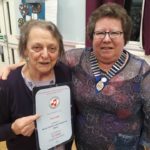 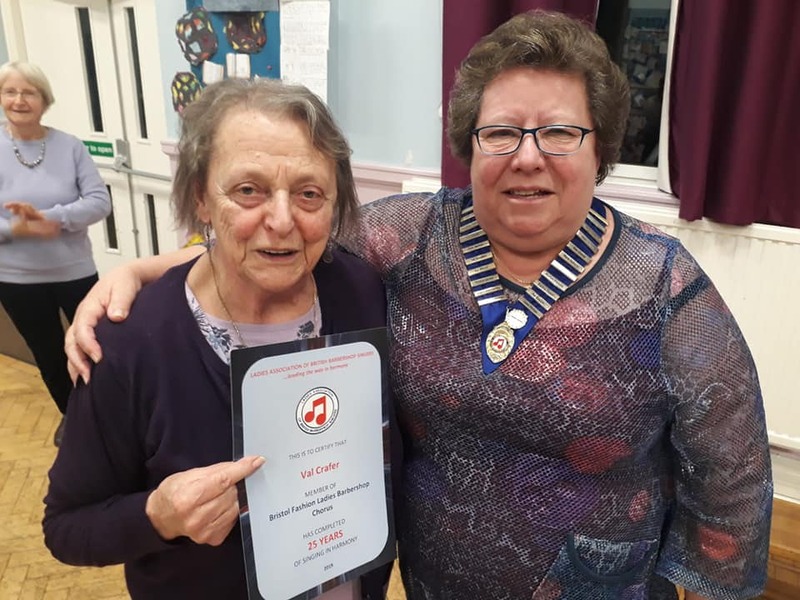 We were delighted to present Joyce Smith with Life Membership. 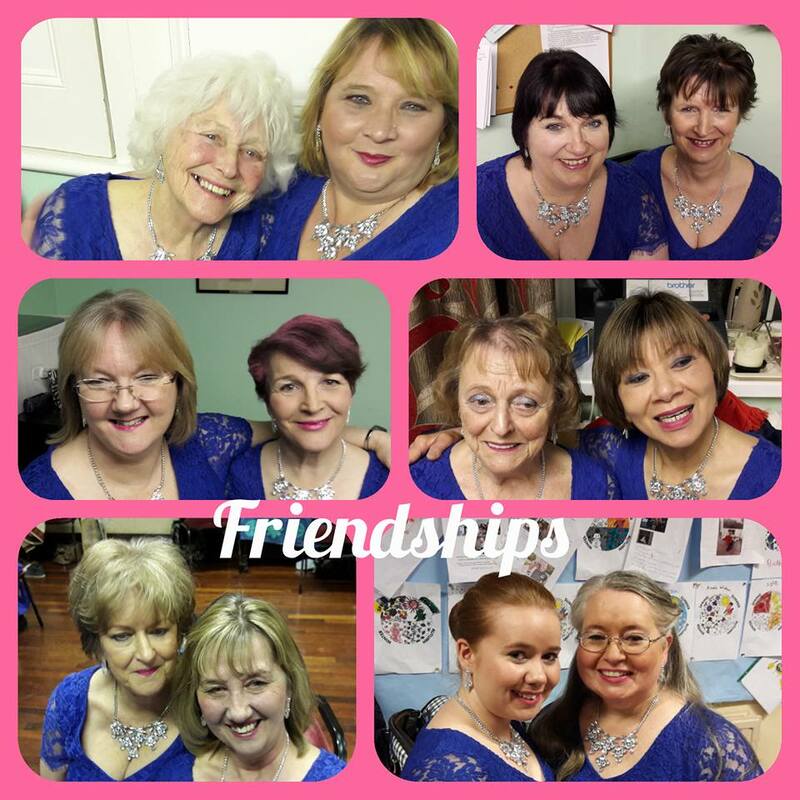 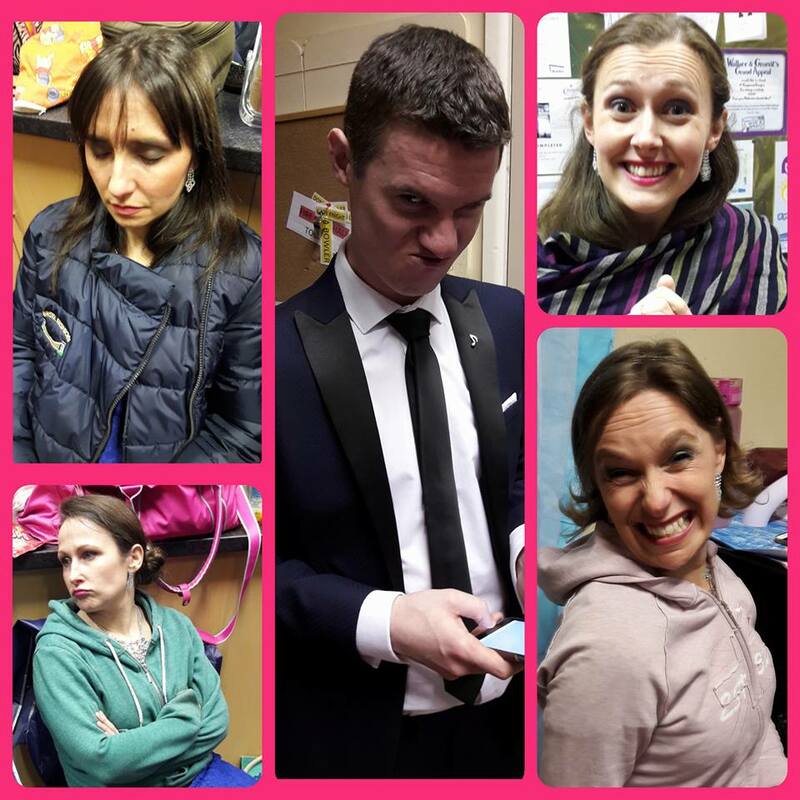 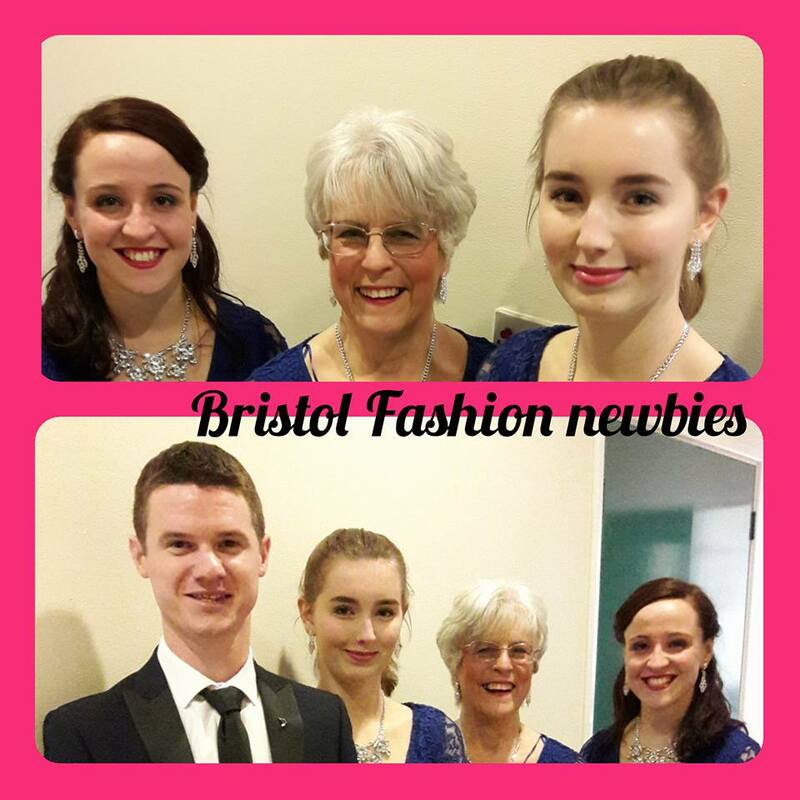 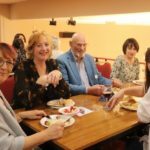 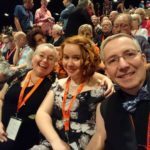 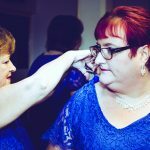 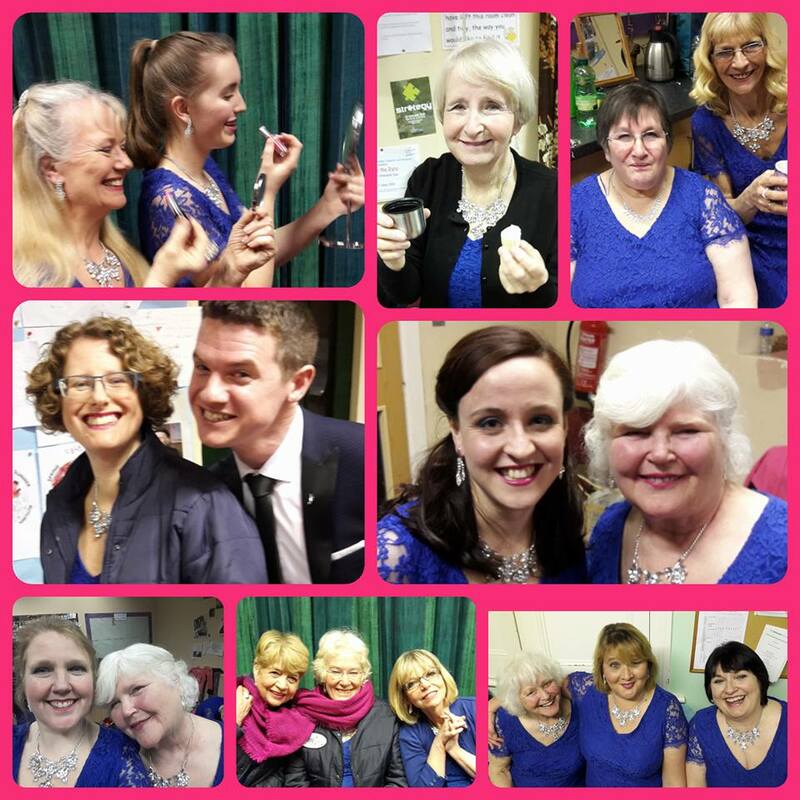 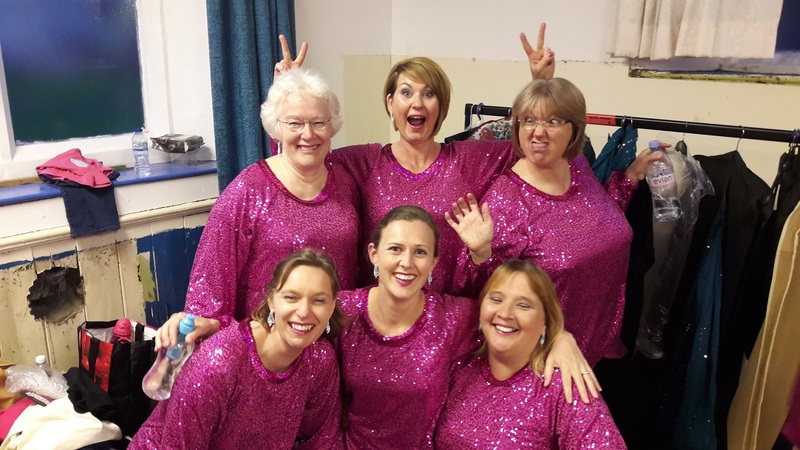 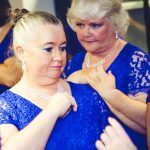 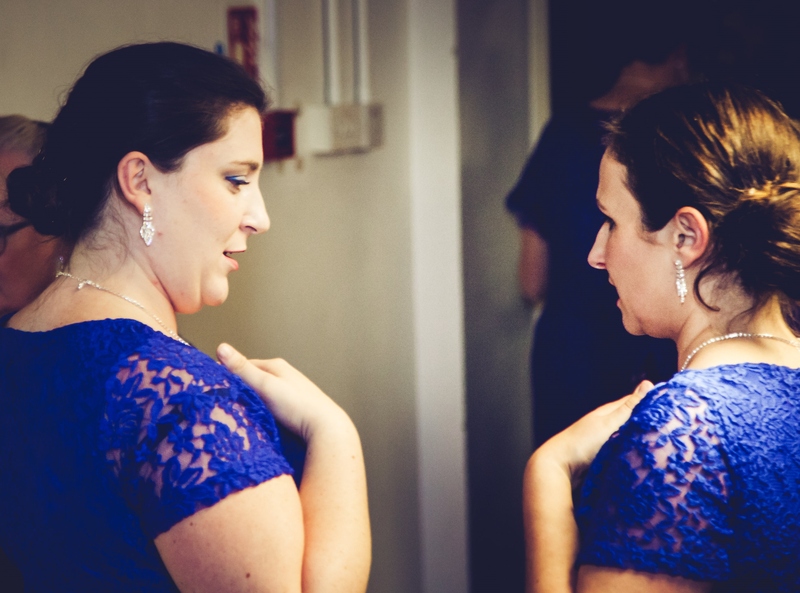 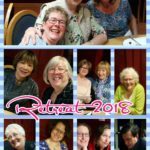 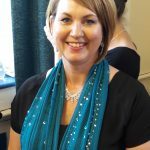 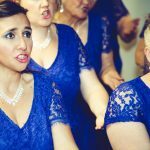 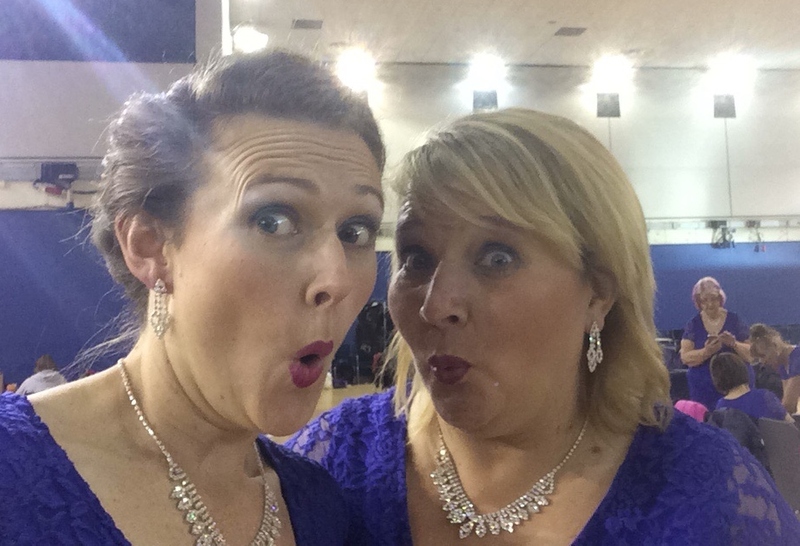 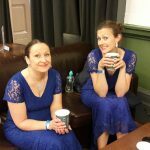 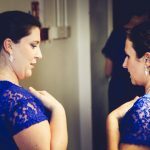 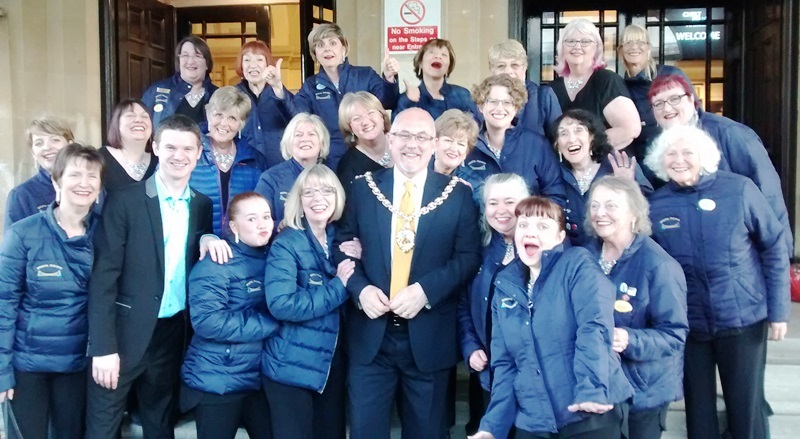 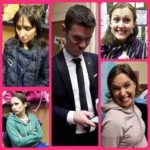 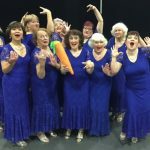 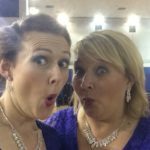 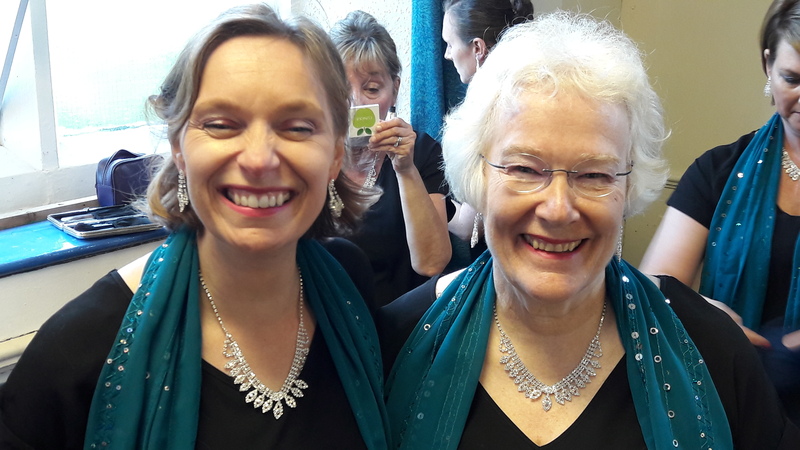 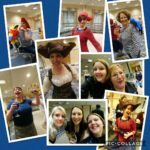 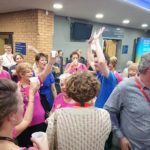 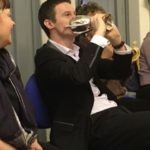 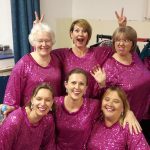 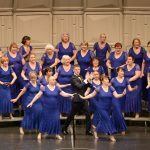 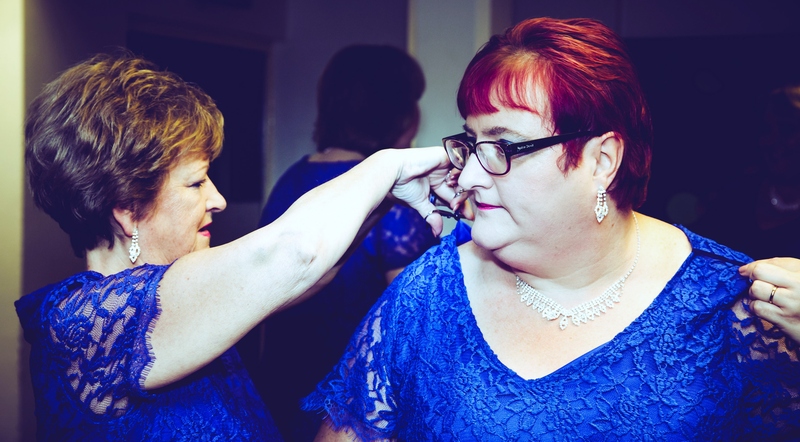 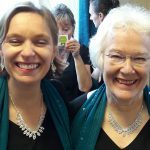 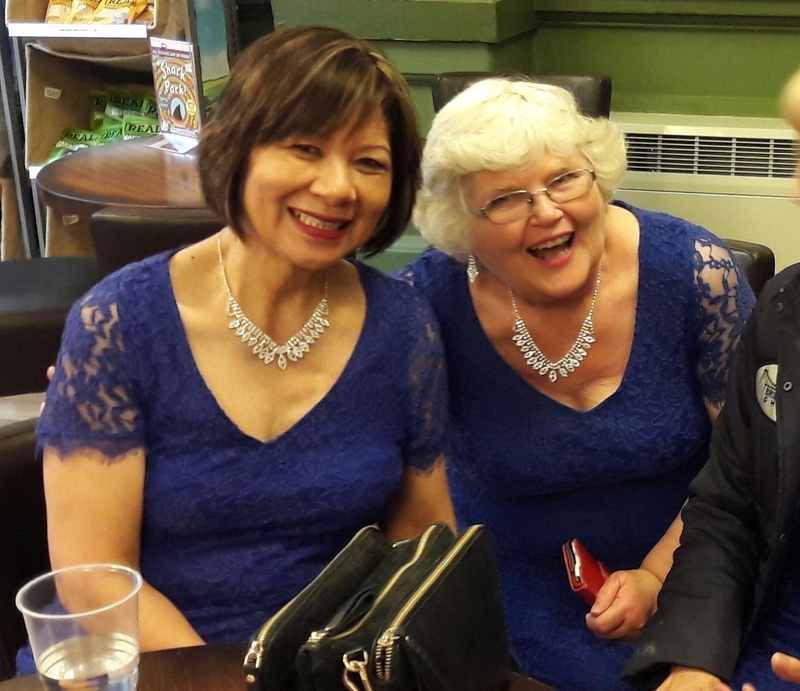 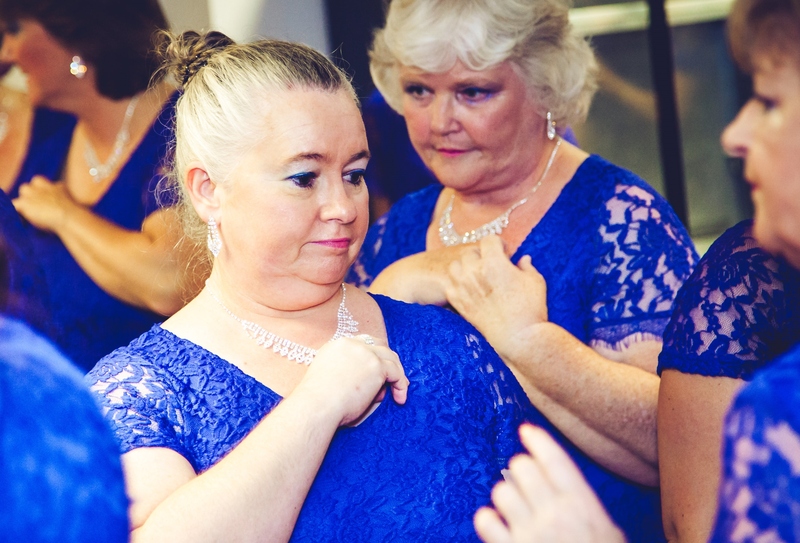 Rotary Concert at the Colston Hall 2 October – scenes from the dressing room! 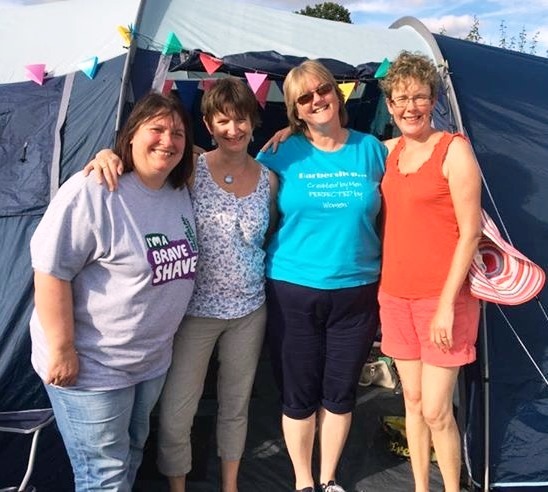 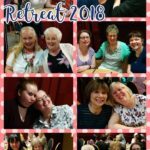 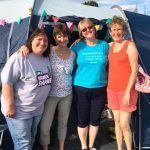 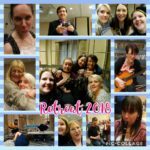 A few of our members enjoyed a weekend of sunshine and harmony. 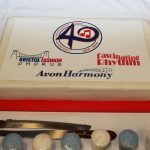 A joint evening with our friends from Avon Harmony and Fascinating Rhythm to receive the LABBS 40th Anniversary Beacon of Harmony from Cardiff Style. 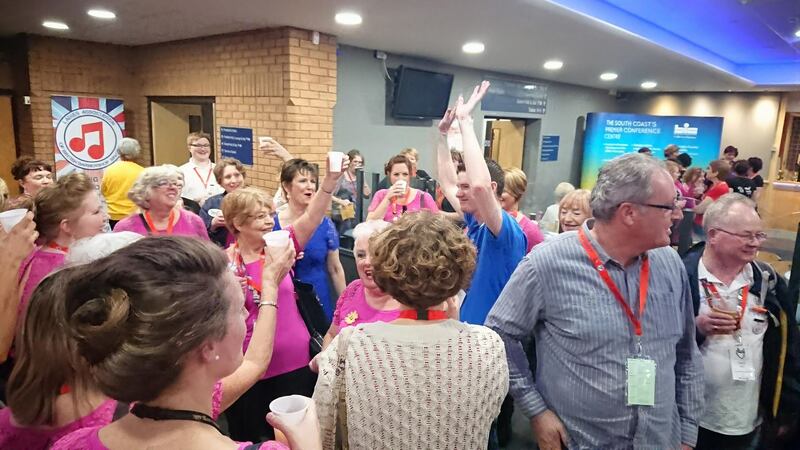 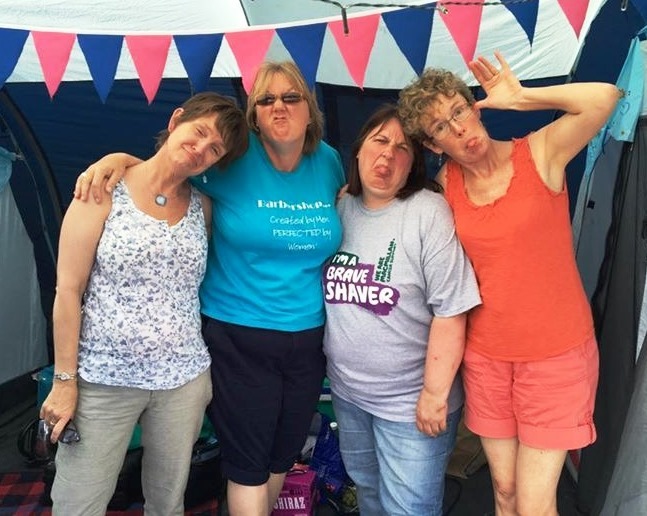 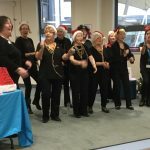 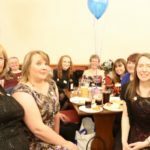 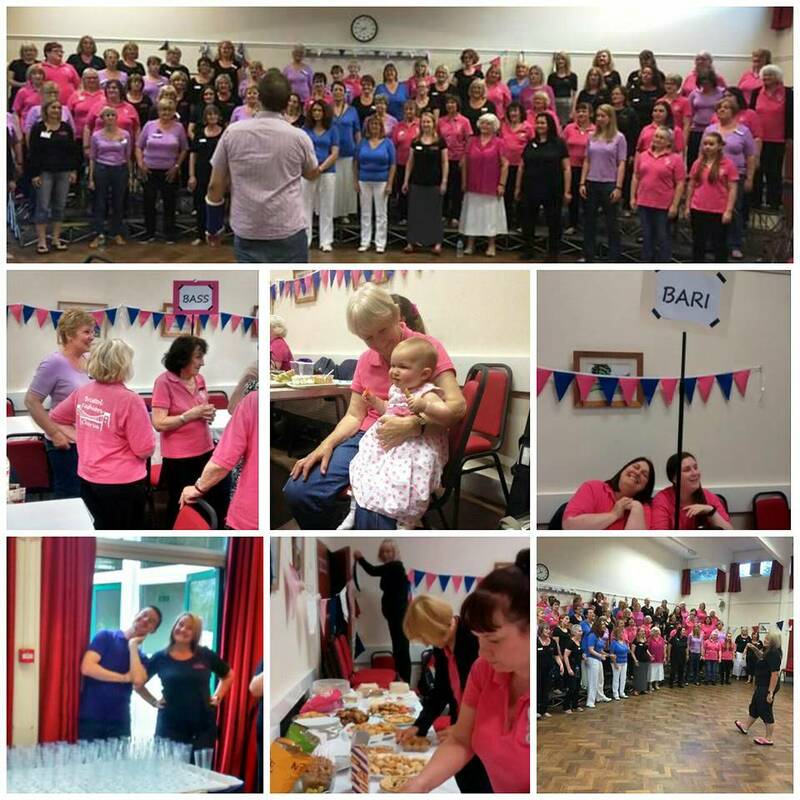 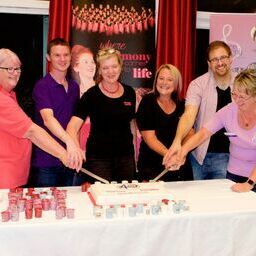 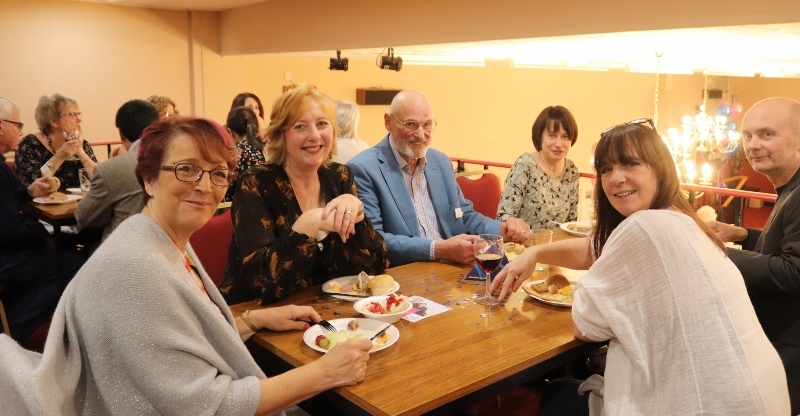 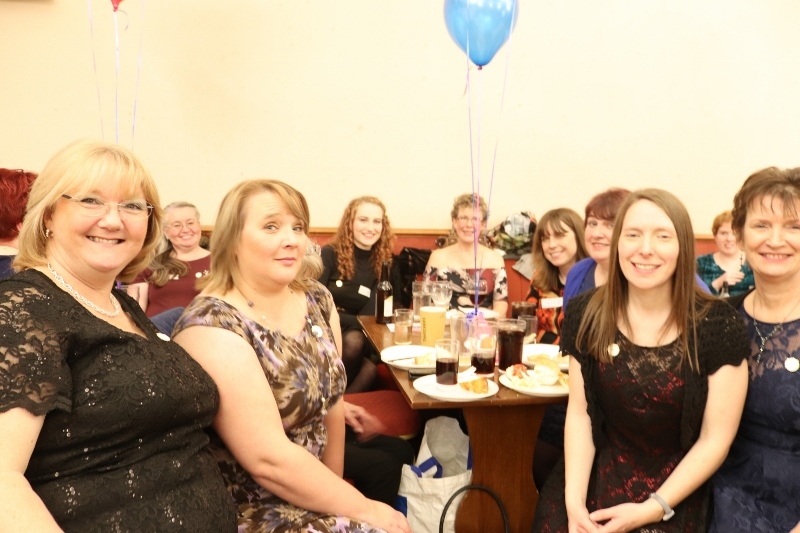 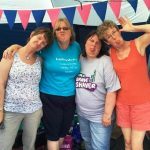 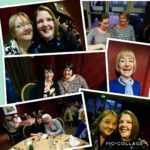 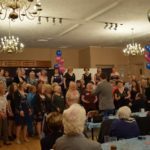 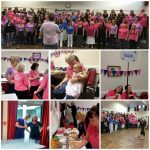 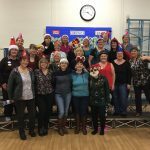 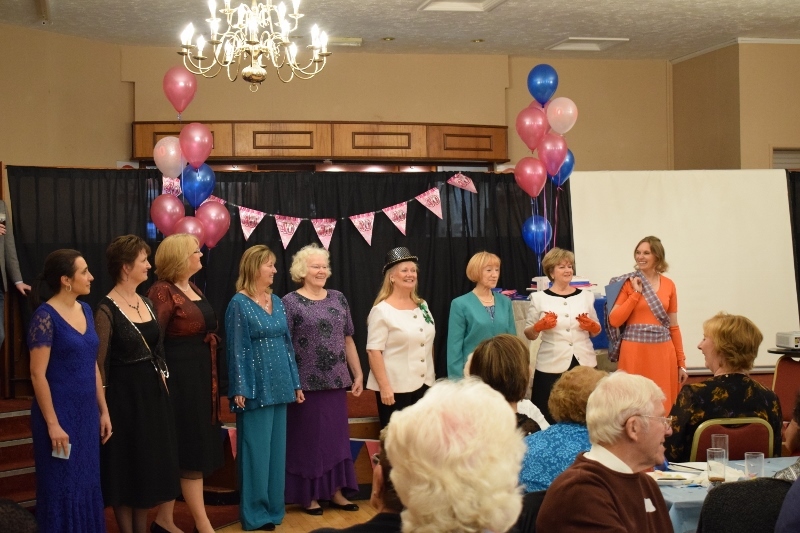 We sang, we ate, we talked, we laughed and there was cake and bubbly too! 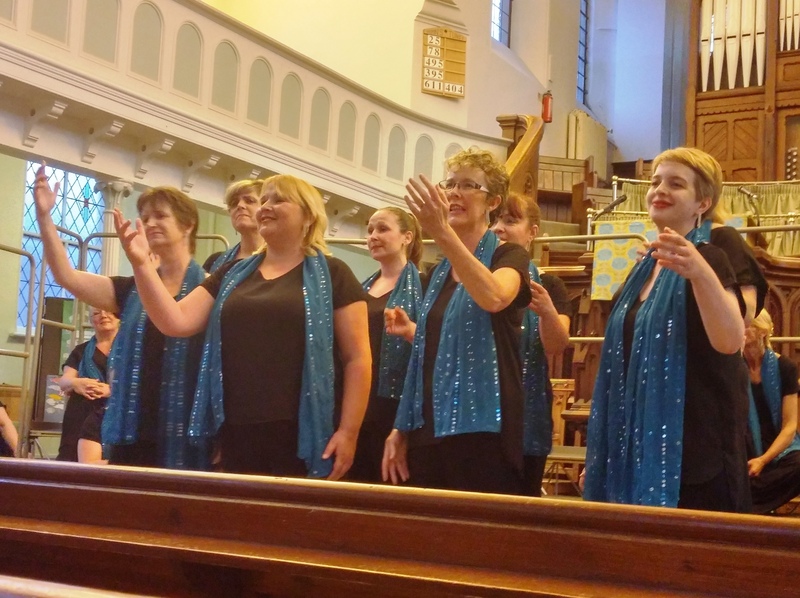 A great evening in this lovely church which we all enjoyed! 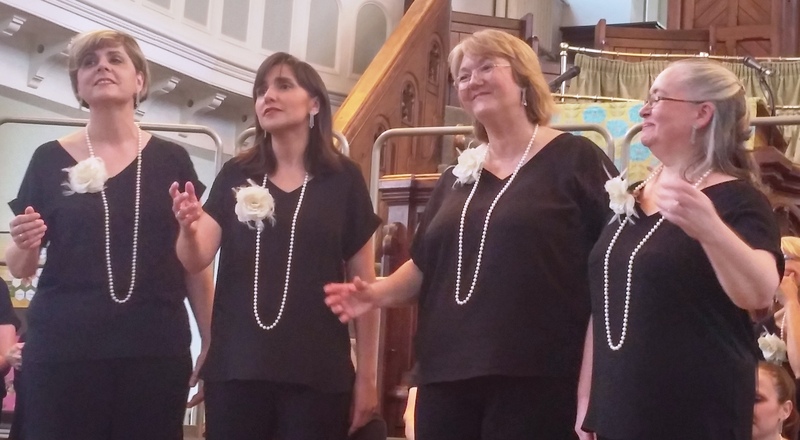 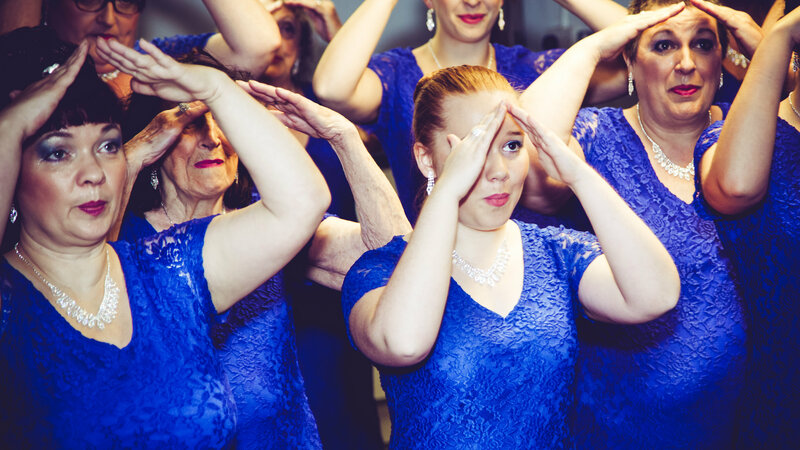 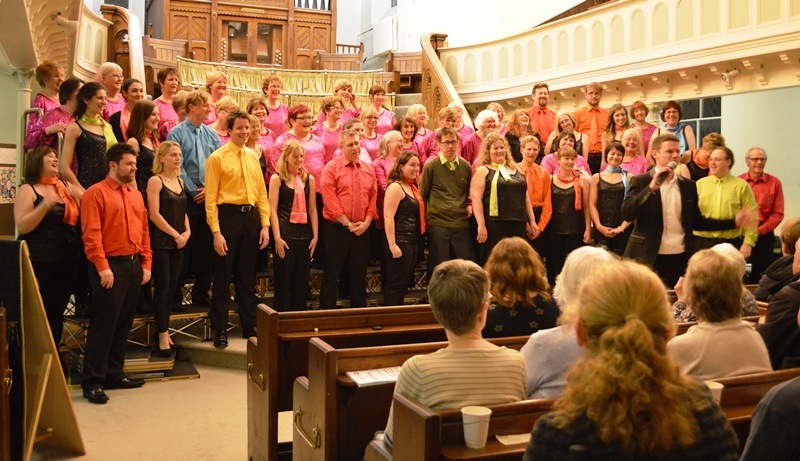 We showcased the talents of the full chorus as well as our quartet ‘Obsession!’ and small ensemble ‘Vintage’. 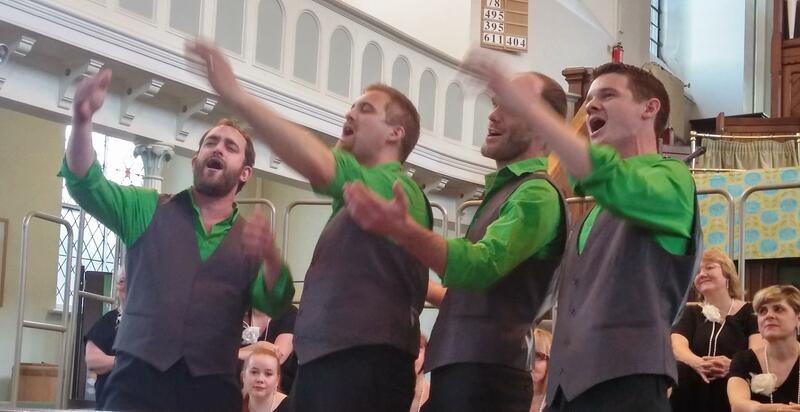 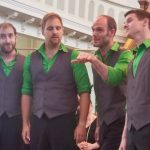 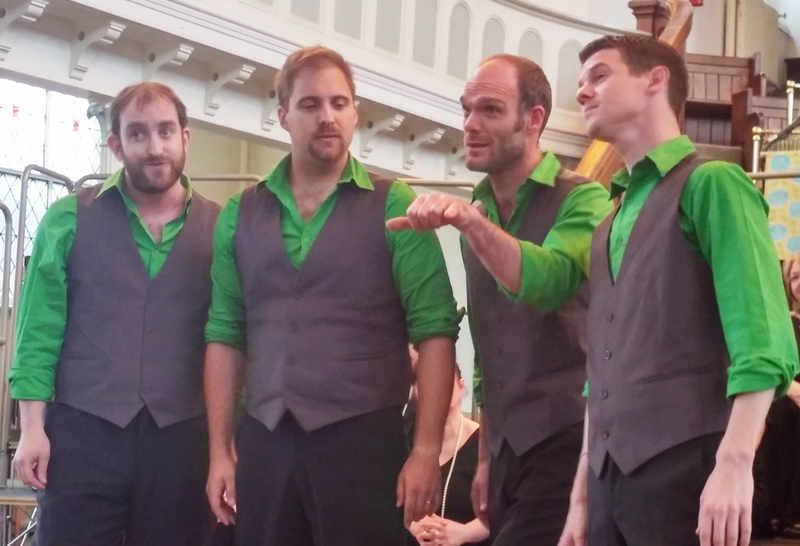 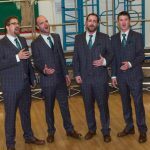 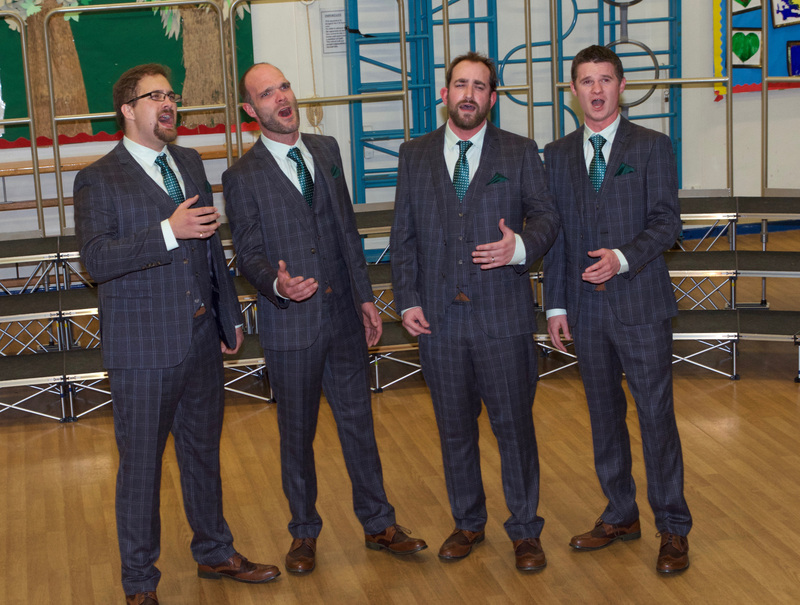 We were also very pleased to have our friends in the men’s quartet ‘Tonic’ perform a couple of spots. 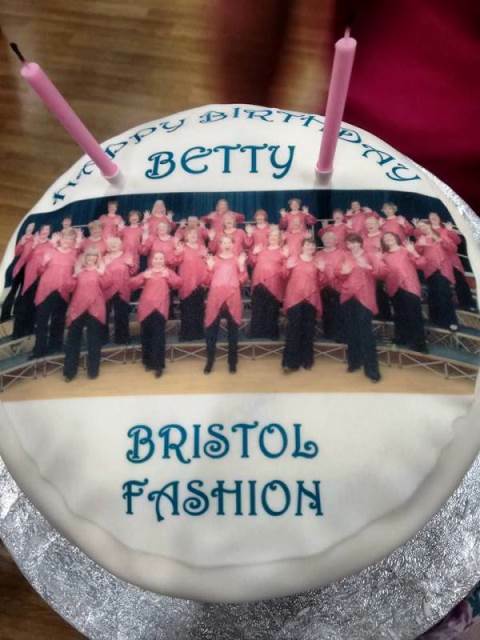 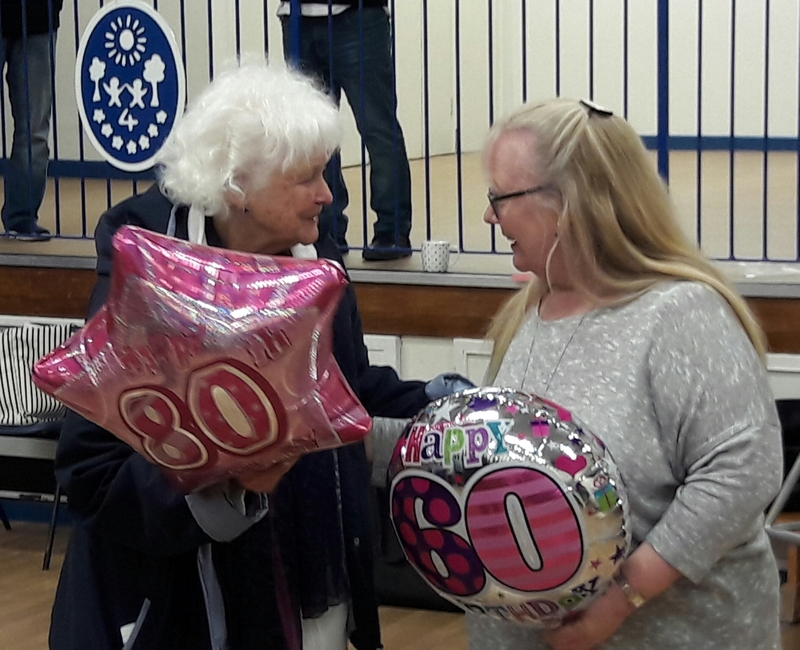 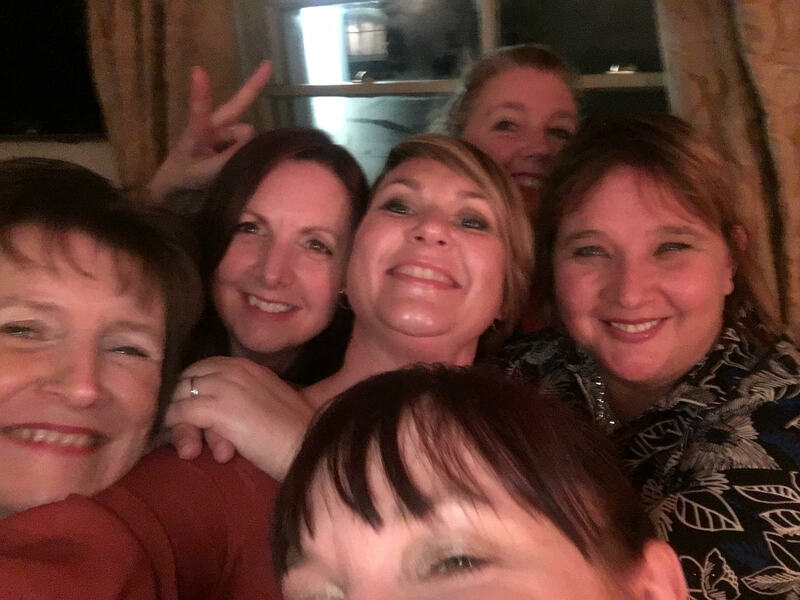 We had a brilliant evening with friends old and new and also celebrated Betty’s big birthday. 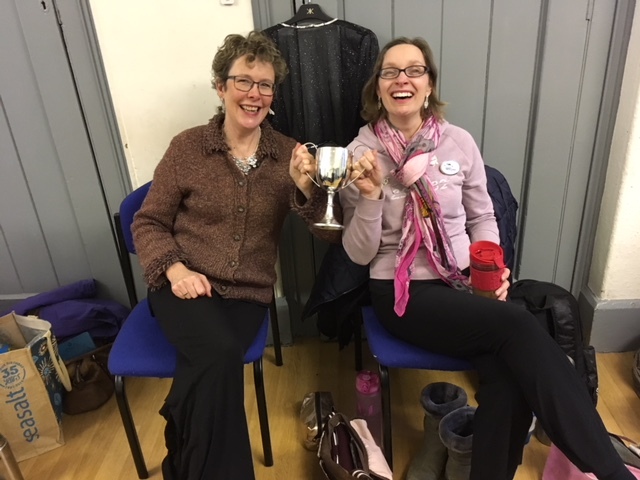 We were thrilled and proud to be awarded the Cotswold Singers Trophy for the highest score in the Female Voice Choirs class.